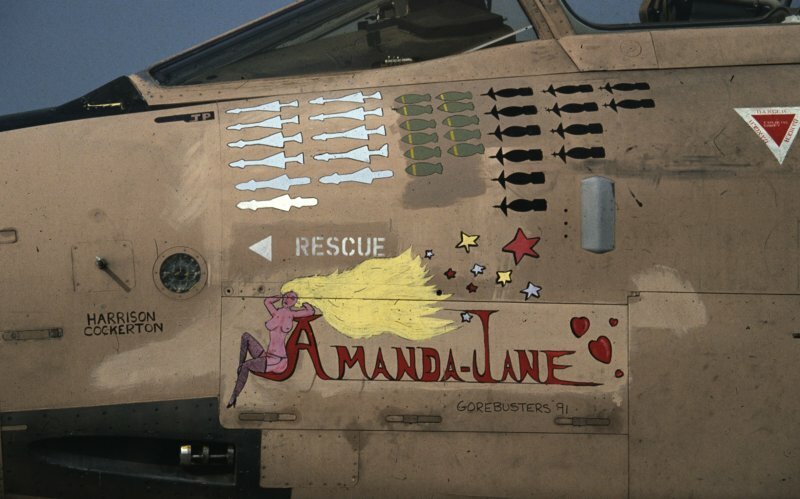 If you have any corrections or update, please send me e-mail. 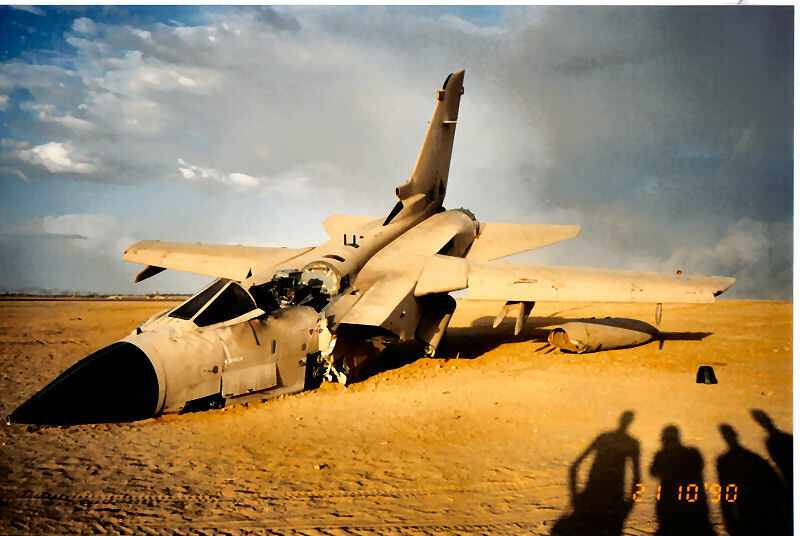 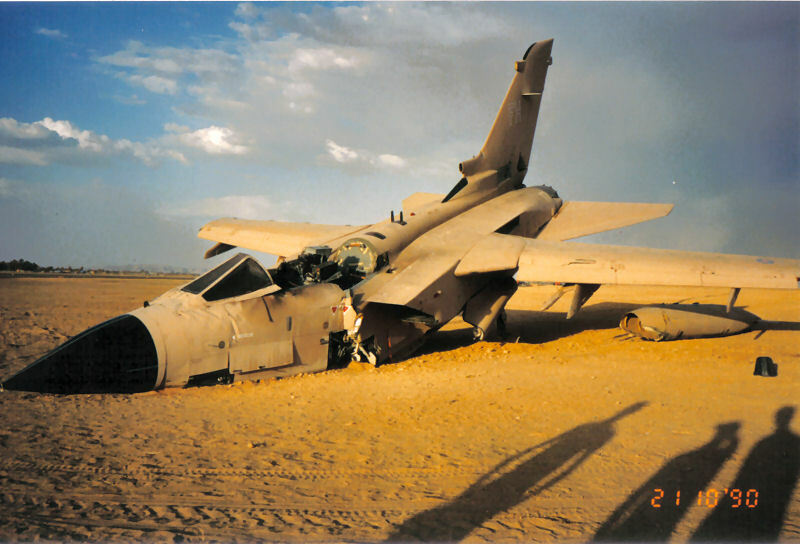 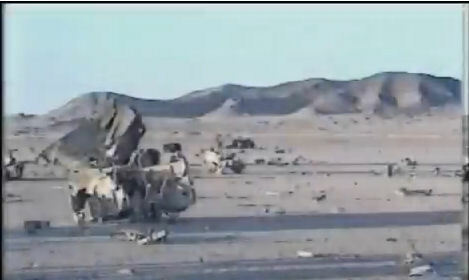 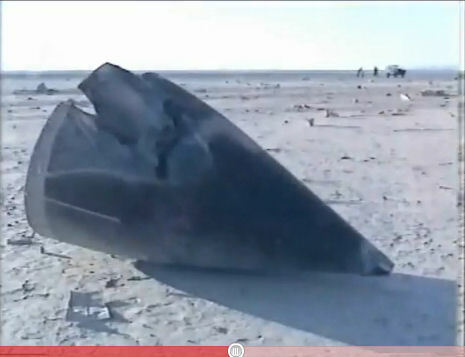 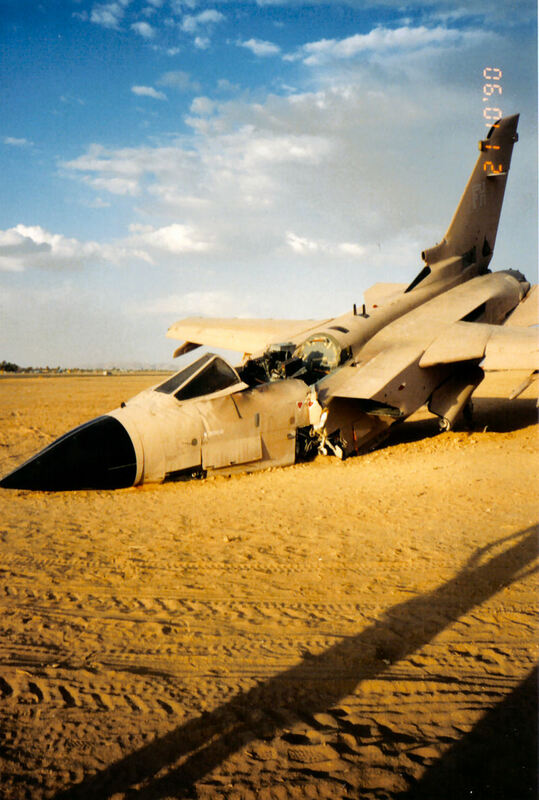 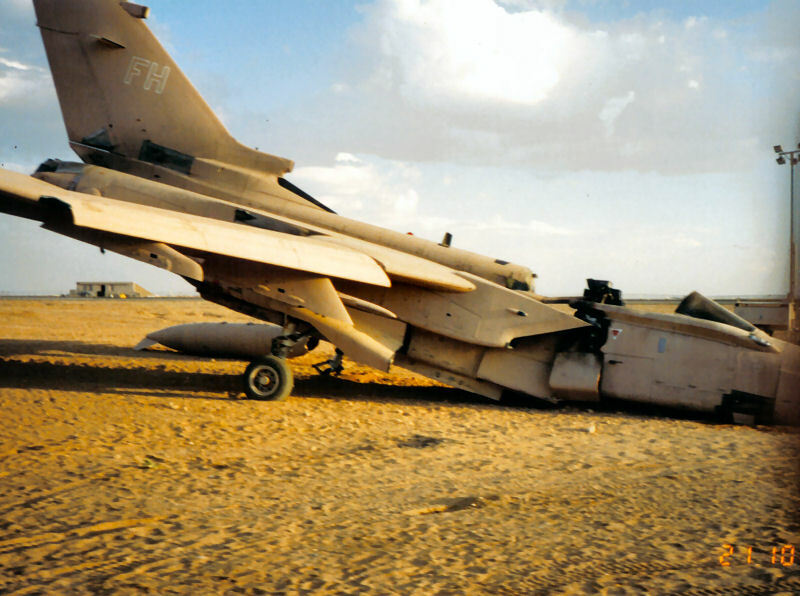 sharply down to hard landing. 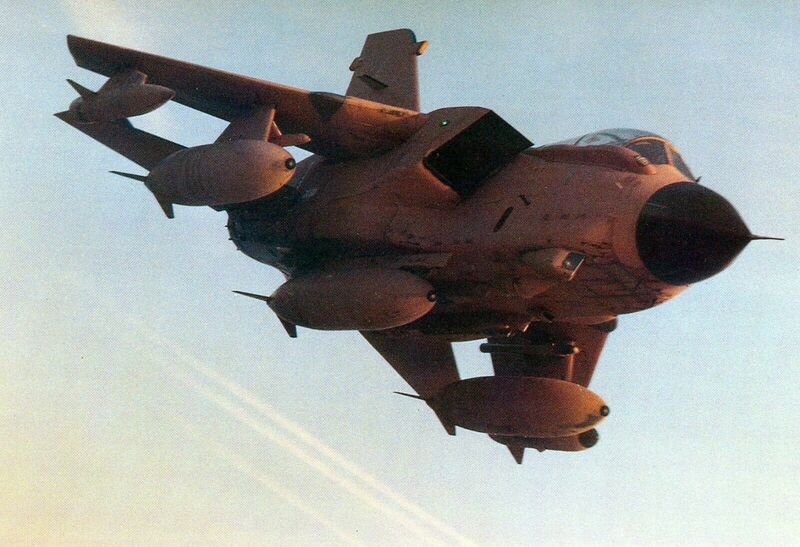 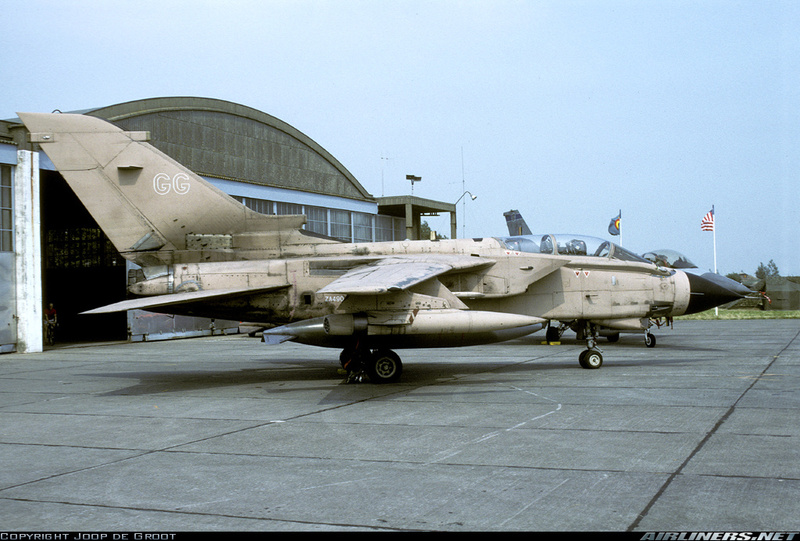 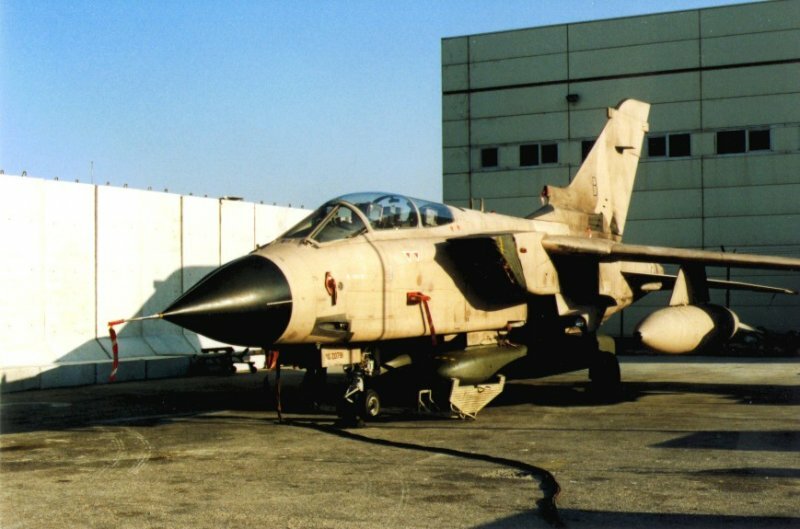 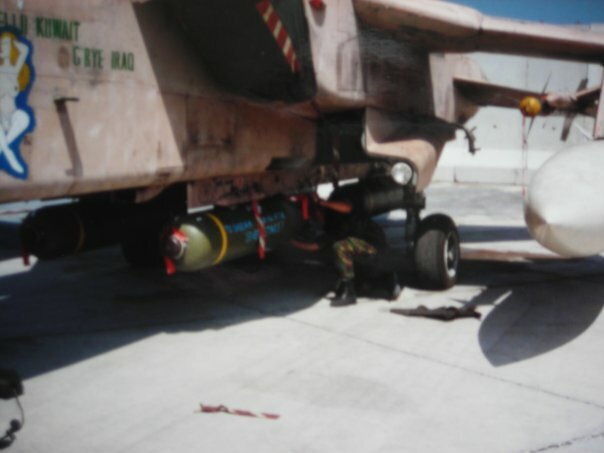 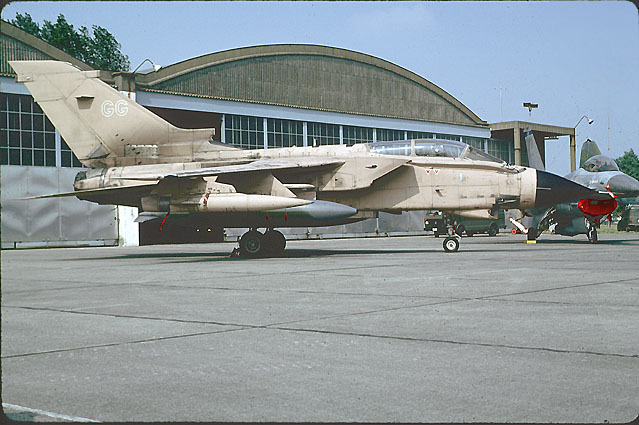 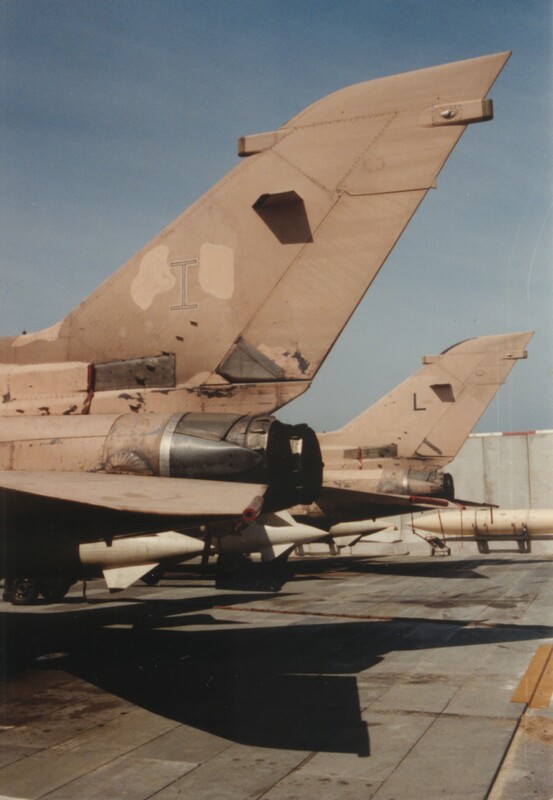 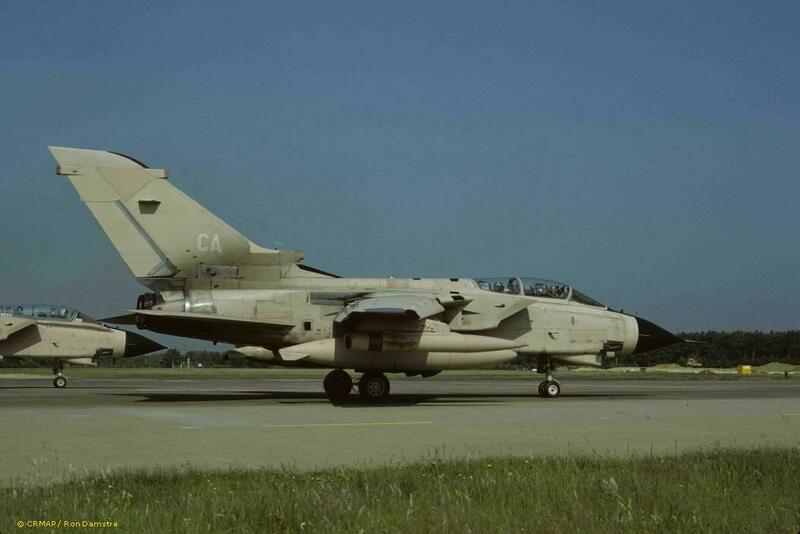 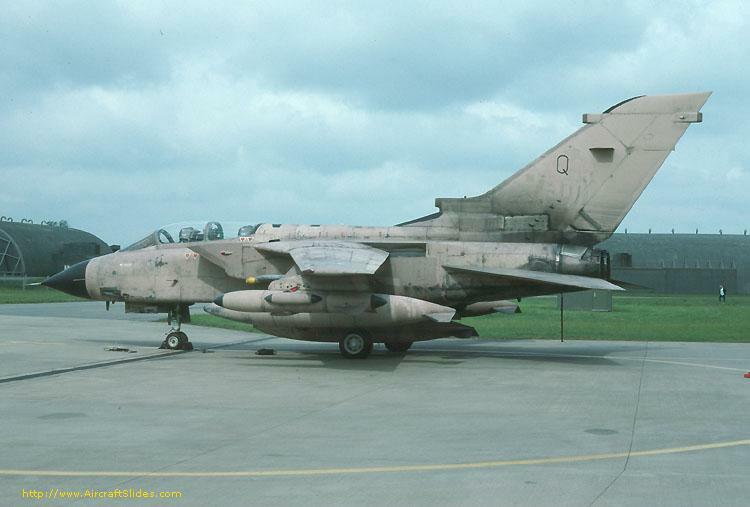 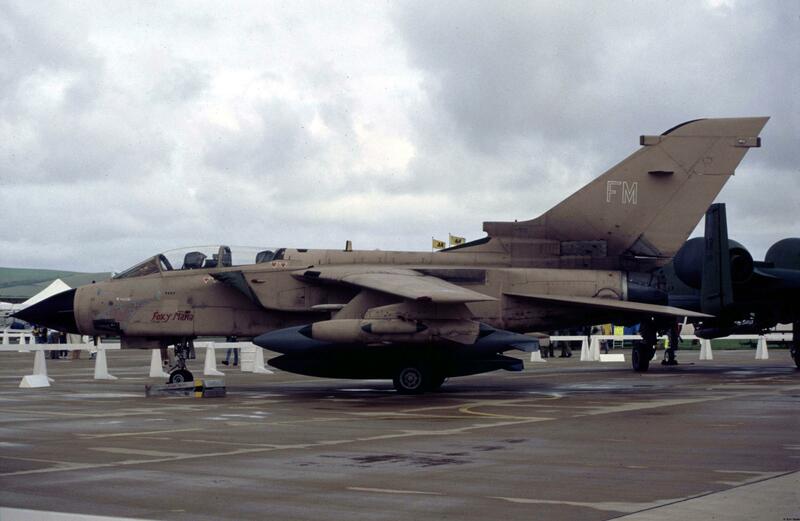 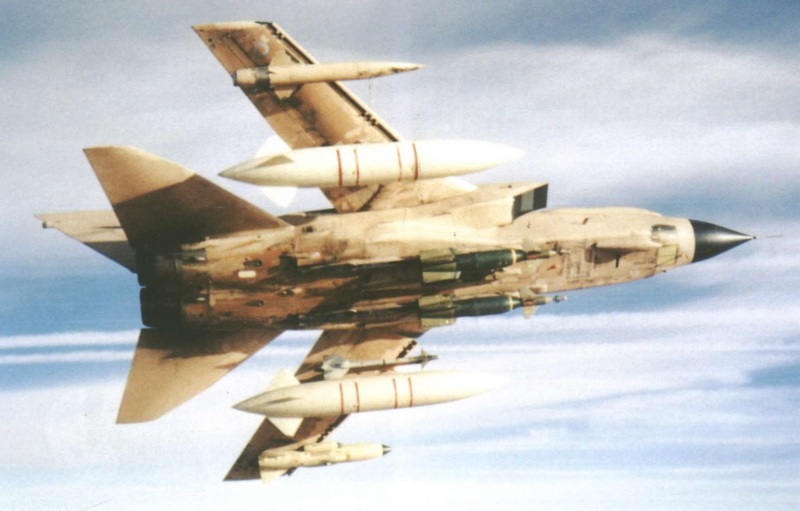 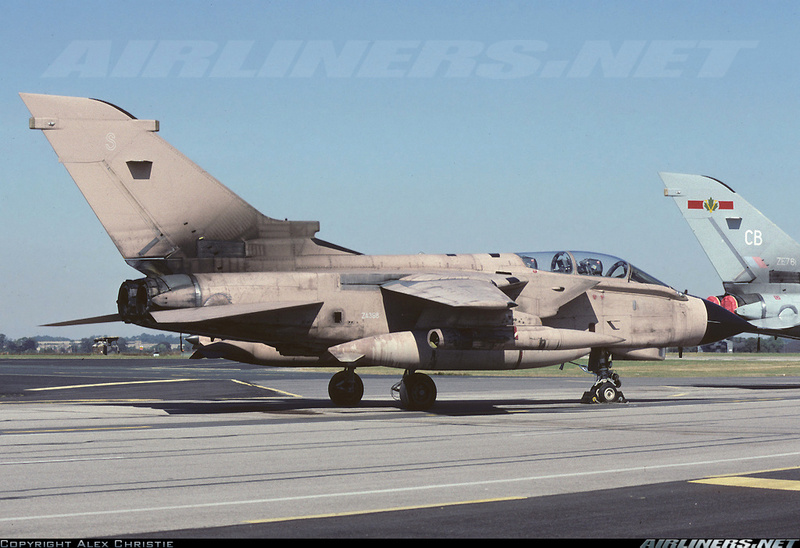 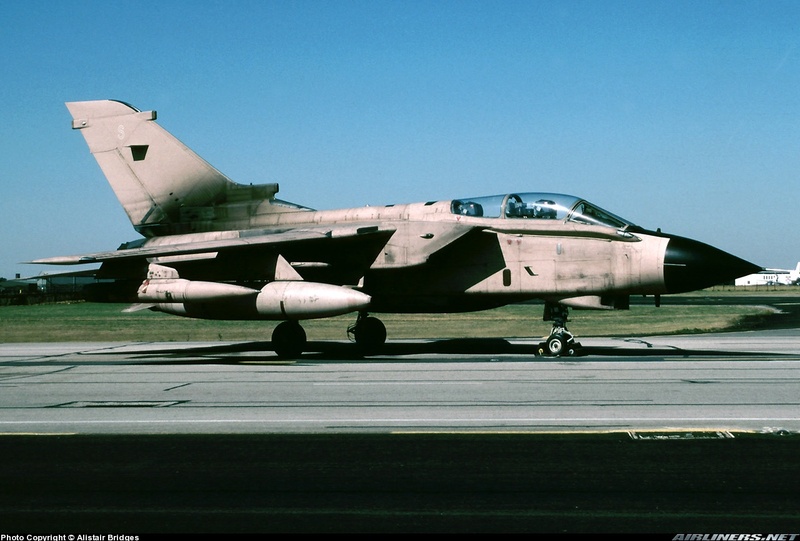 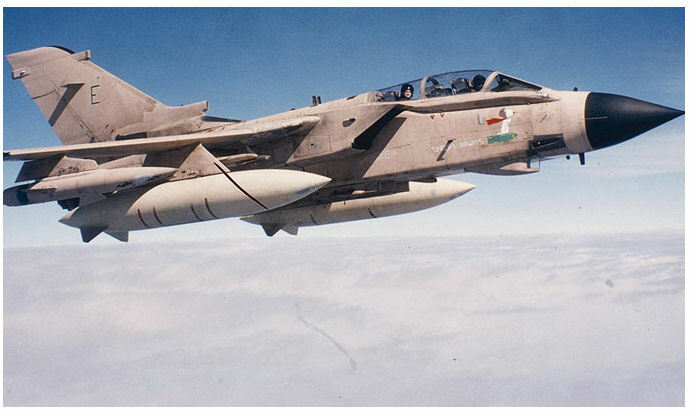 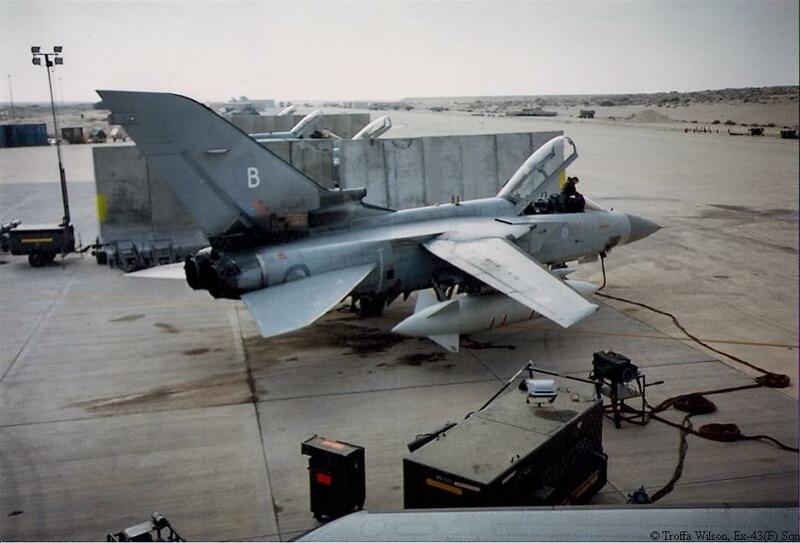 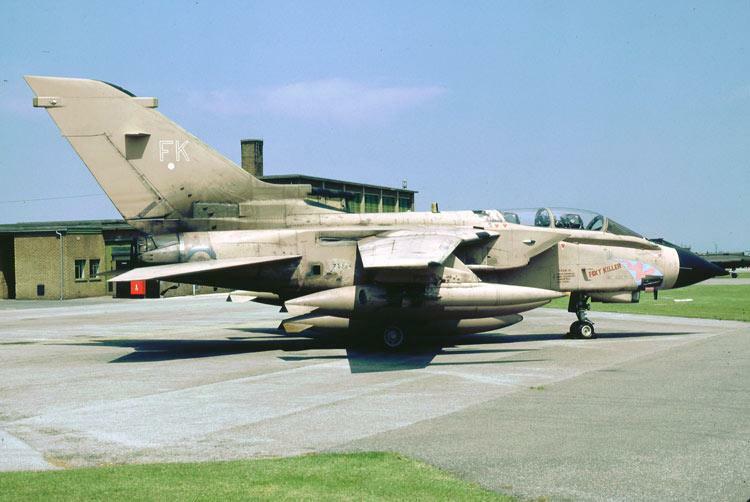 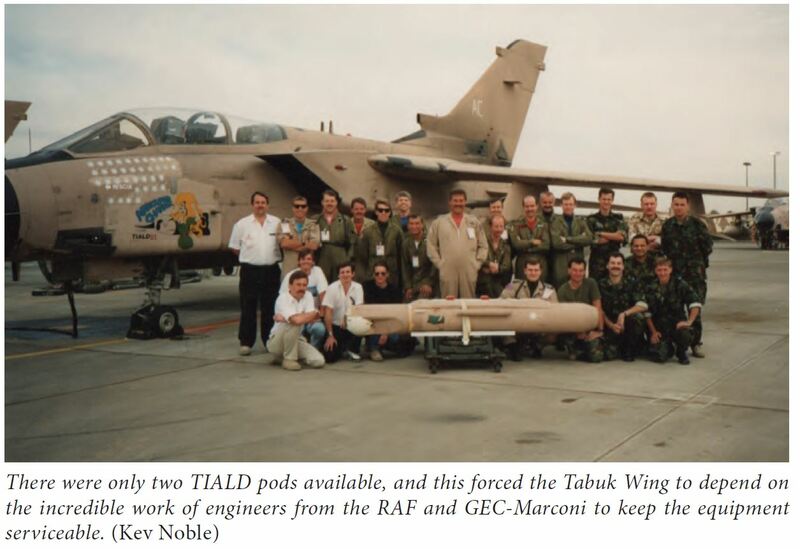 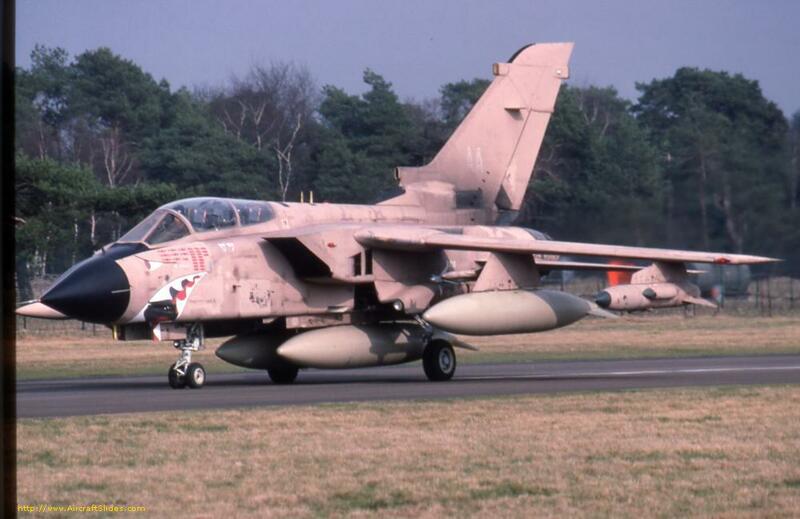 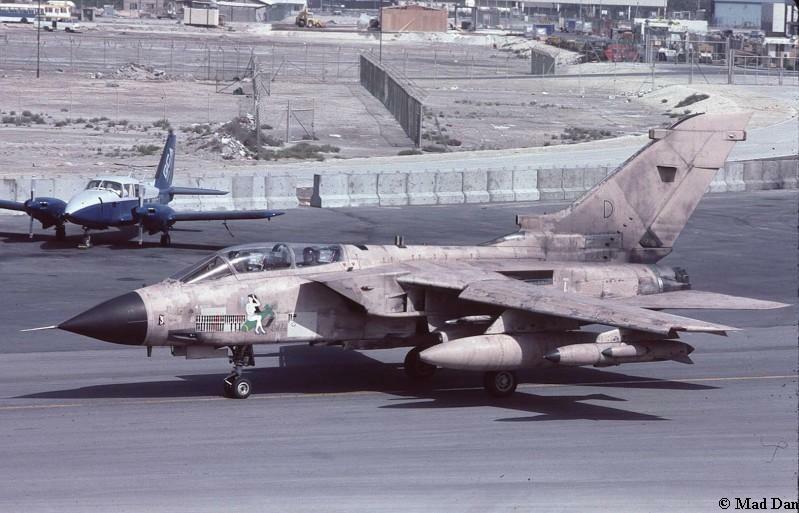 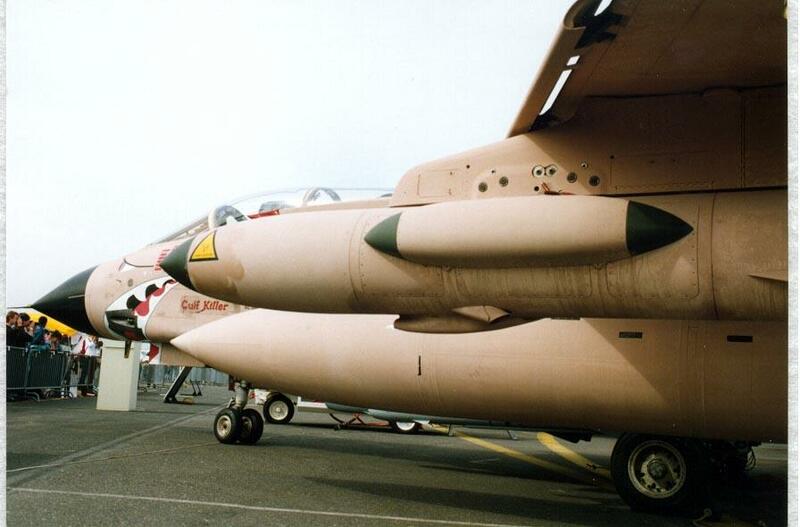 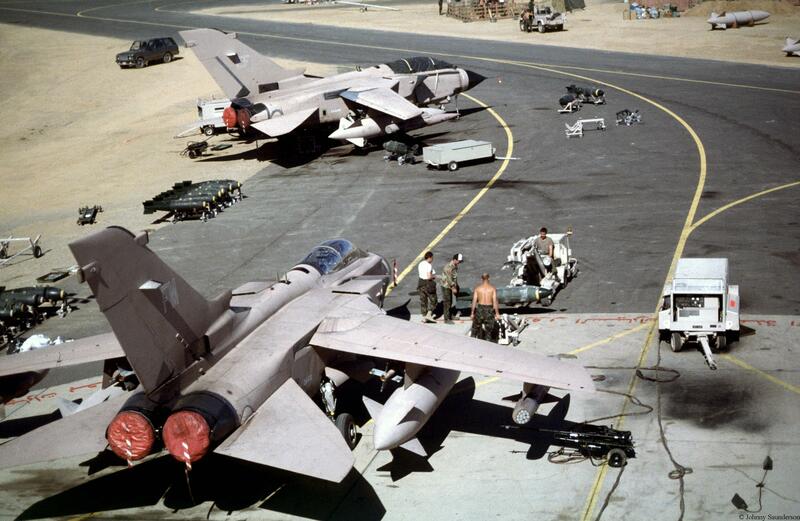 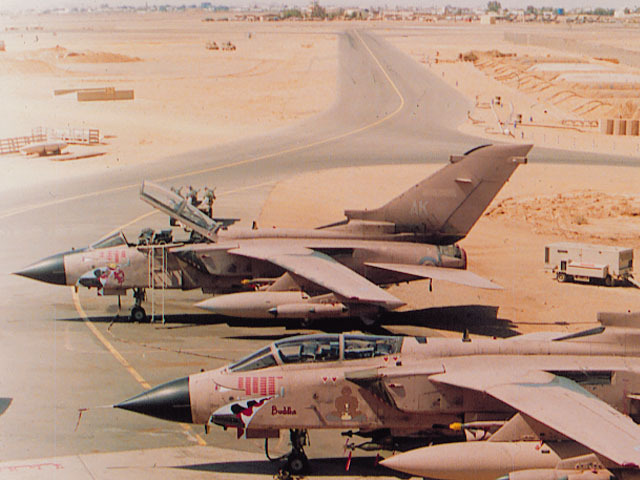 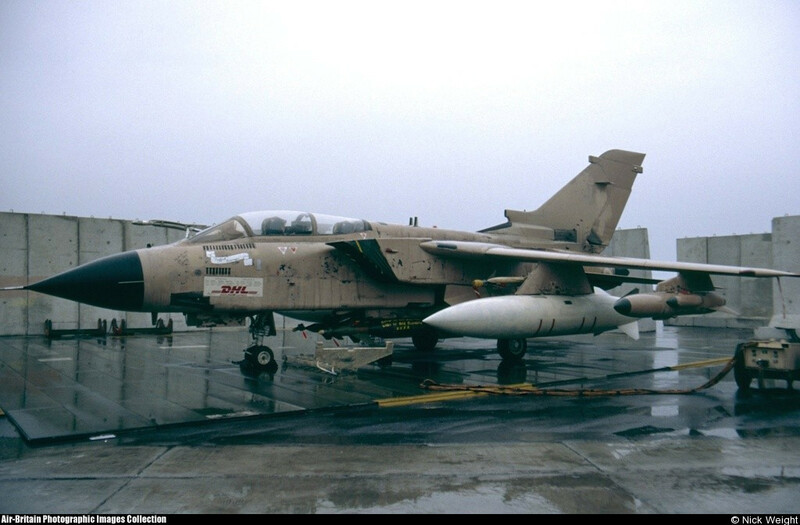 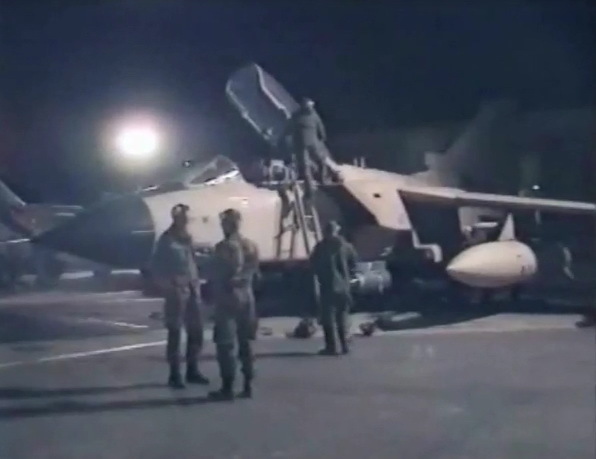 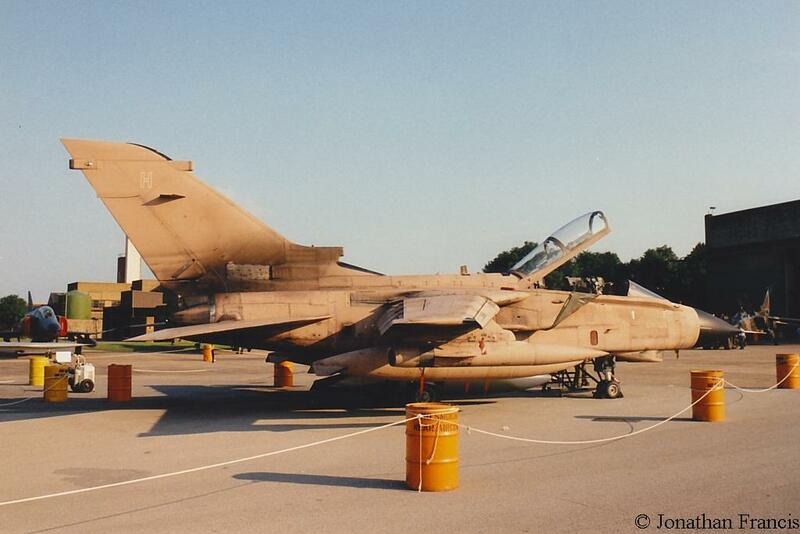 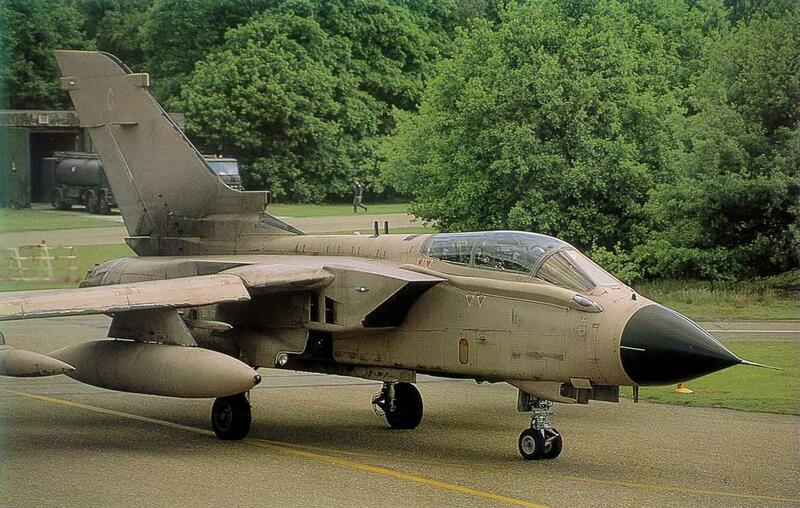 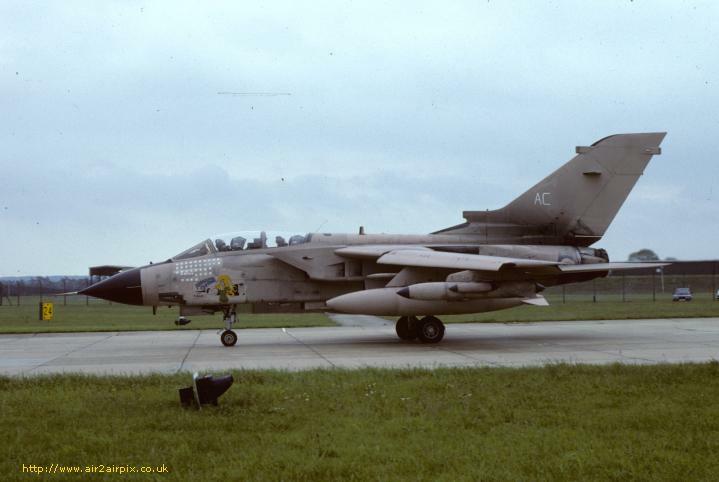 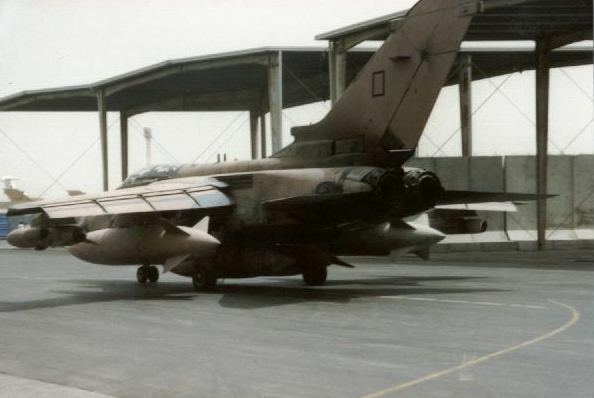 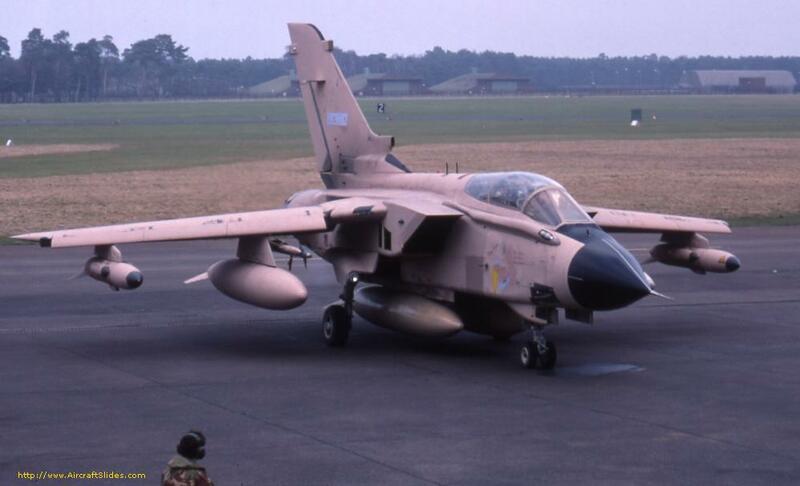 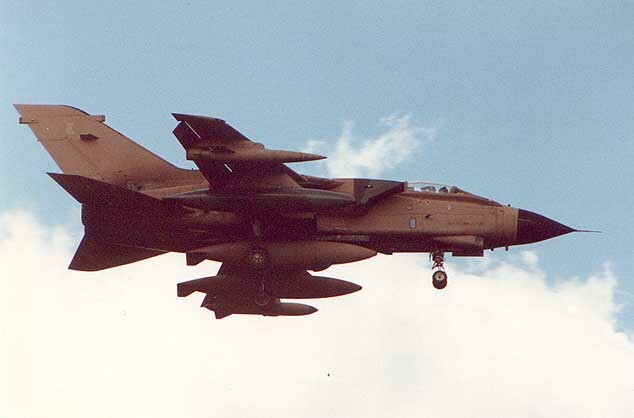 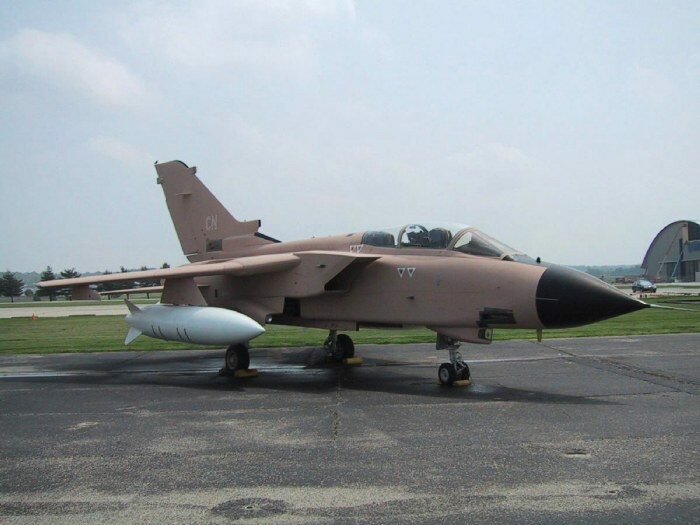 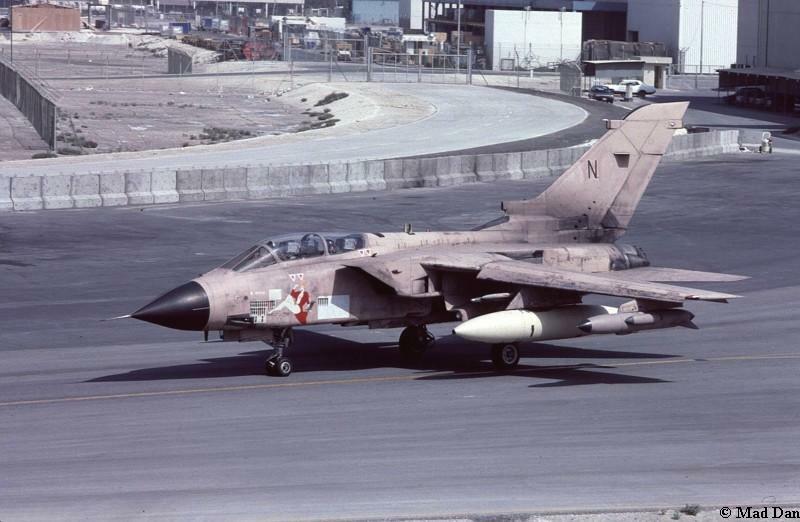 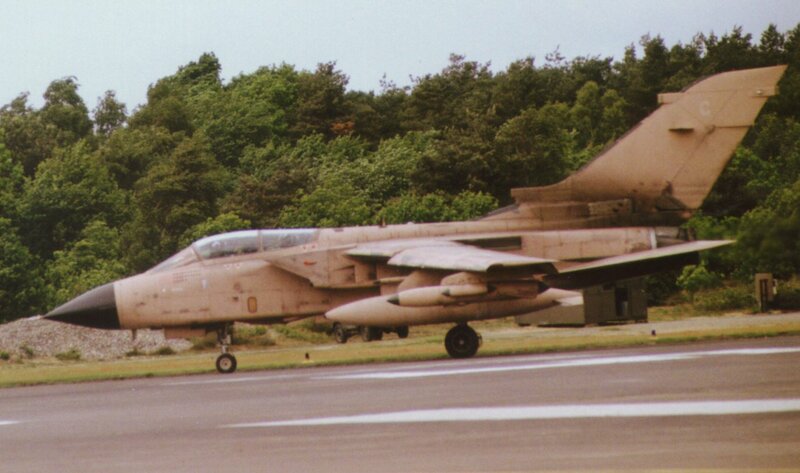 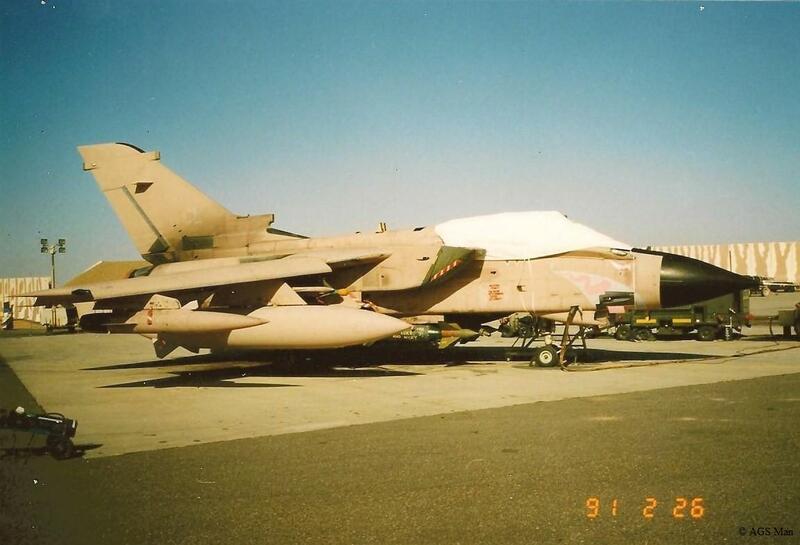 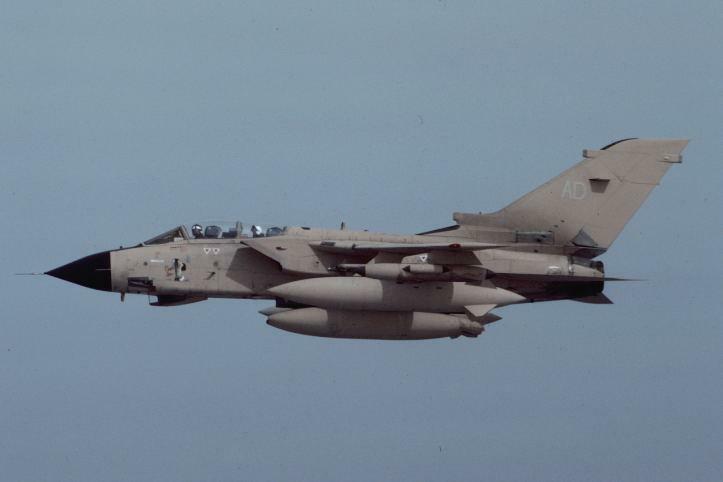 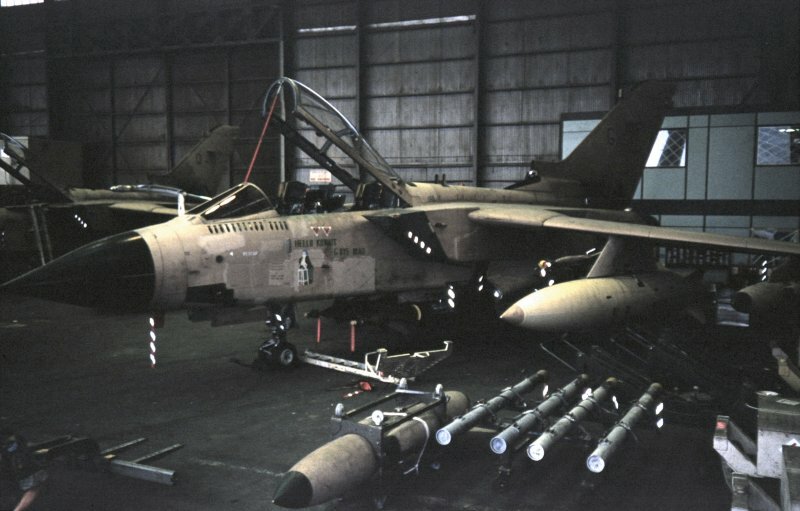 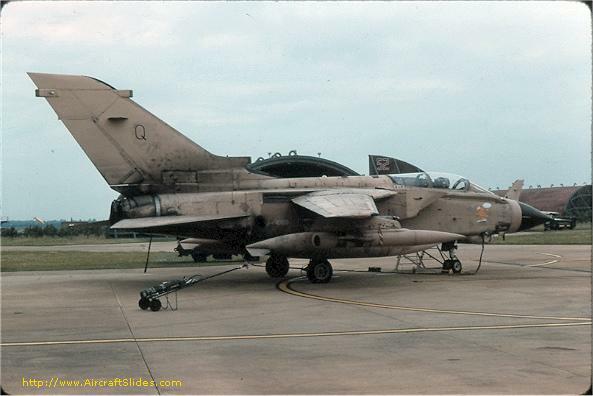 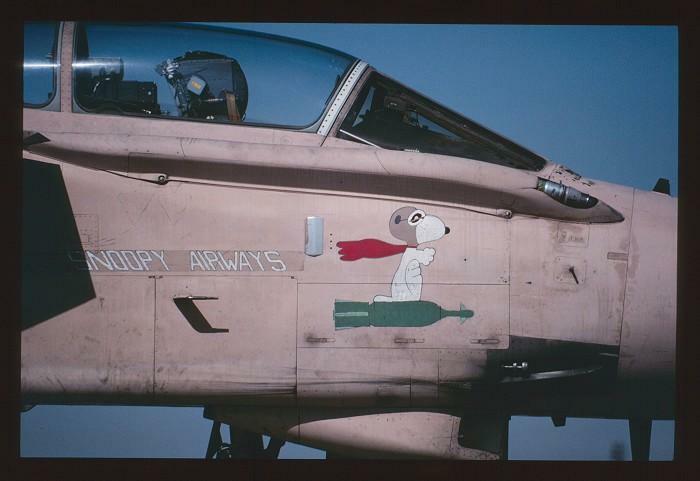 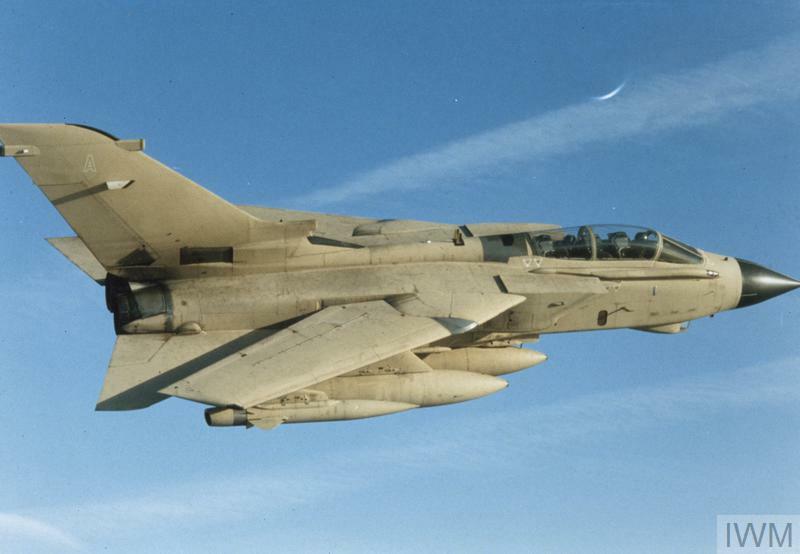 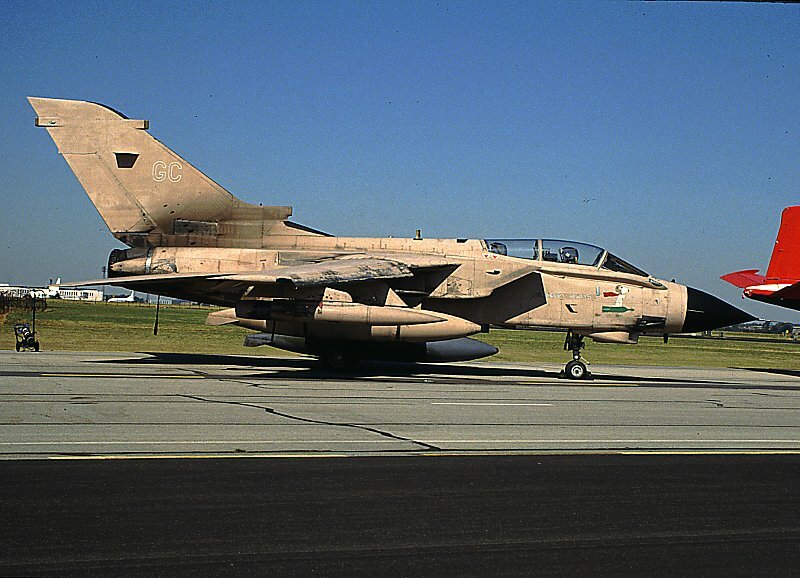 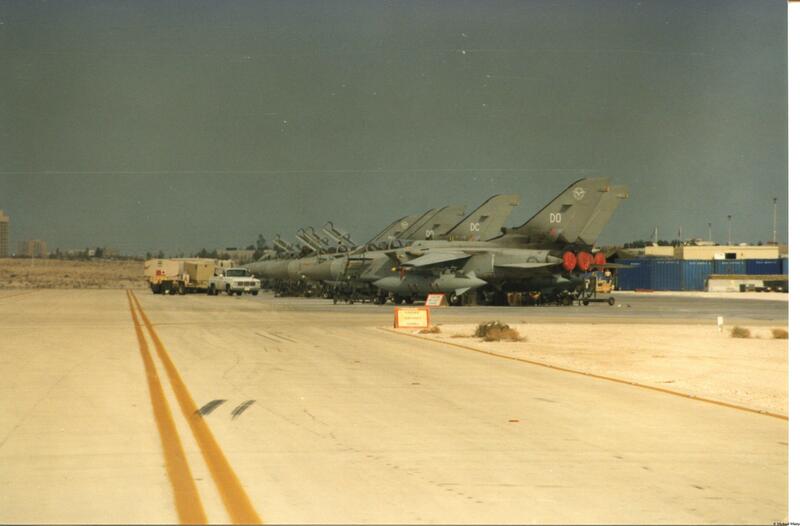 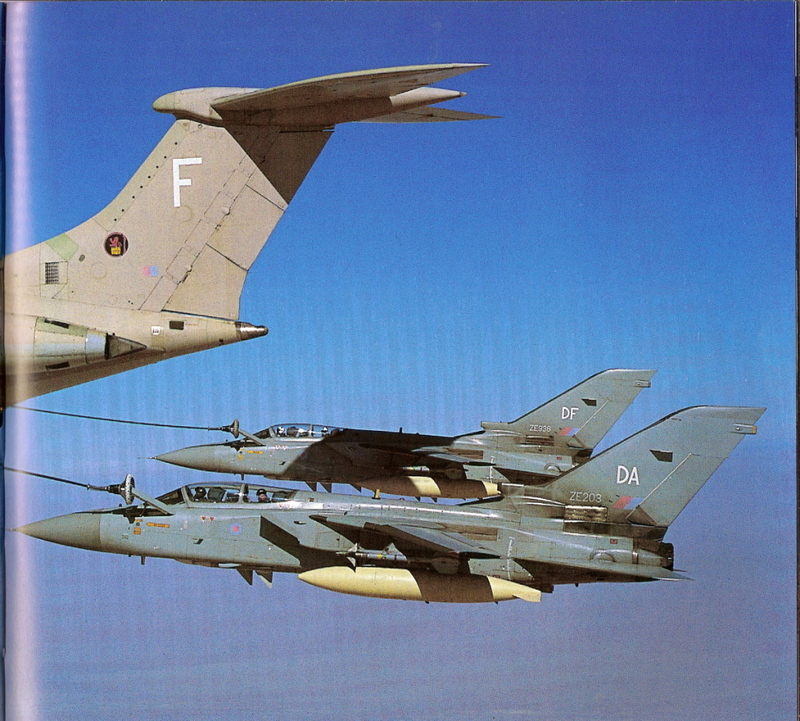 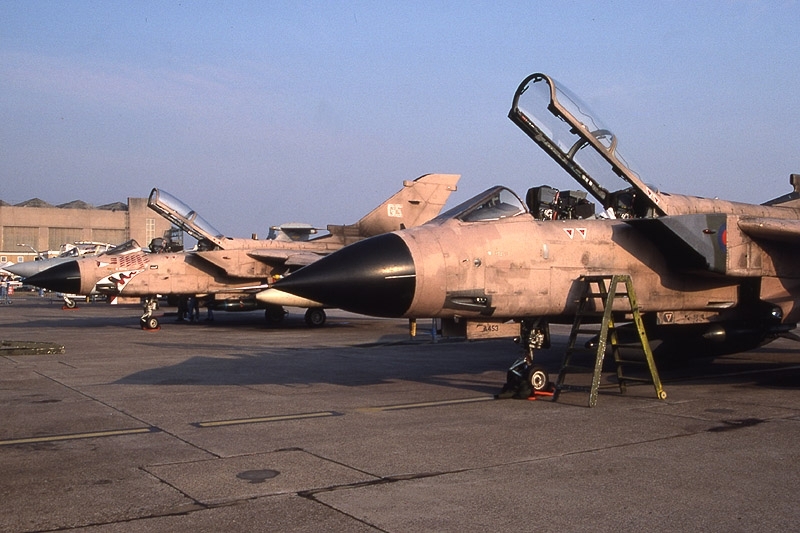 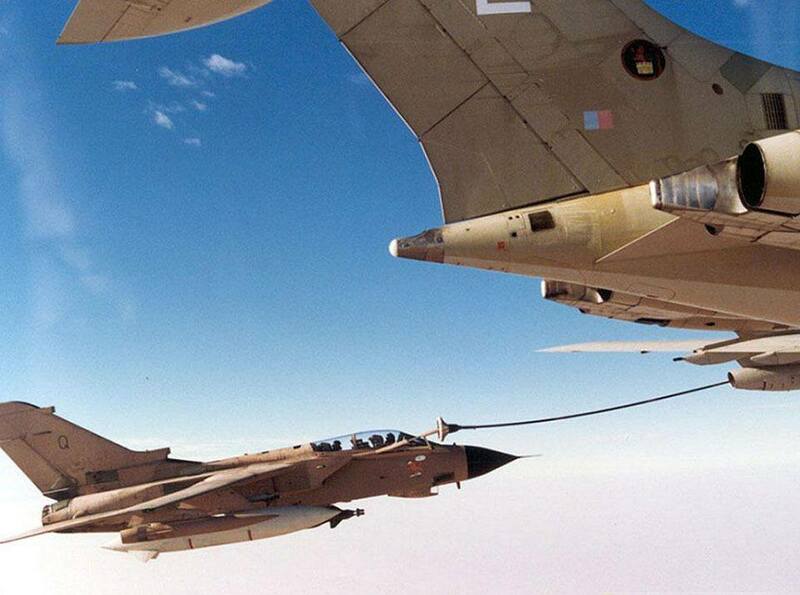 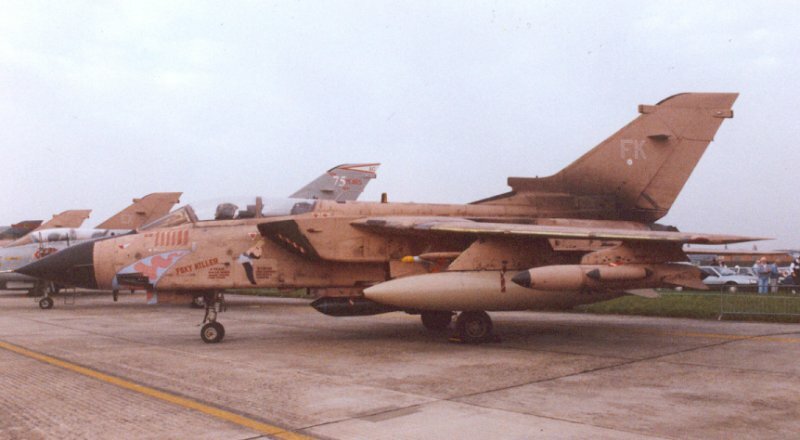 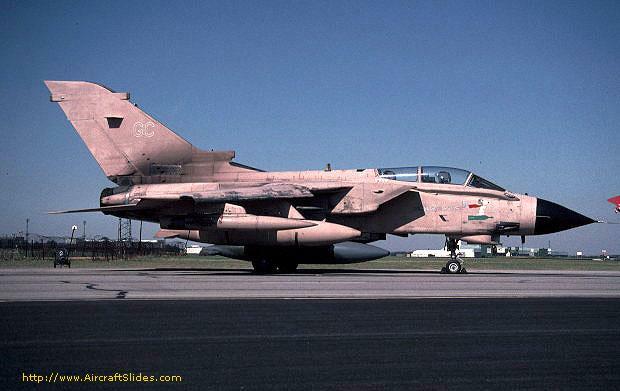 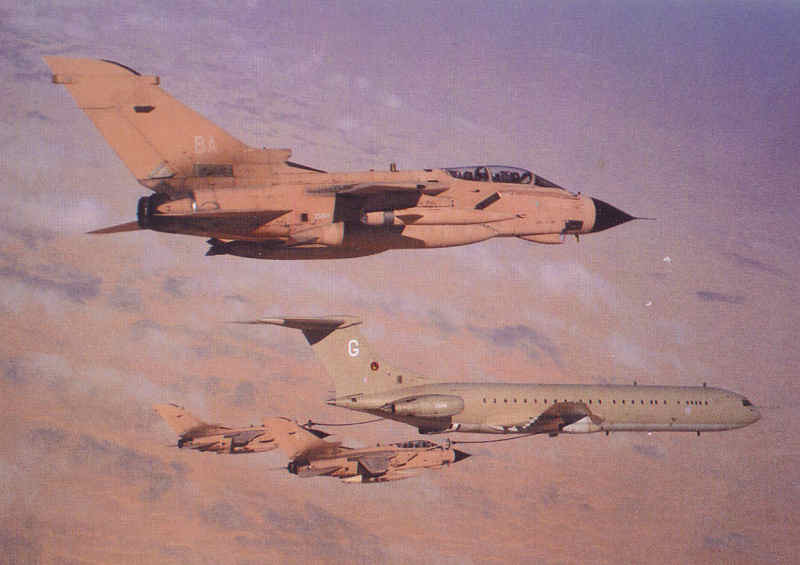 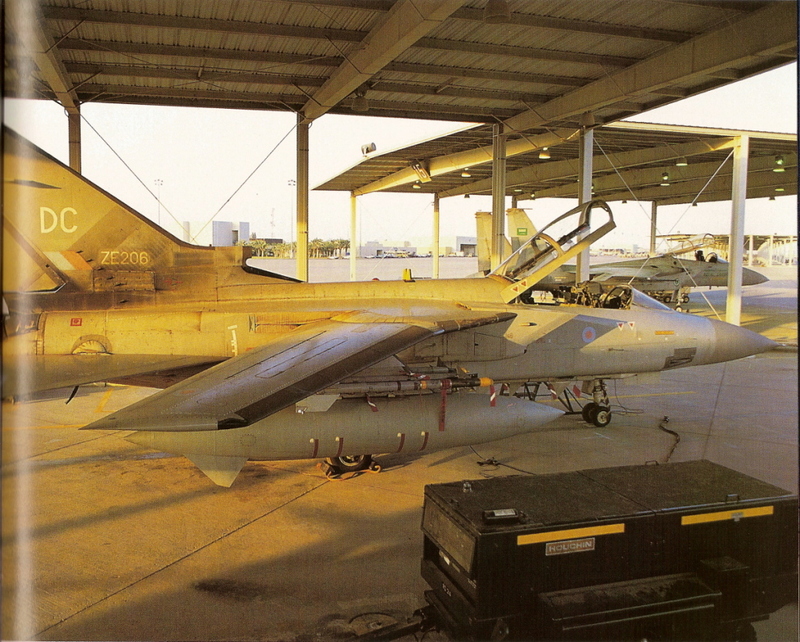 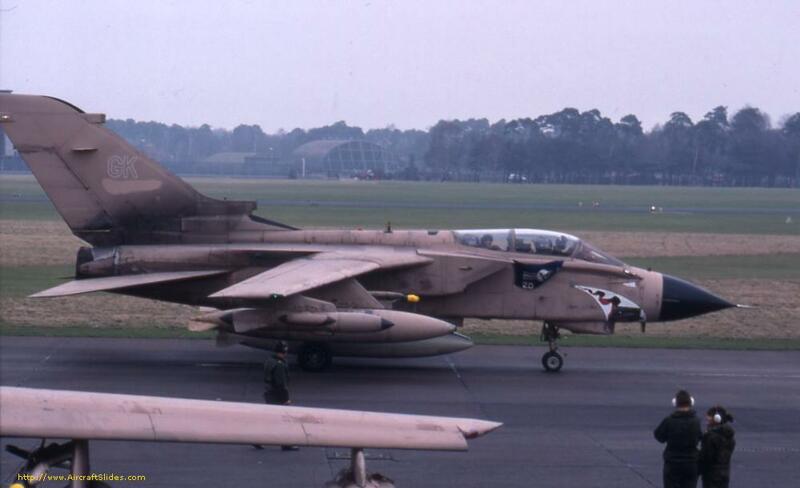 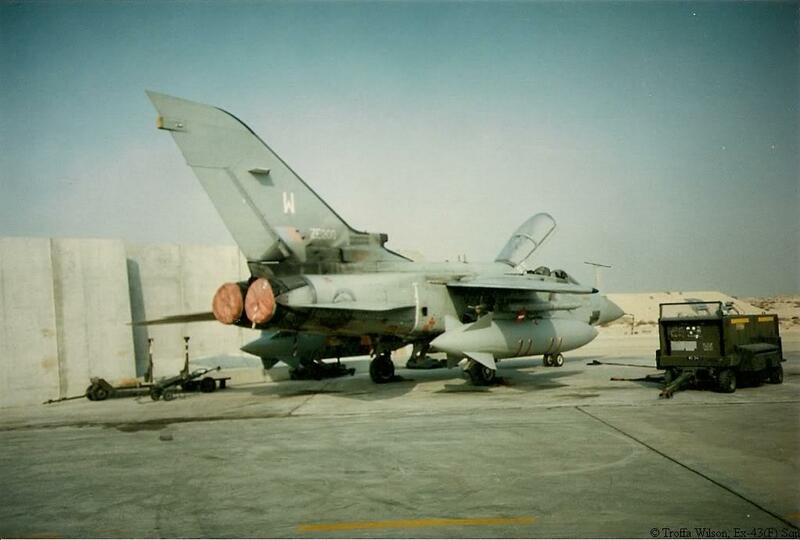 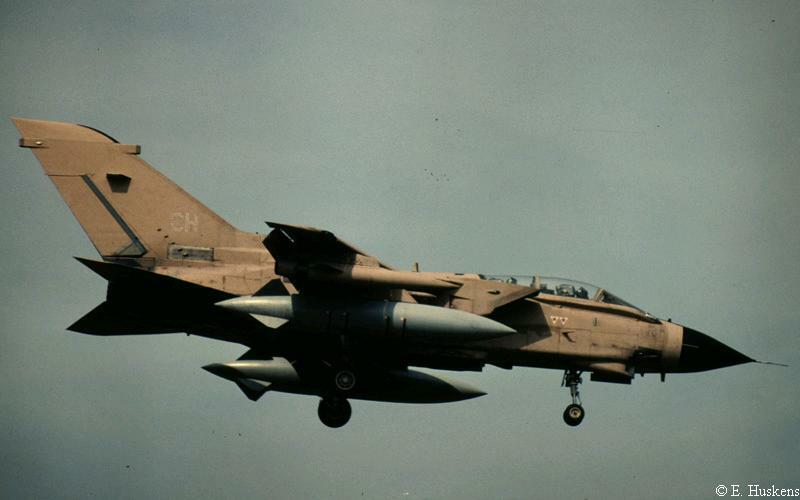 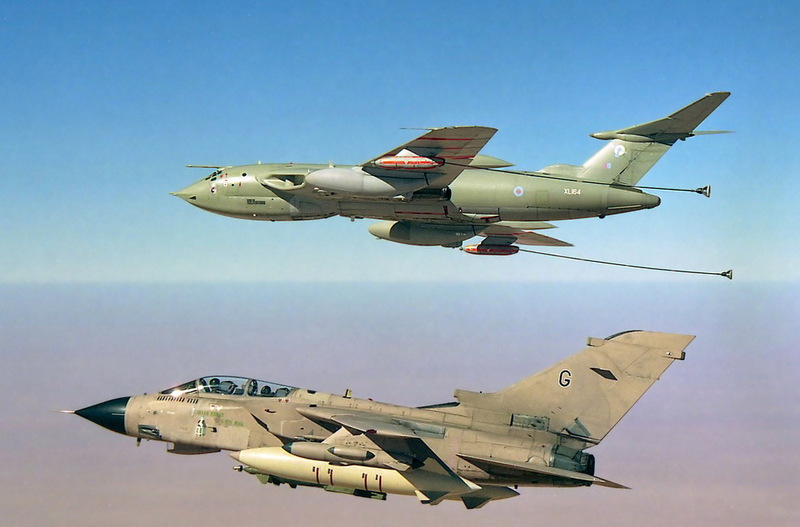 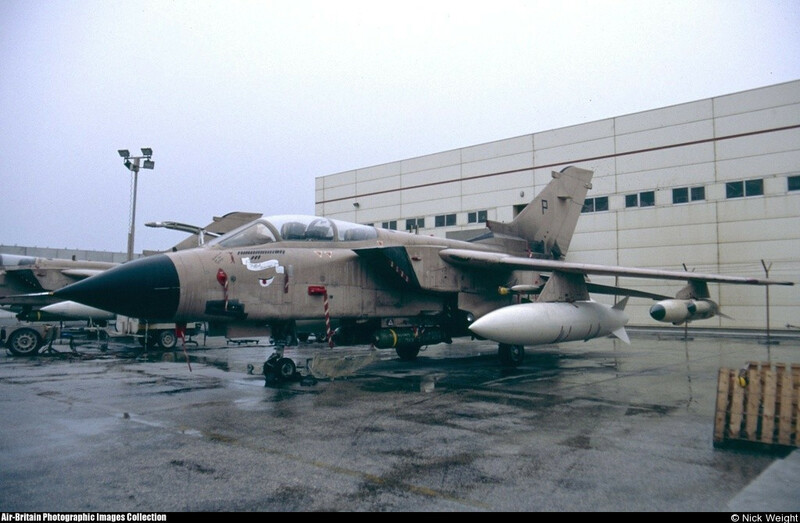 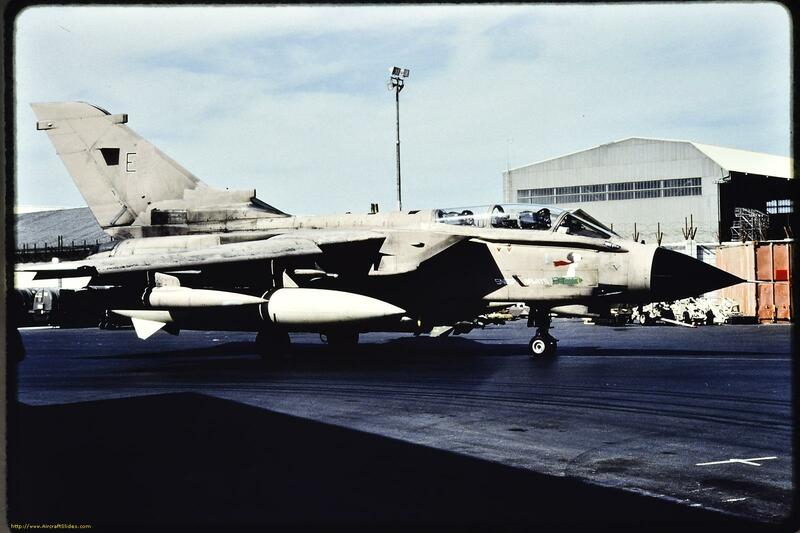 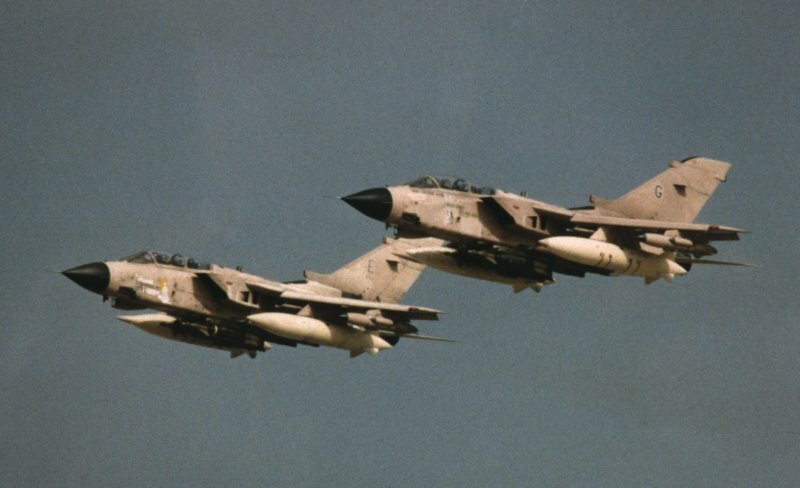 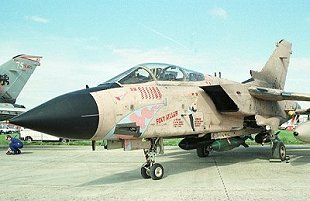 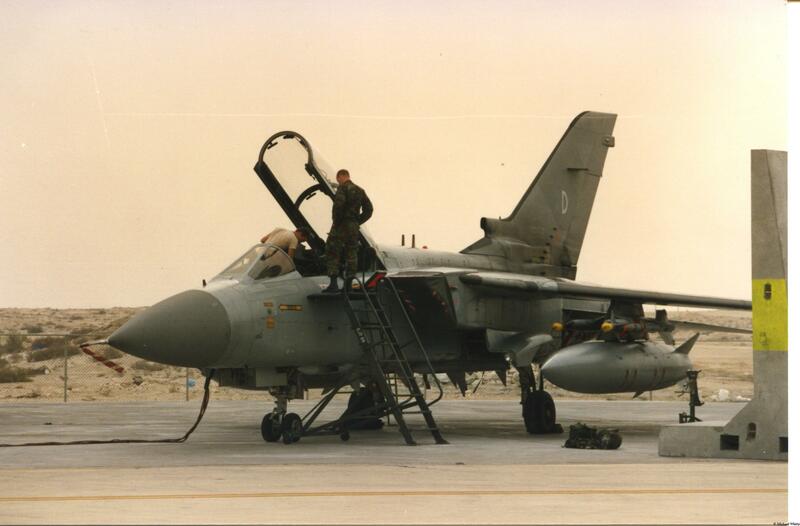 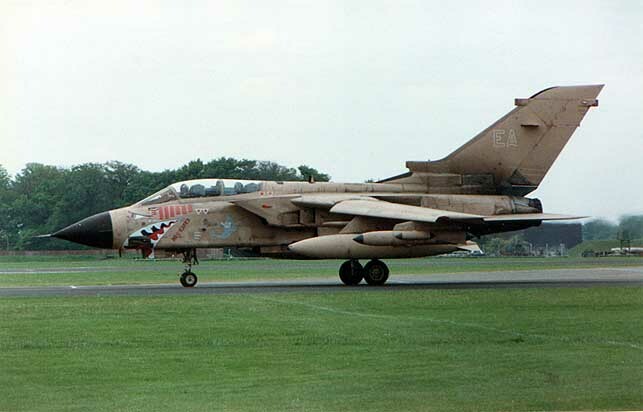 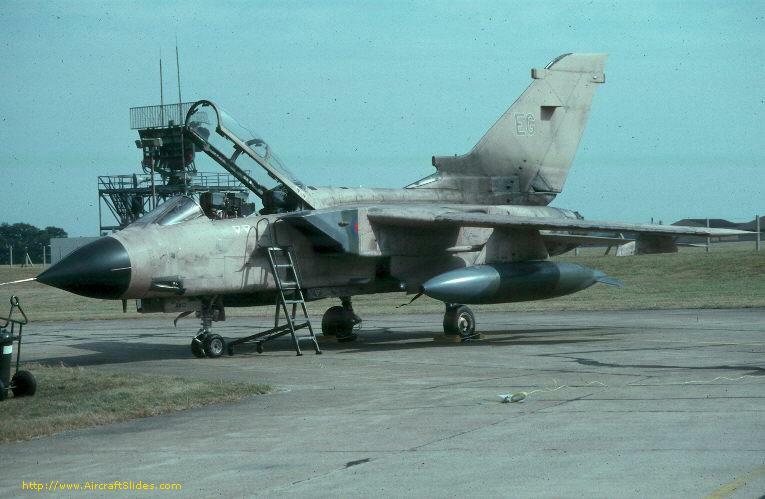 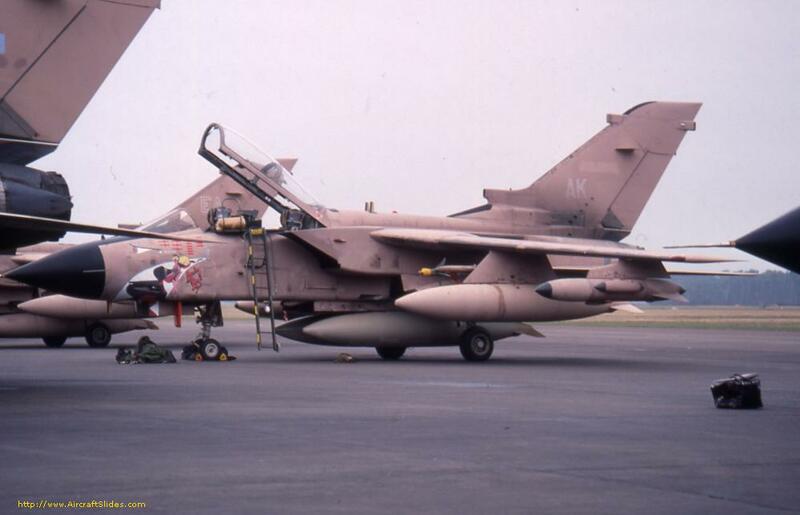 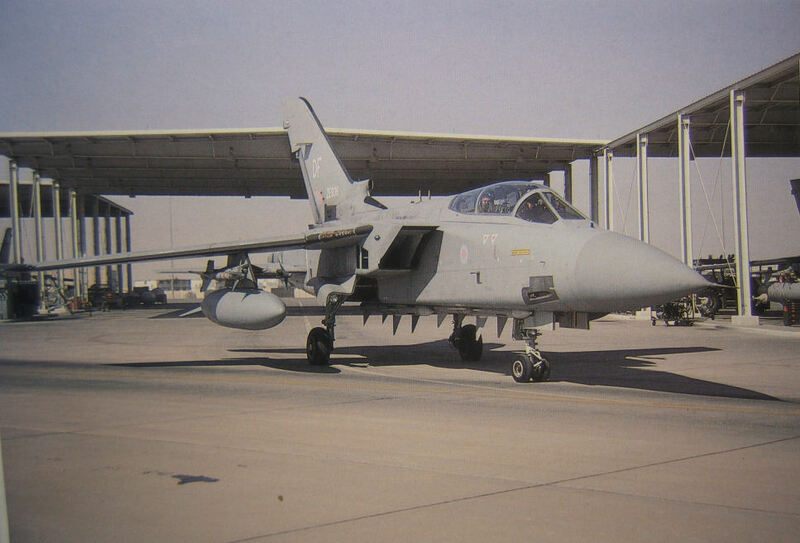 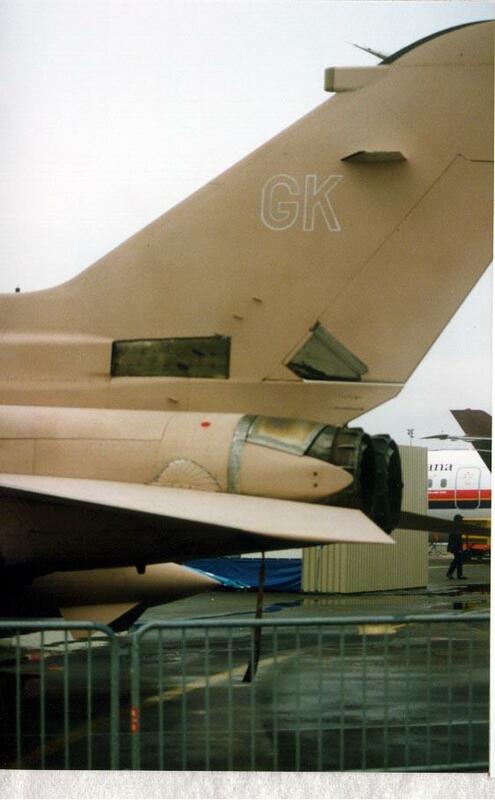 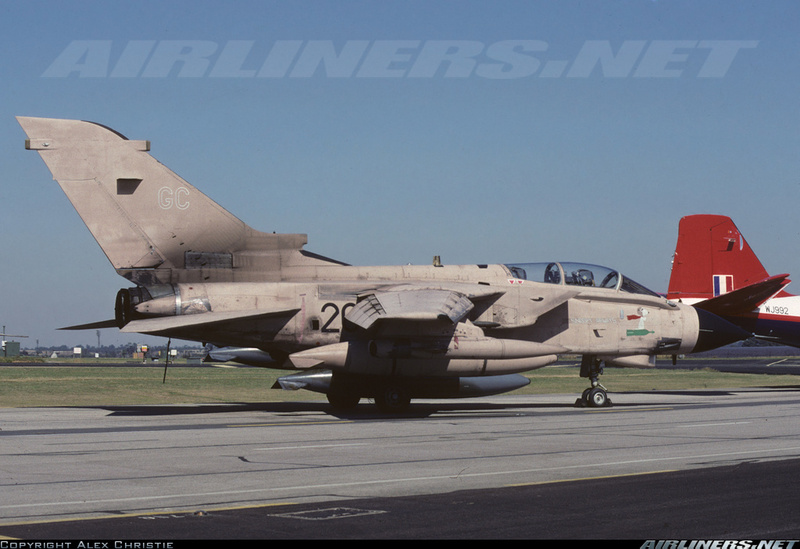 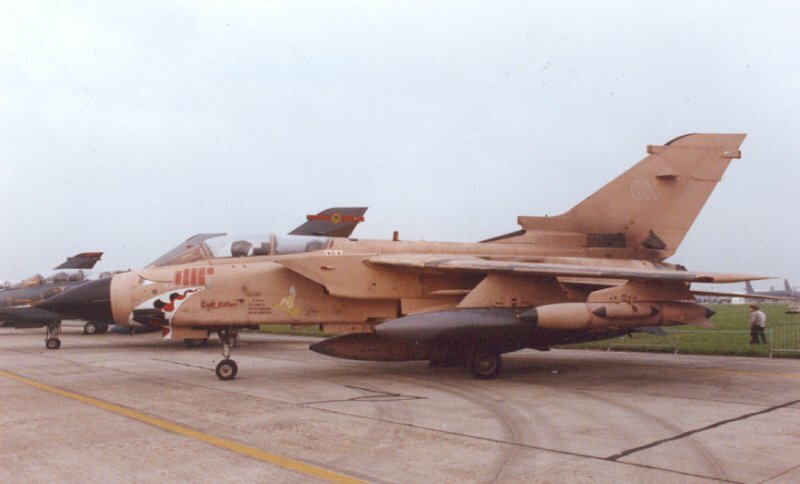 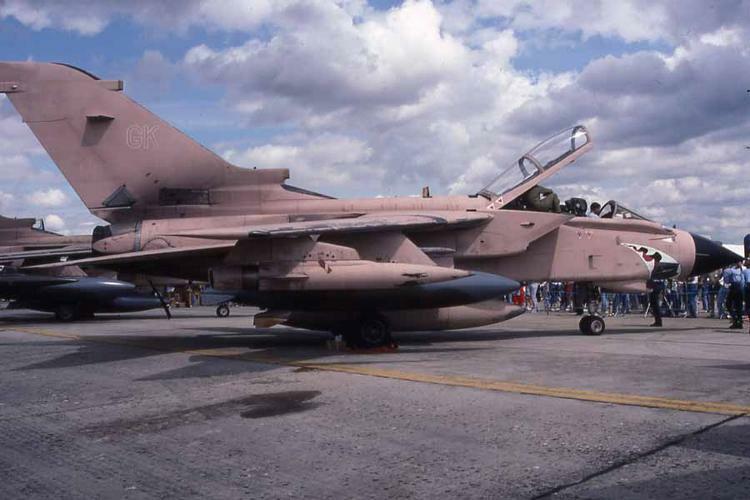 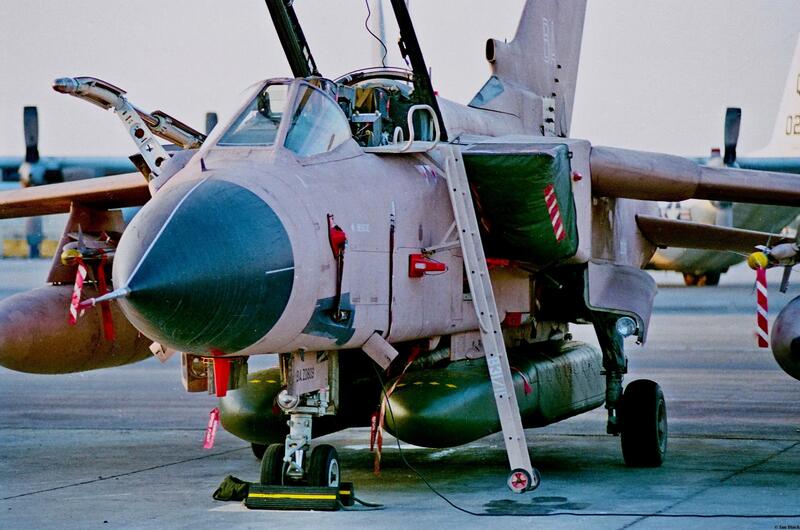 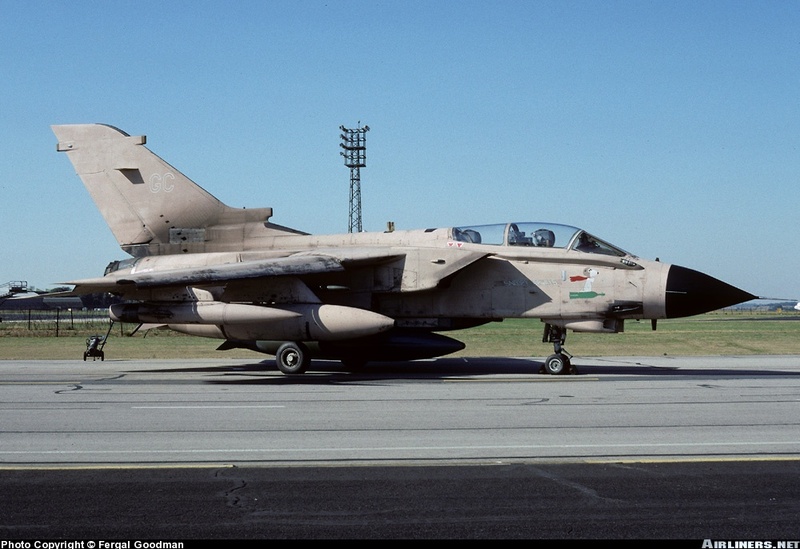 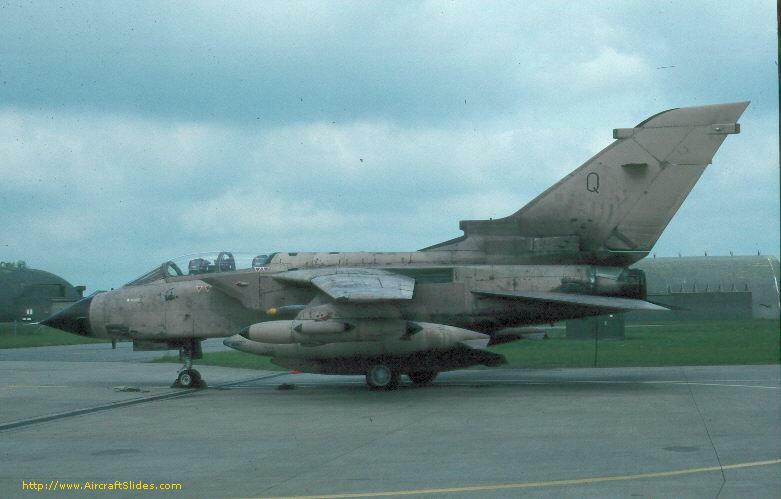 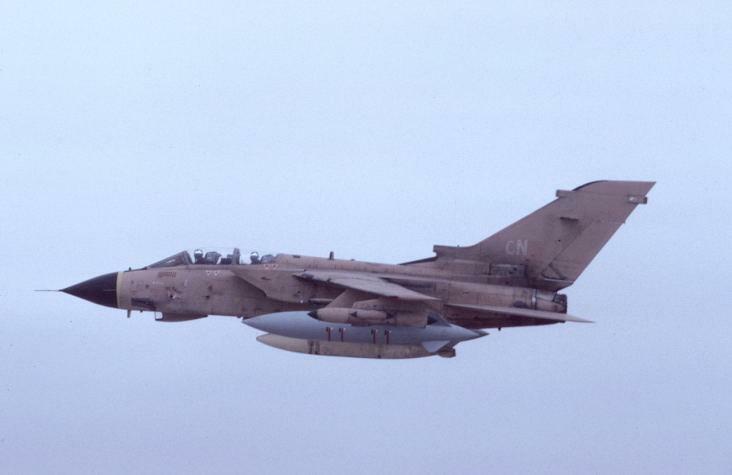 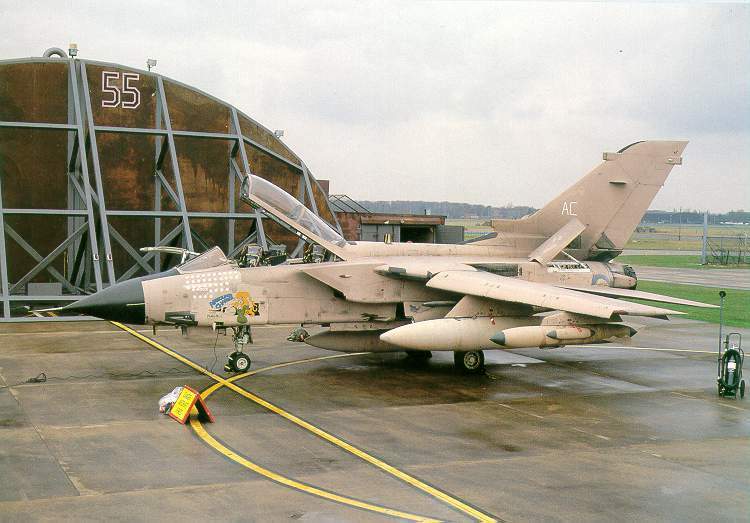 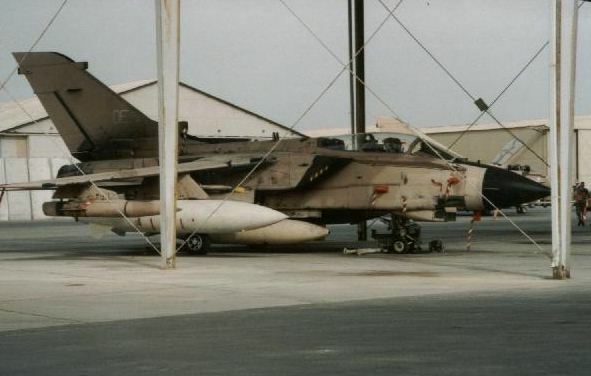 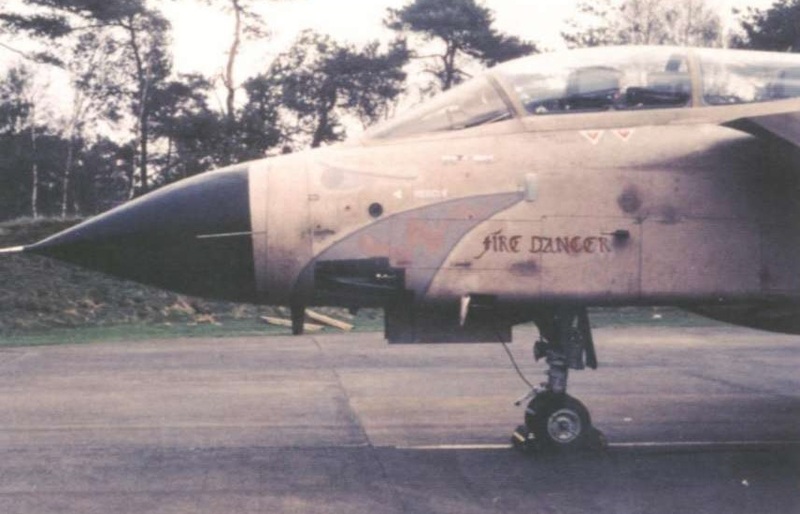 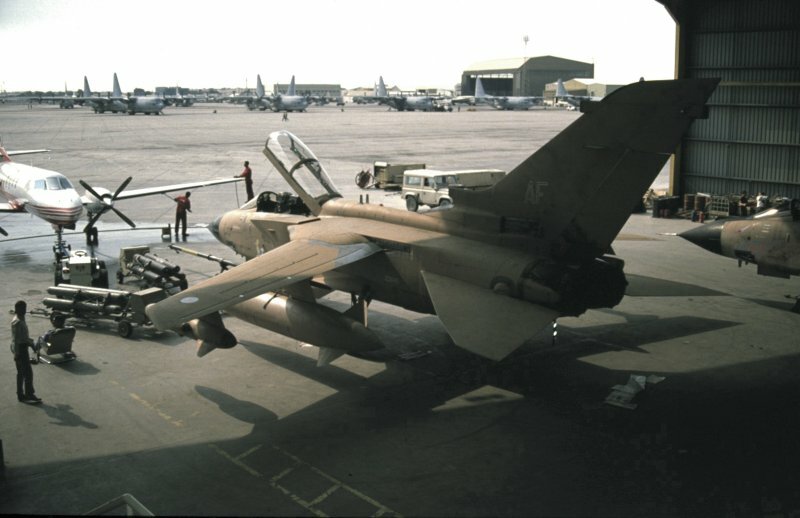 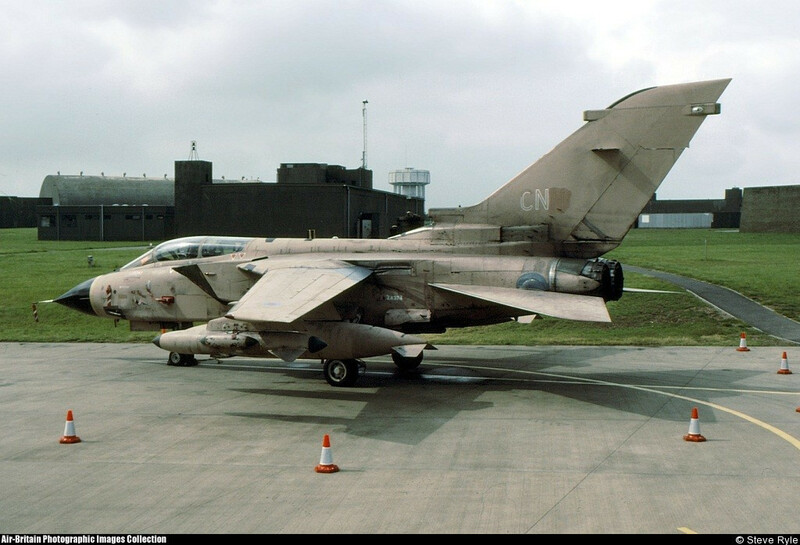 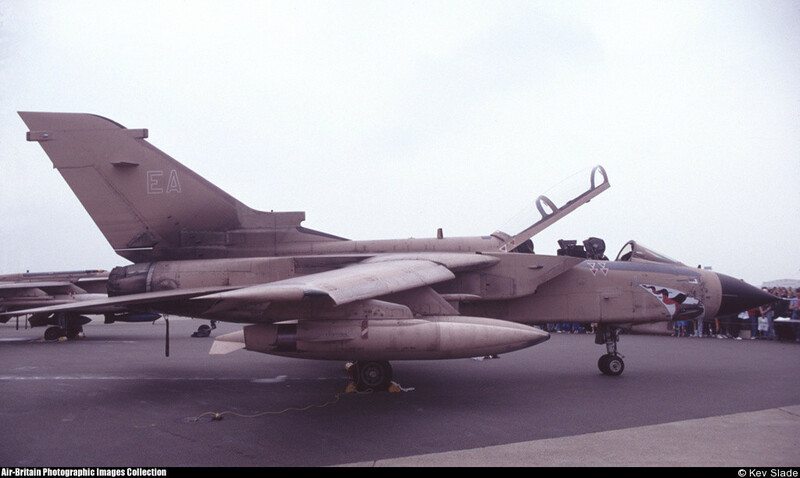 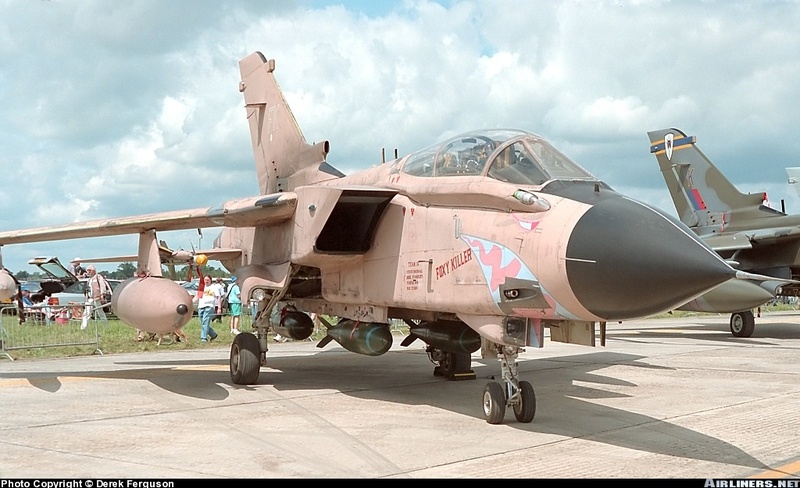 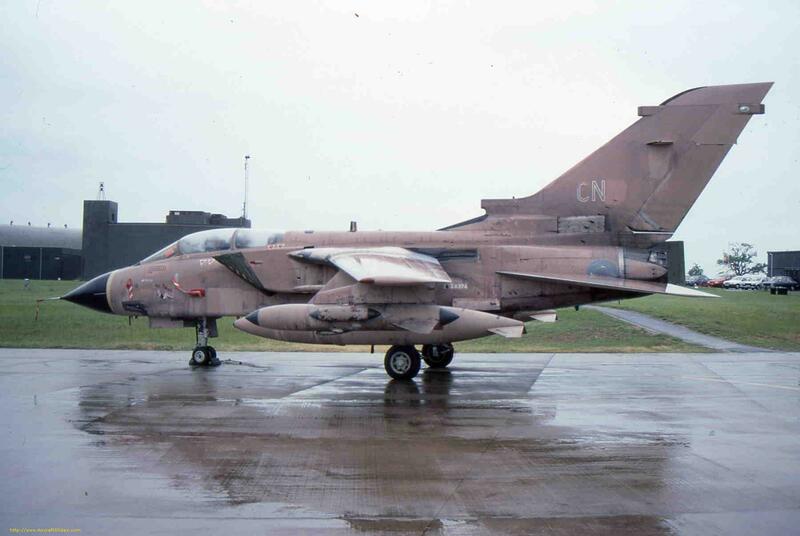 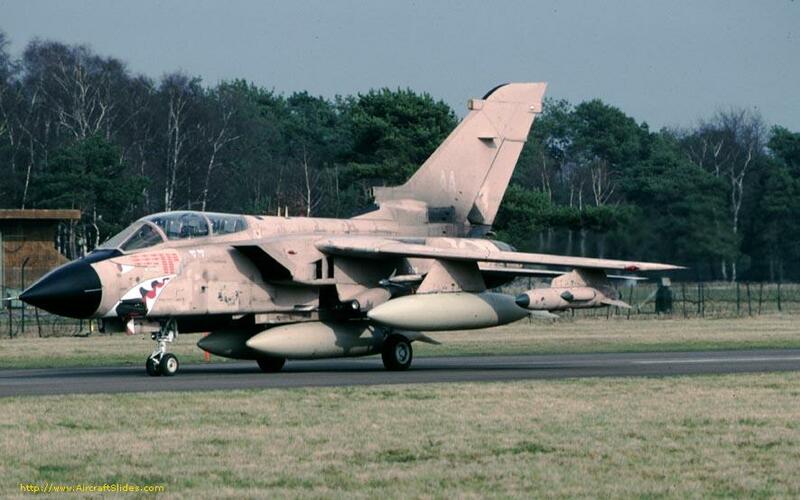 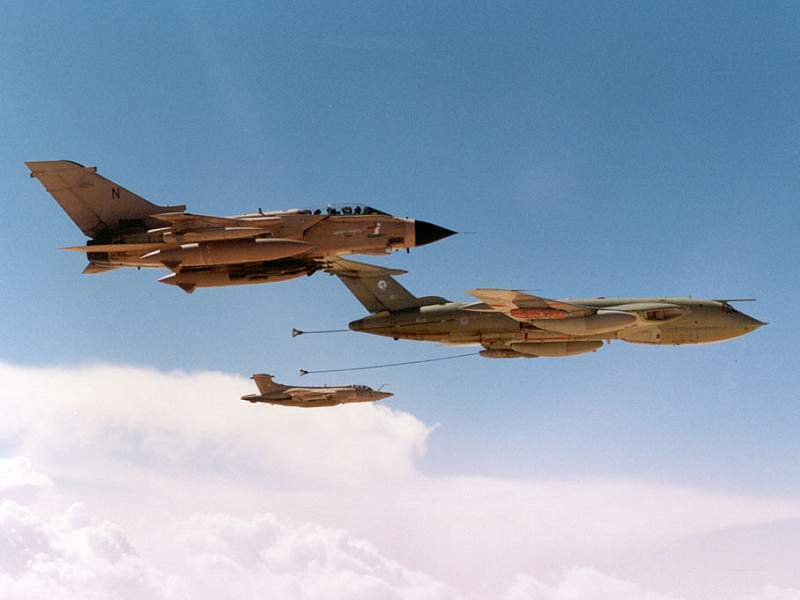 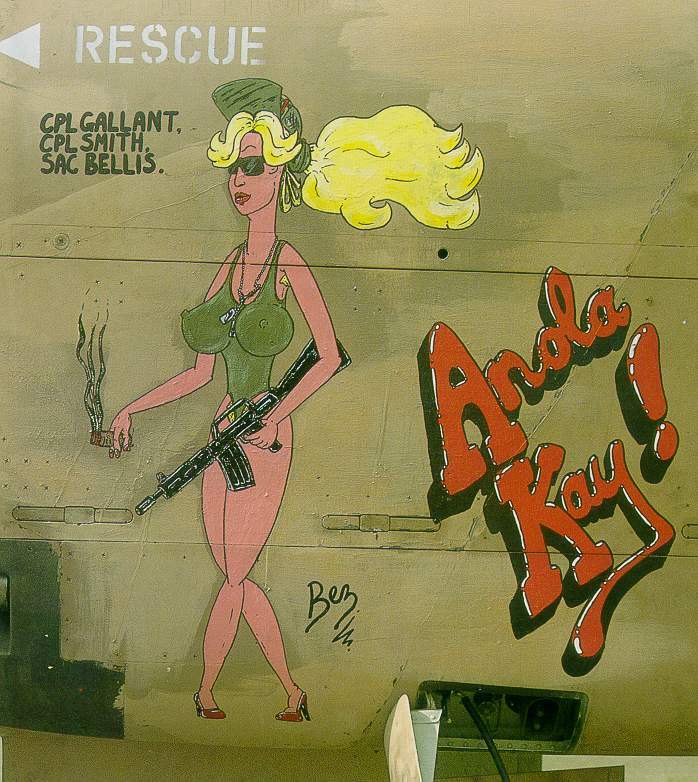 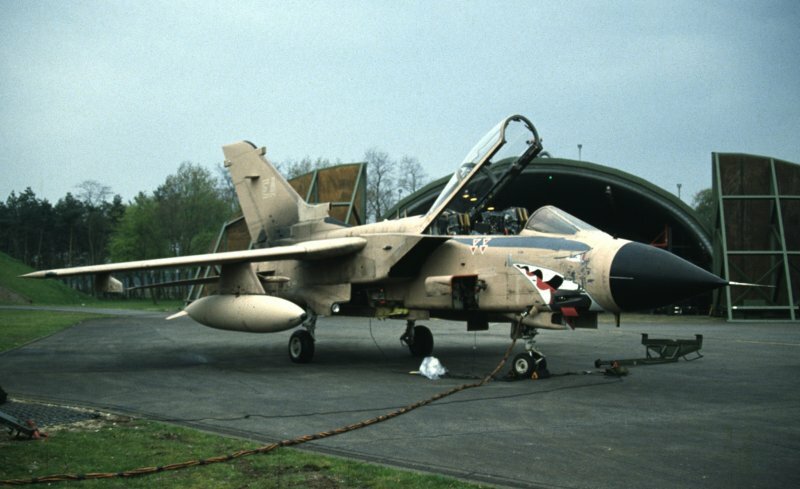 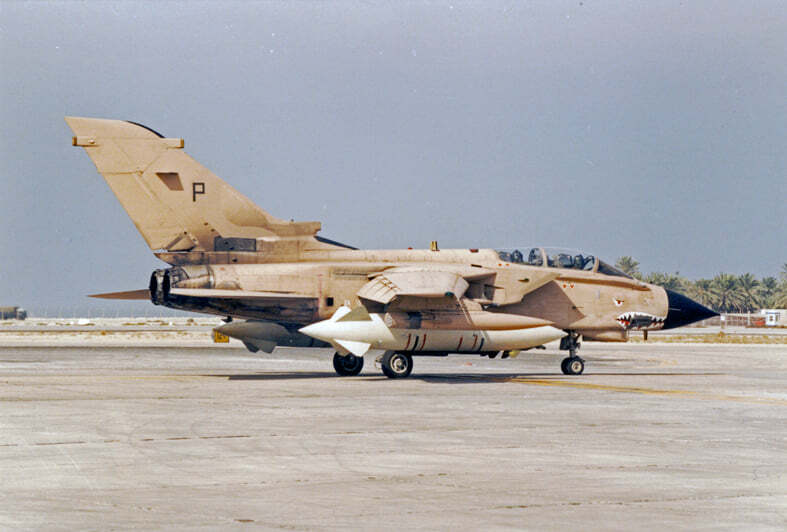 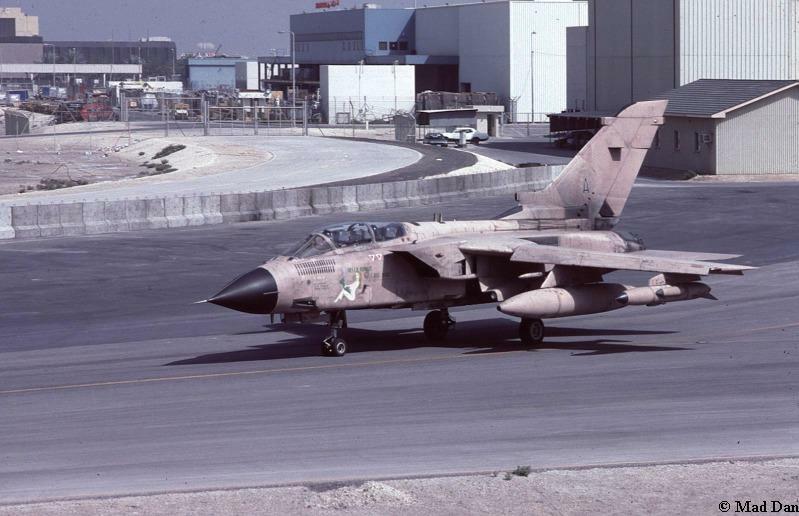 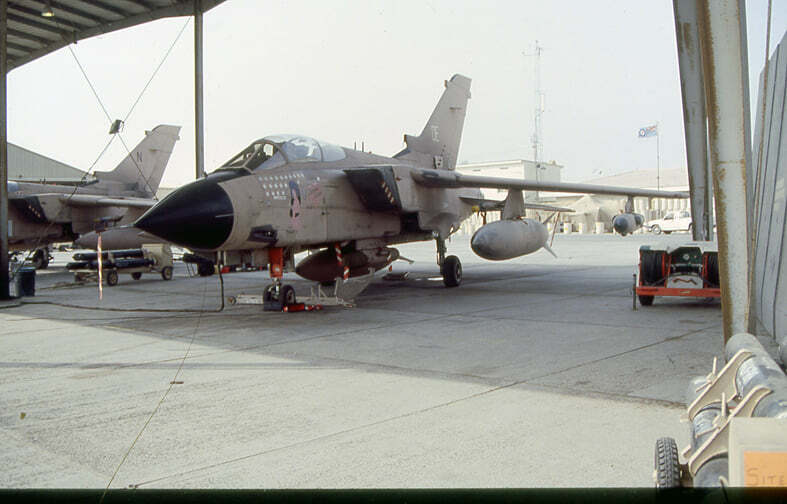 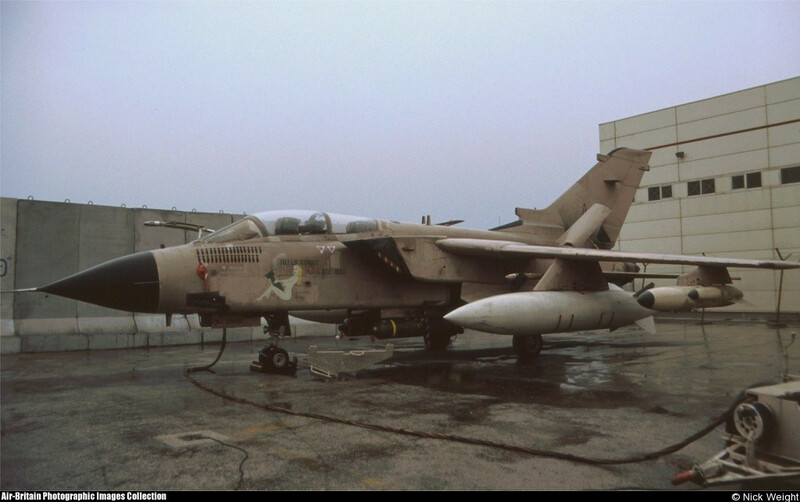 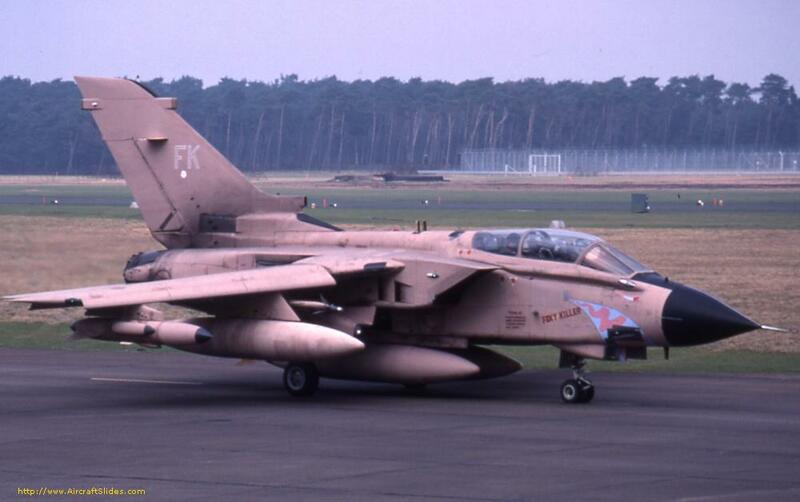 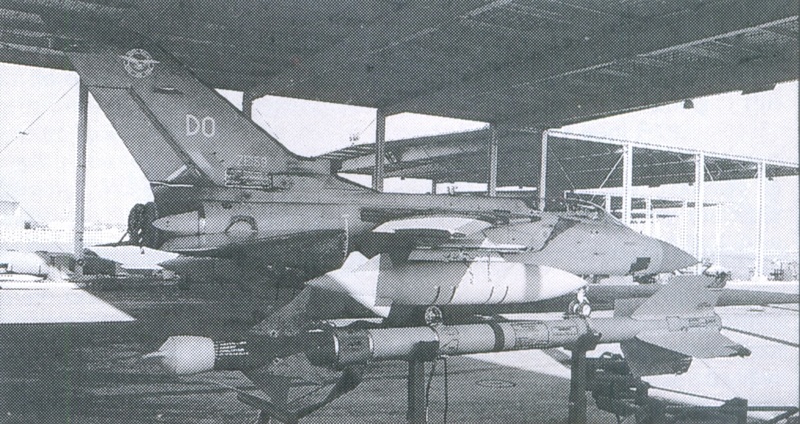 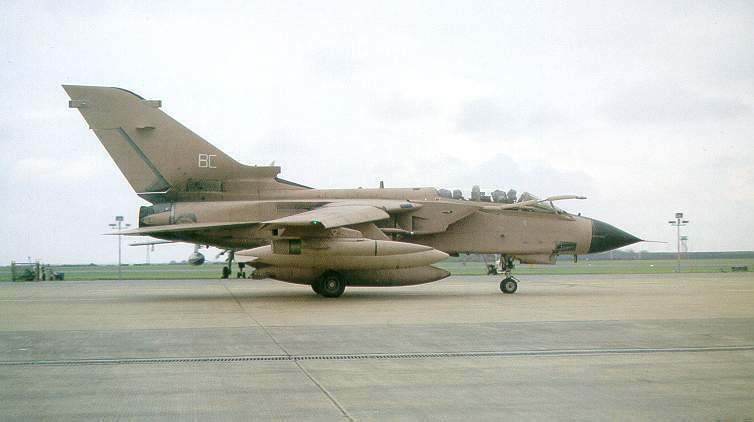 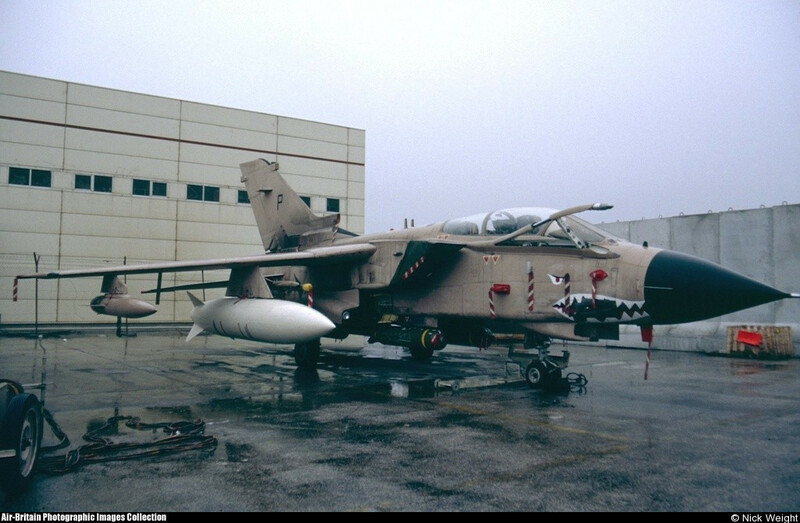 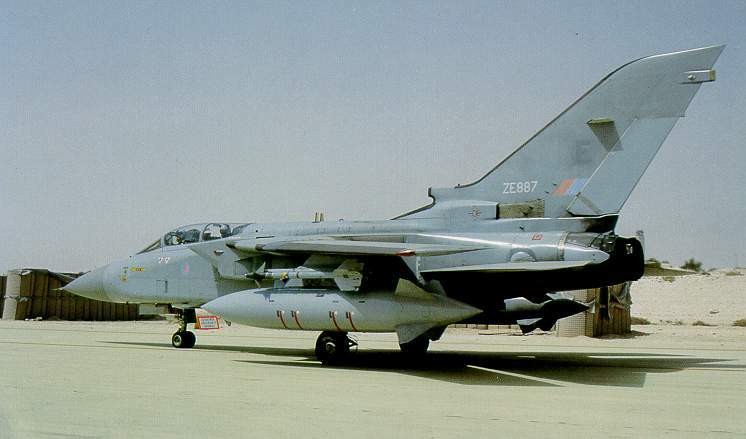 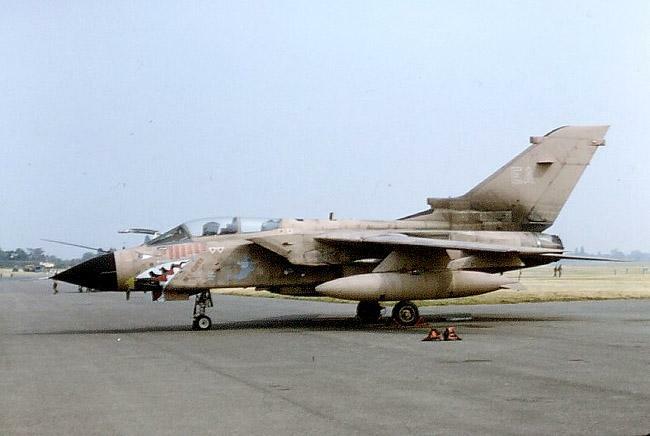 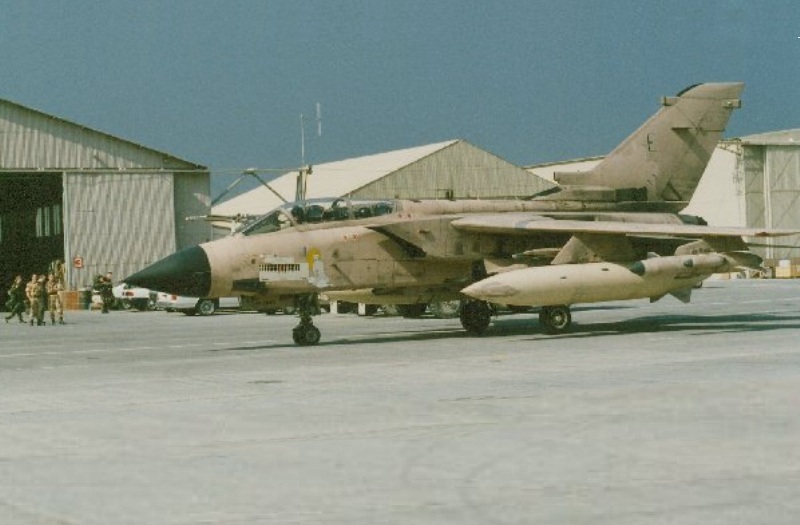 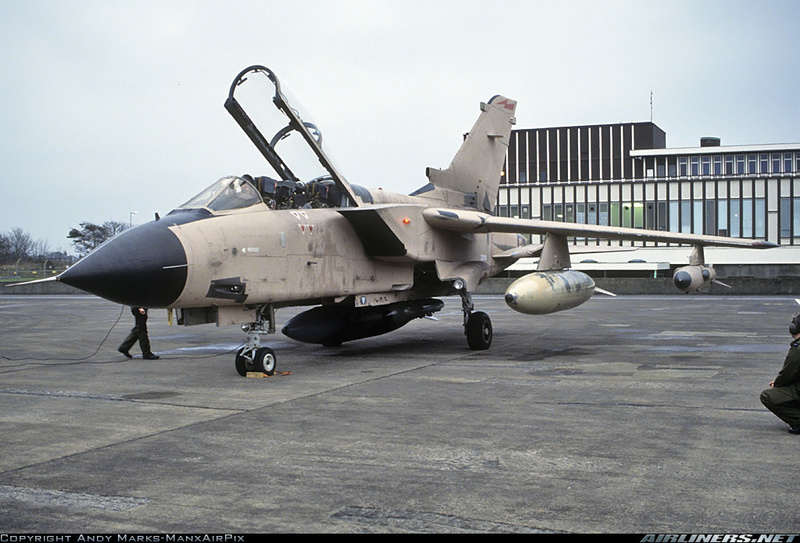 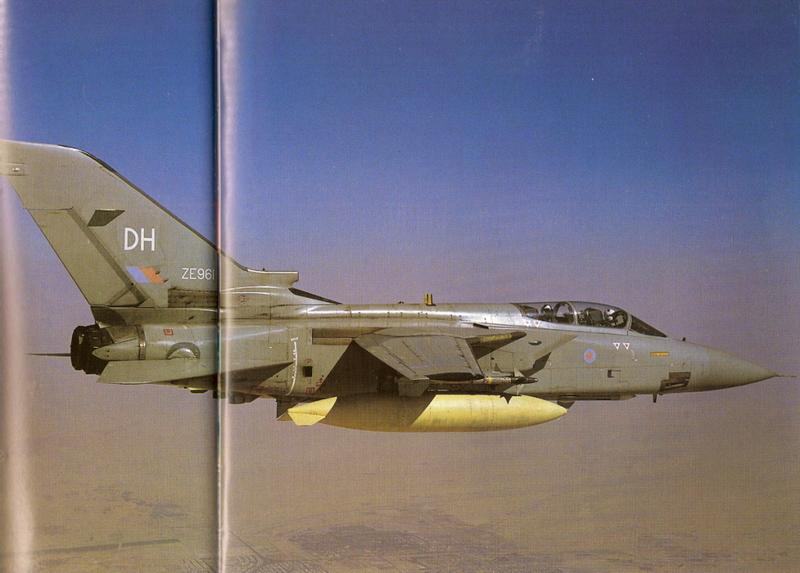 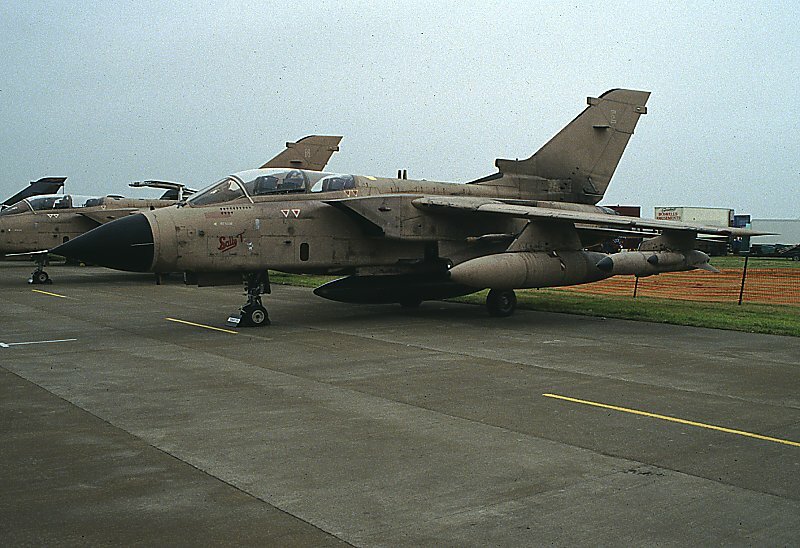 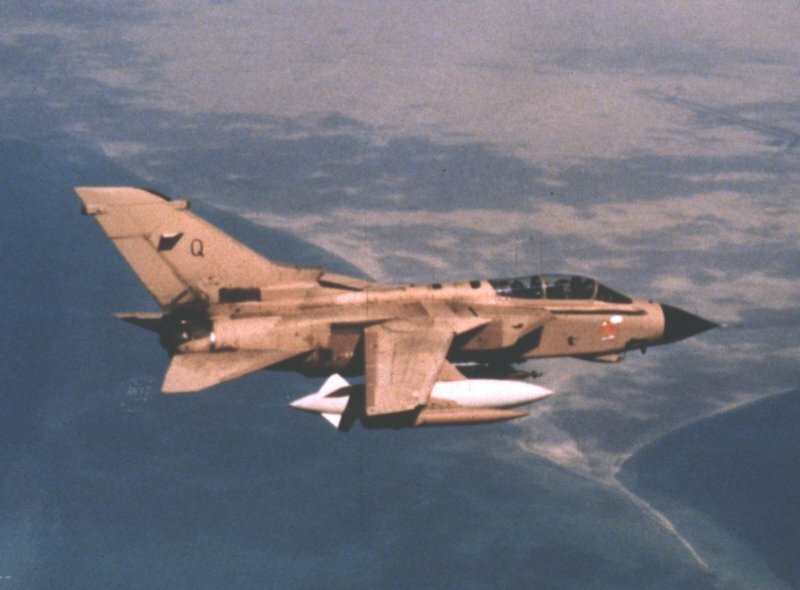 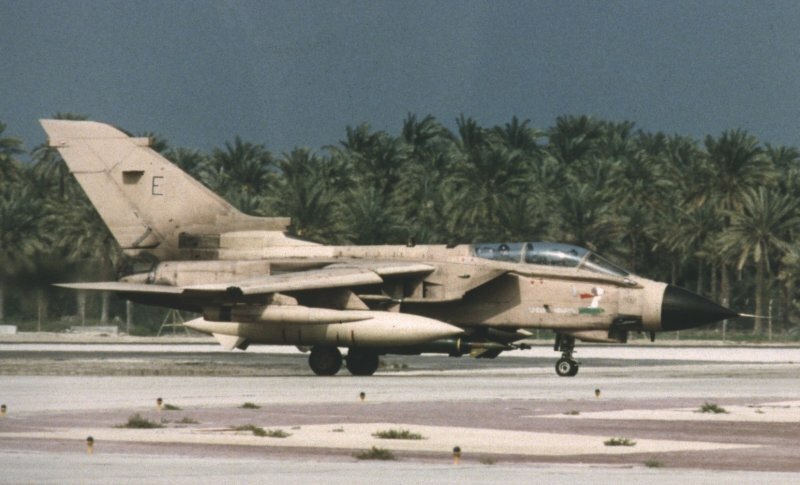 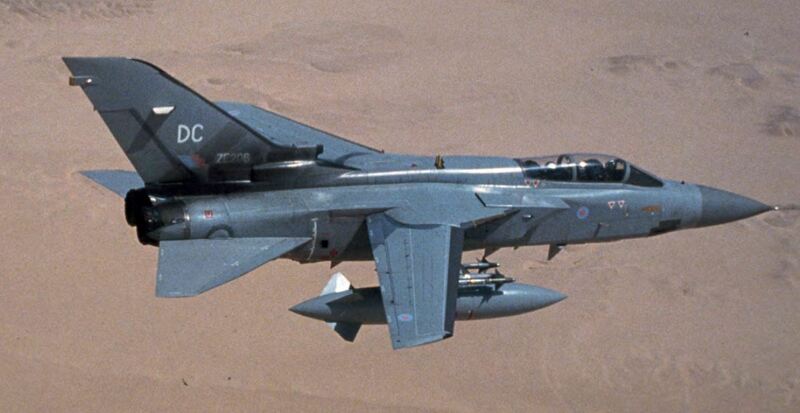 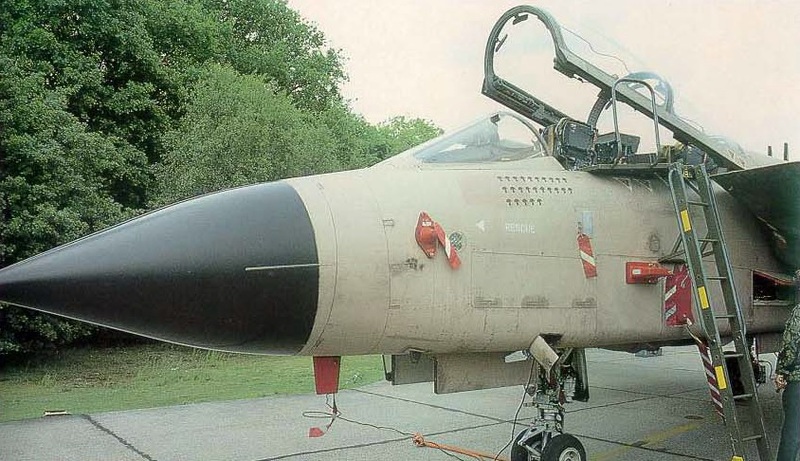 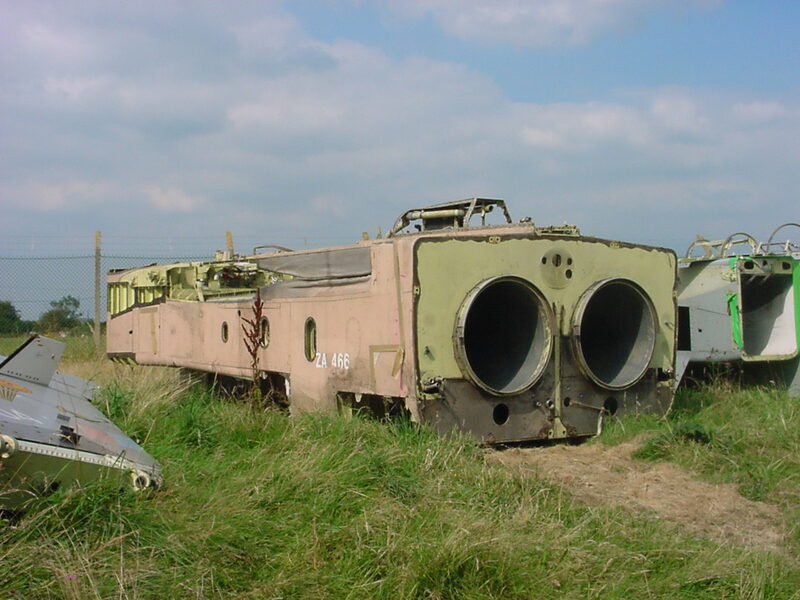 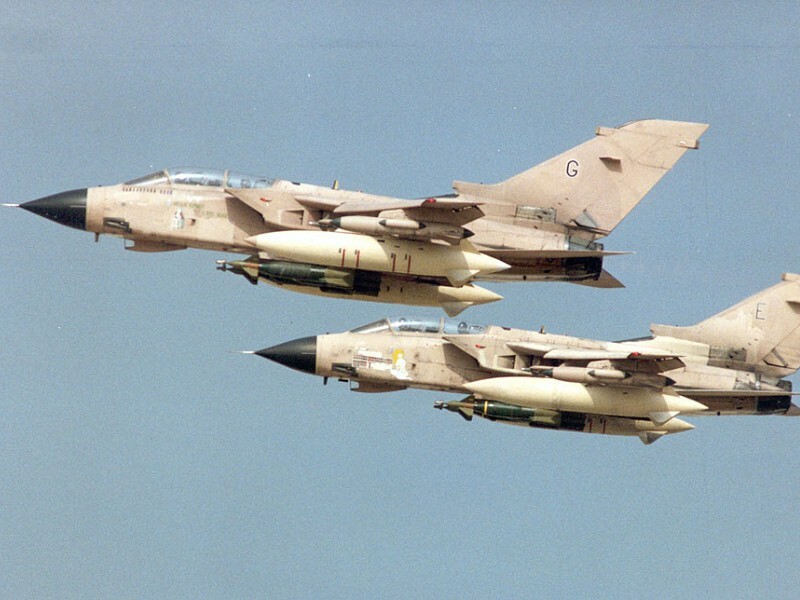 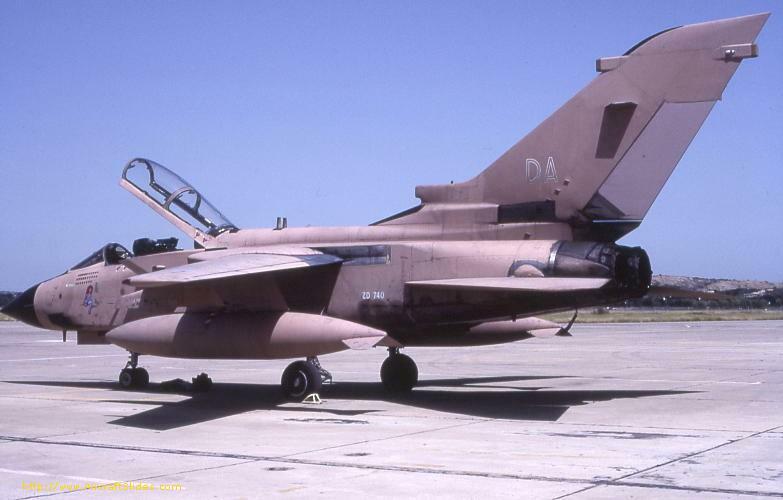 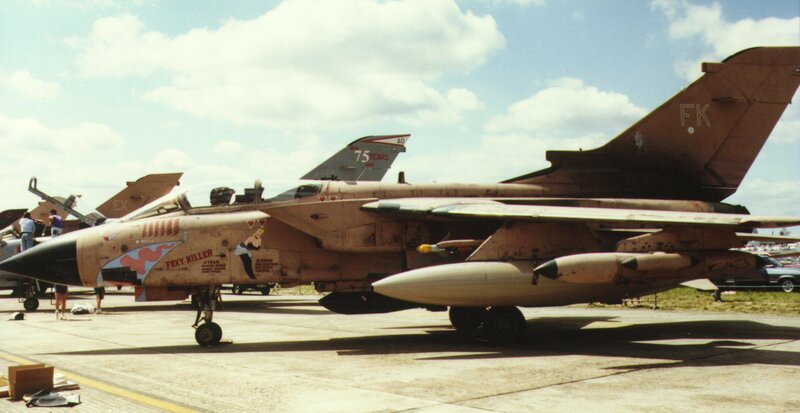 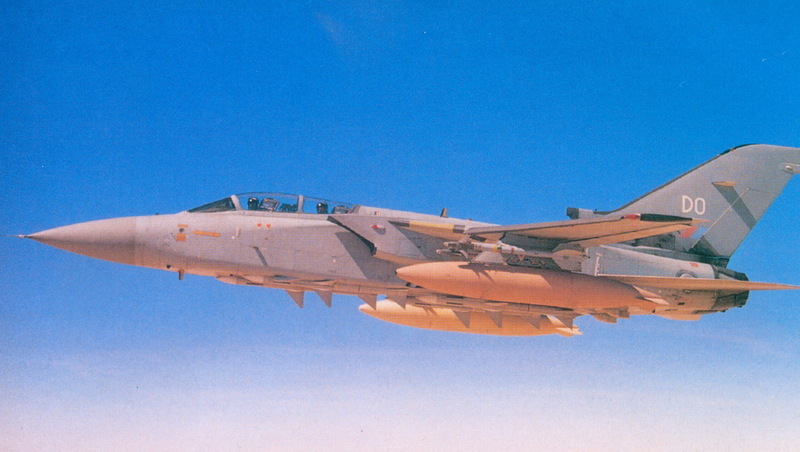 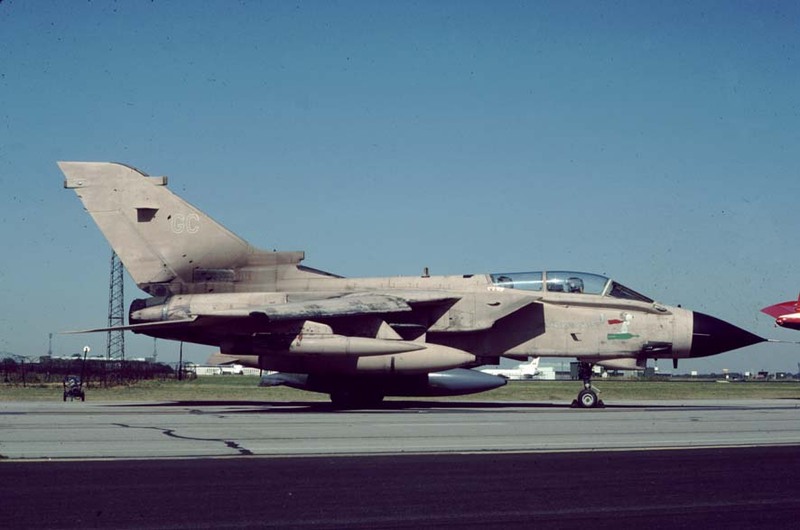 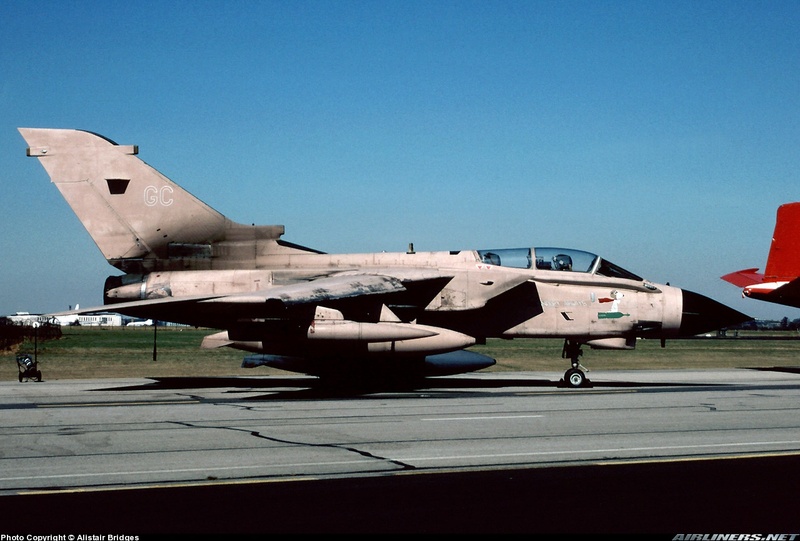 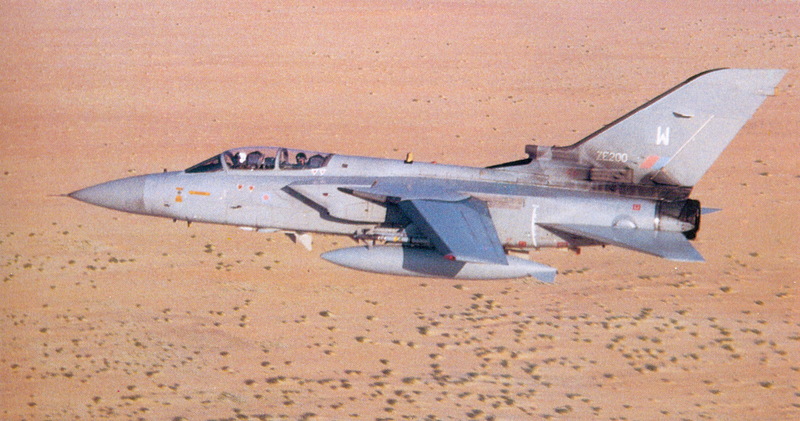 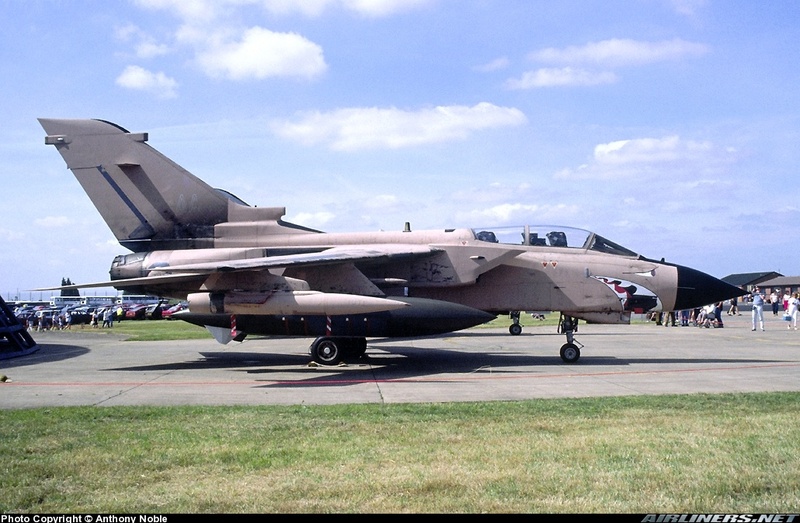 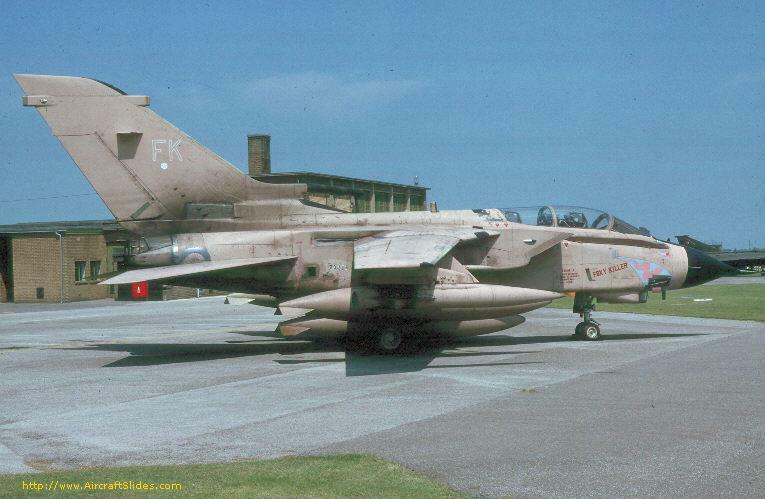 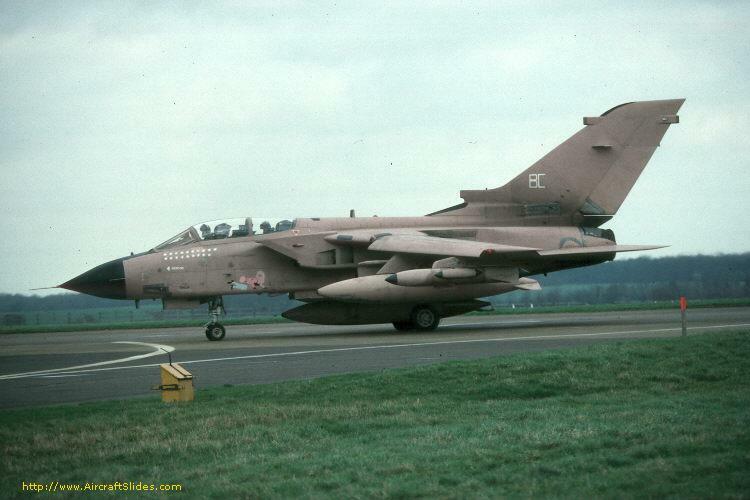 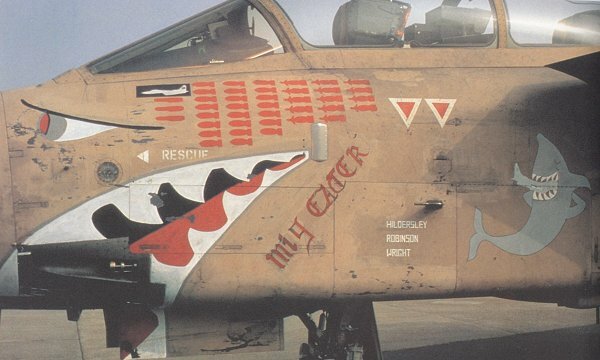 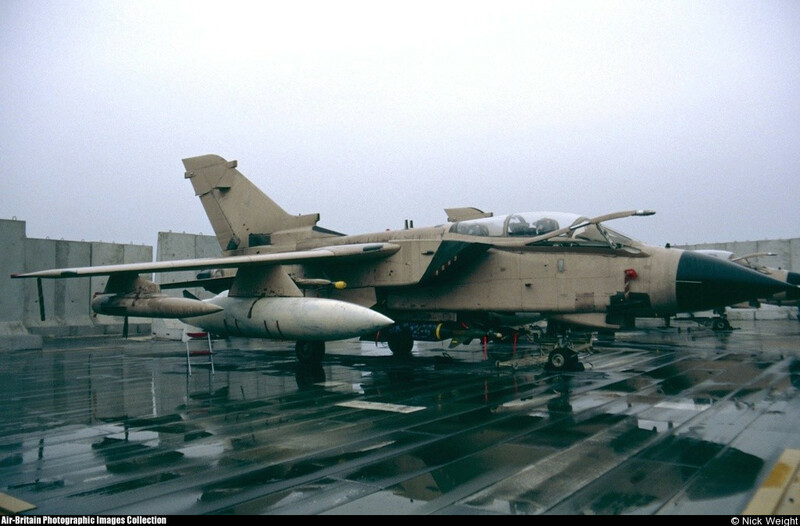 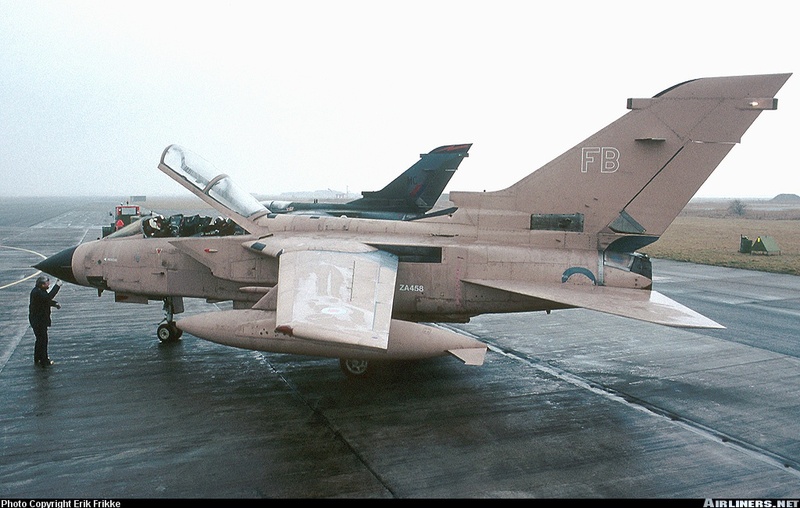 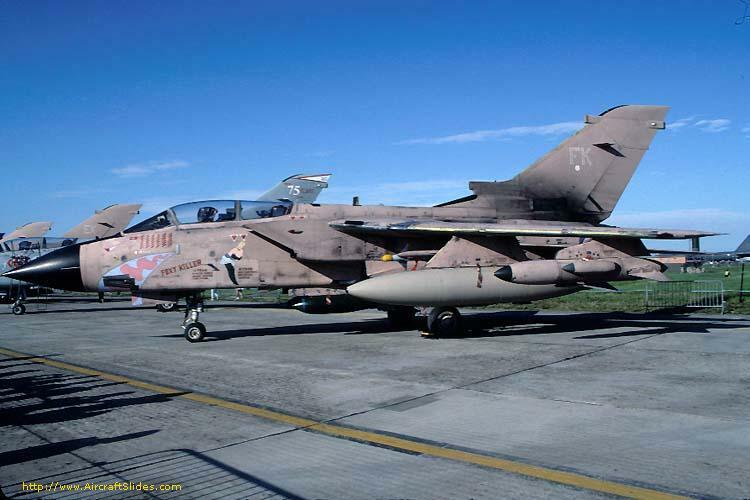 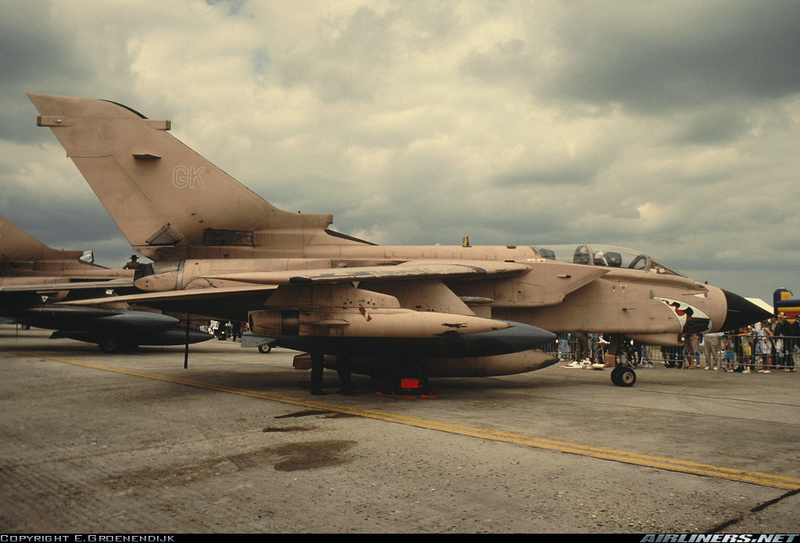 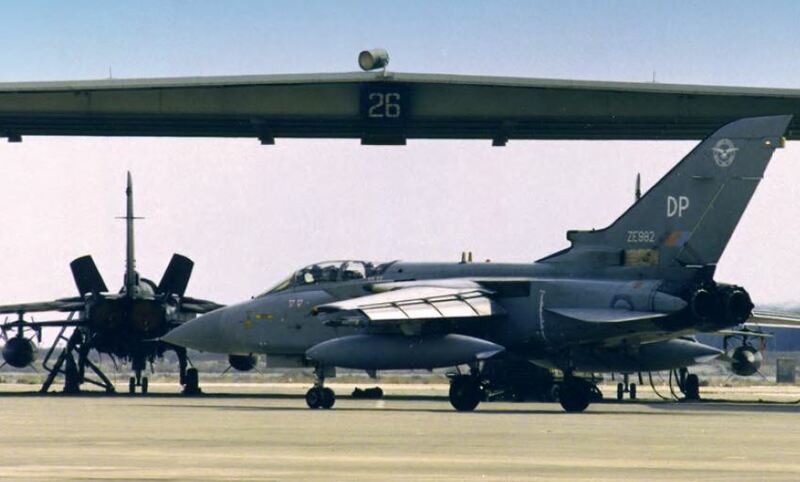 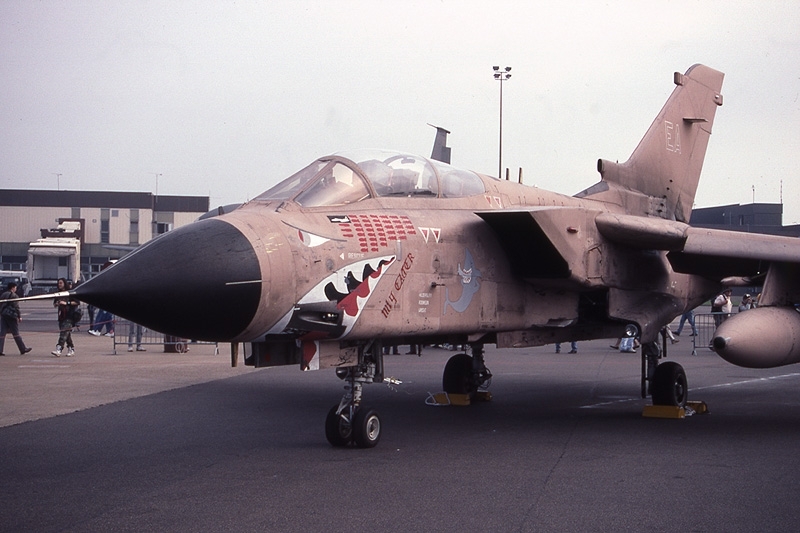 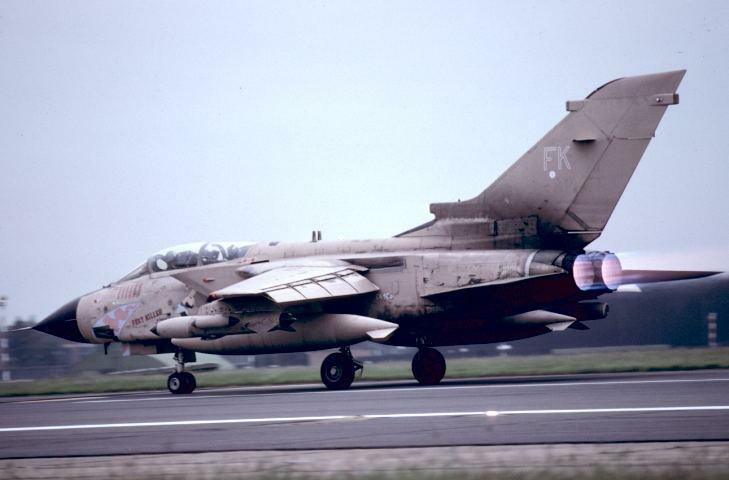 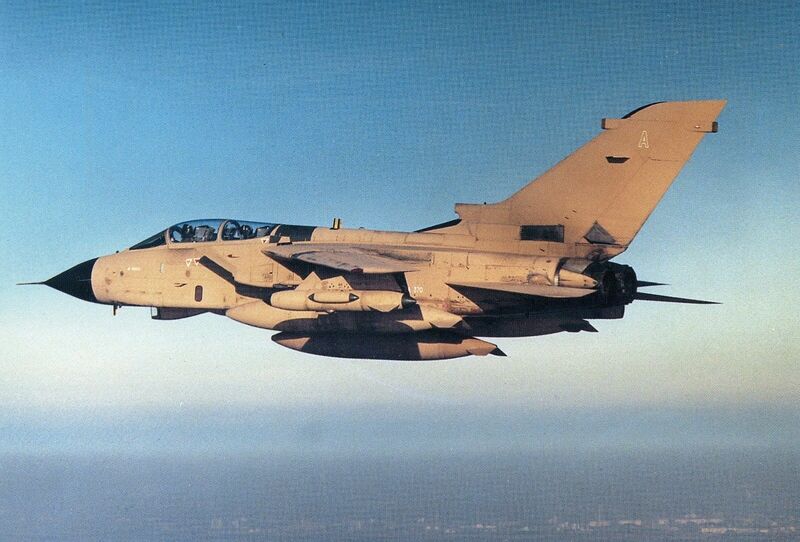 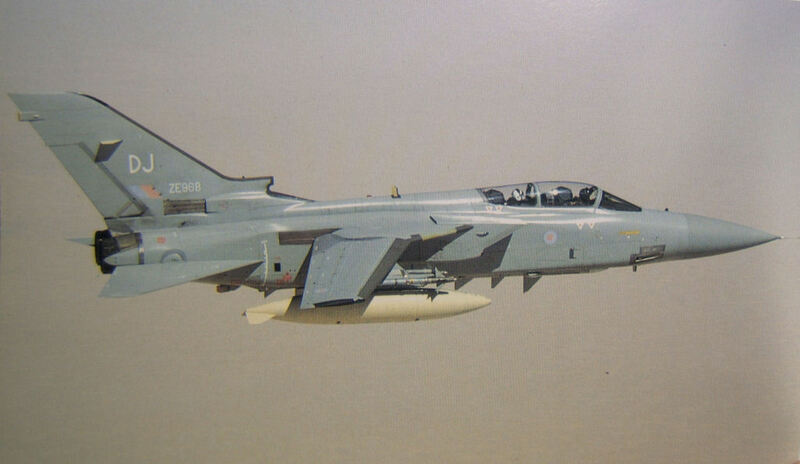 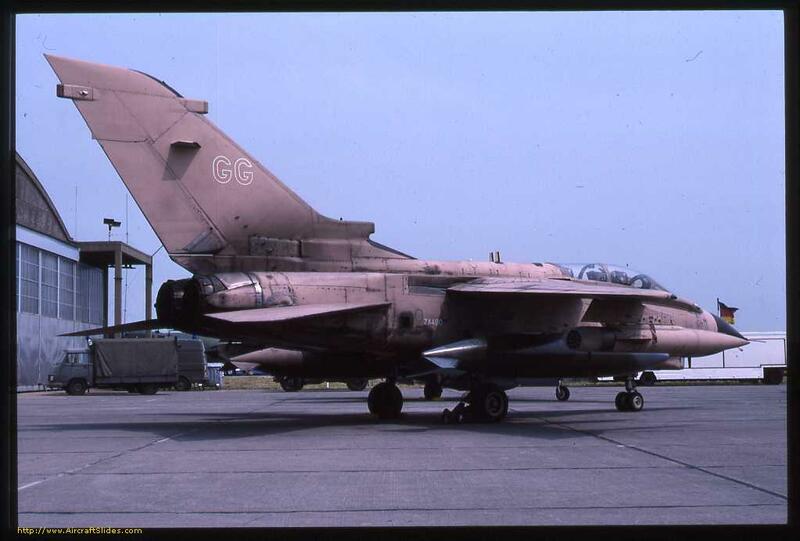 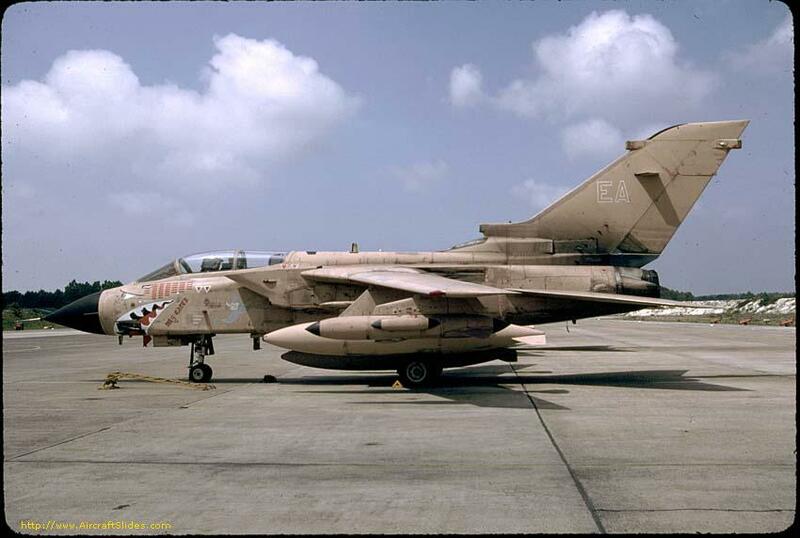 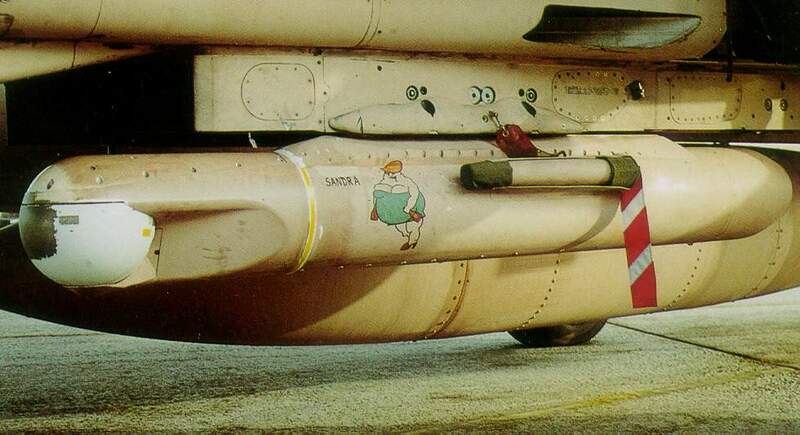 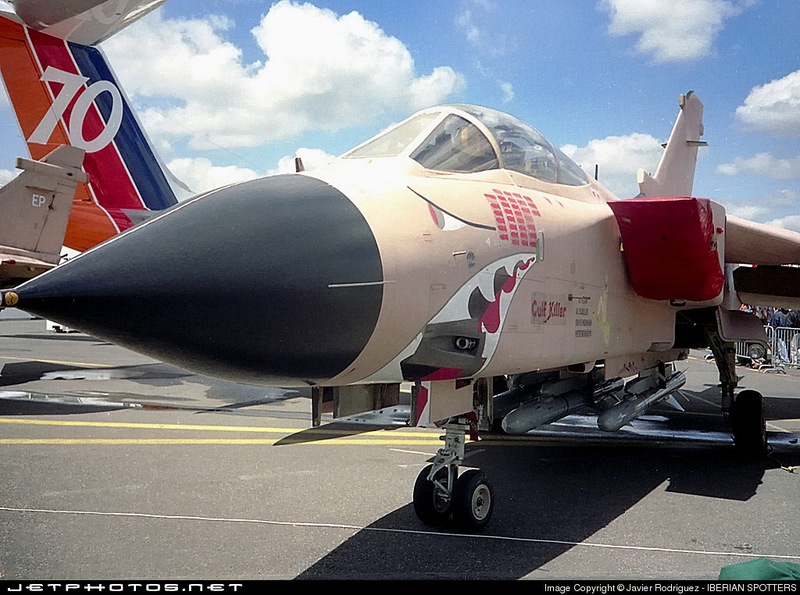 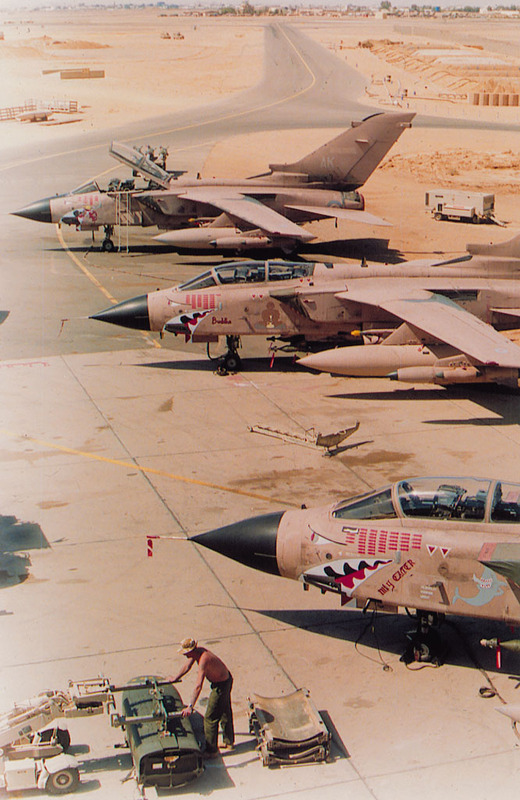 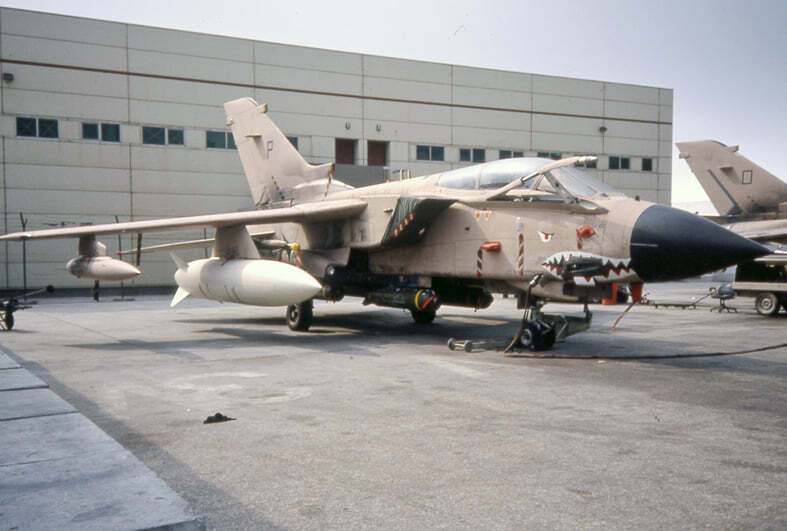 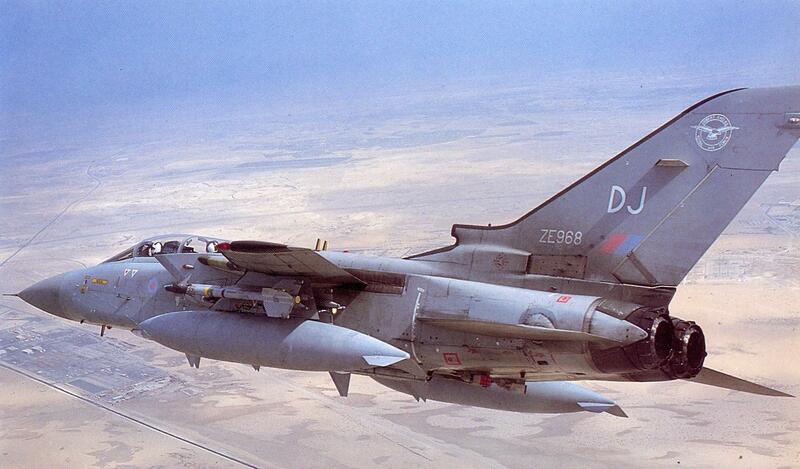 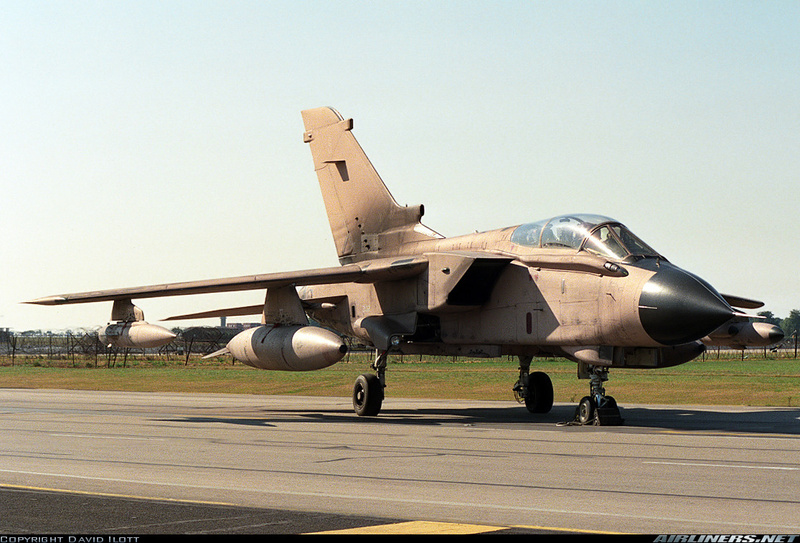 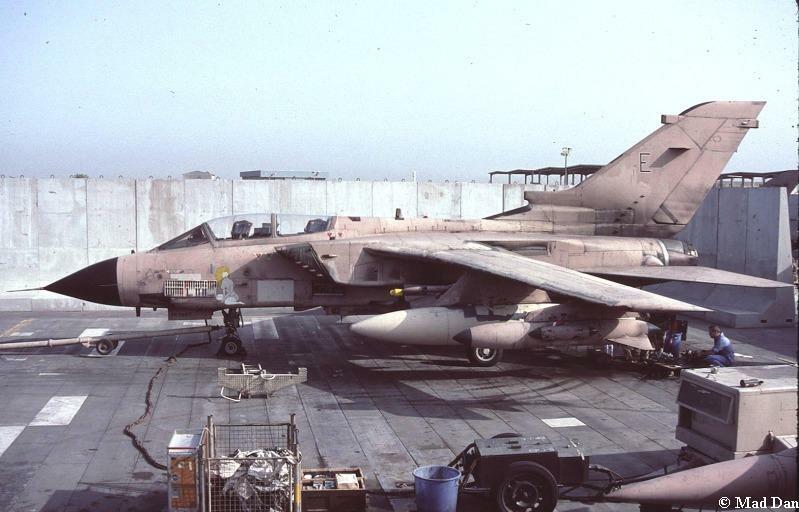 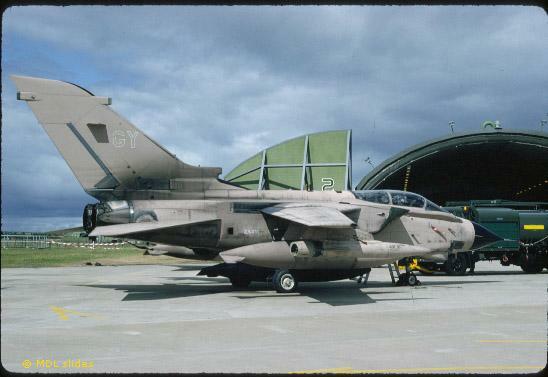 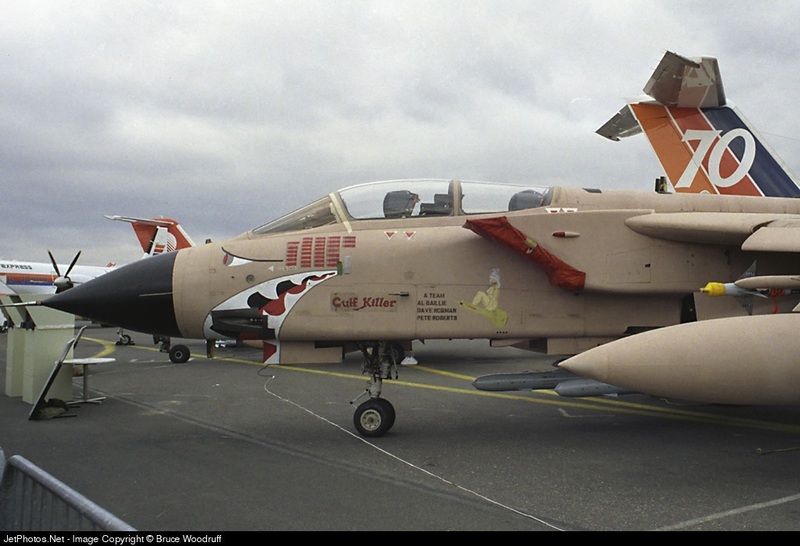 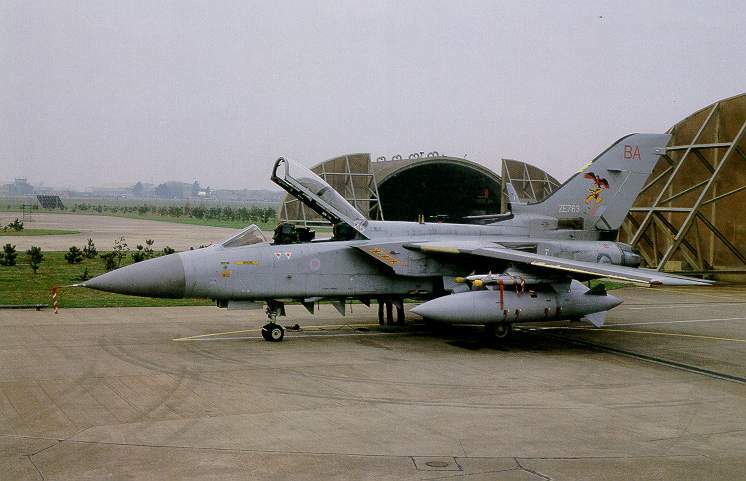 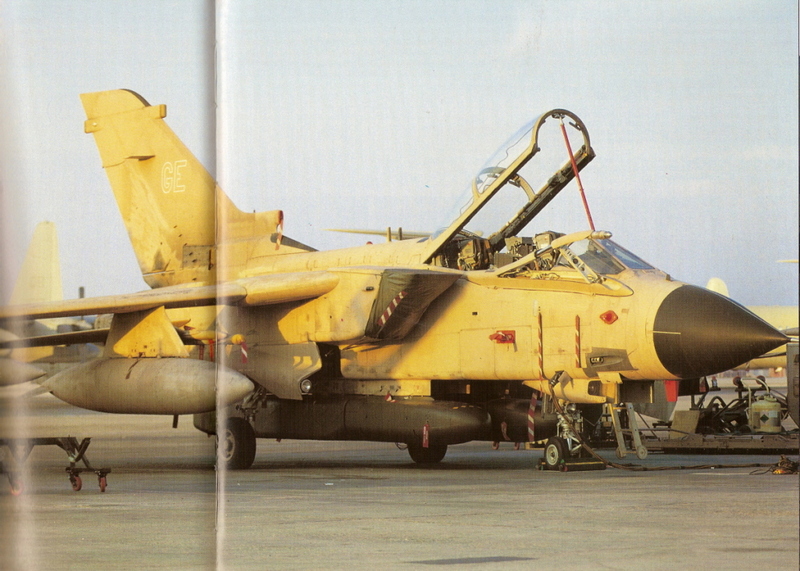 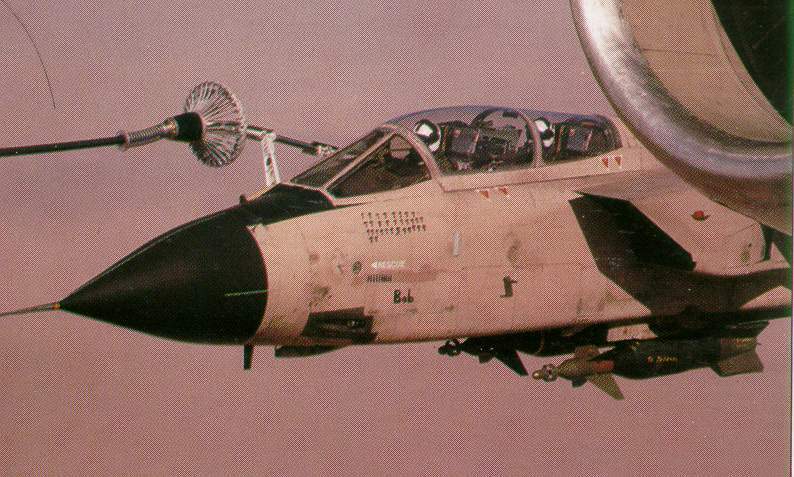 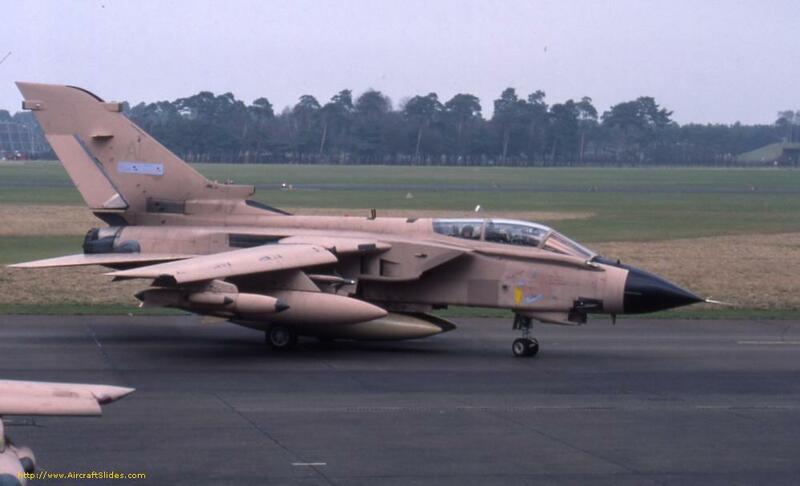 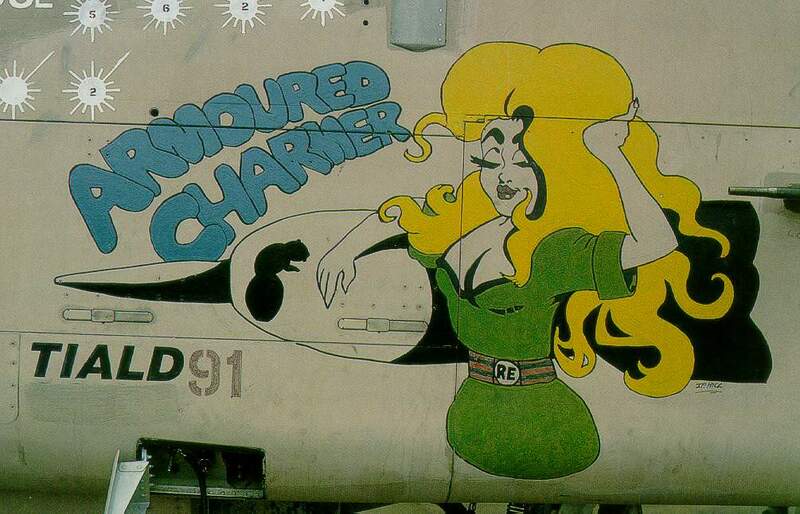 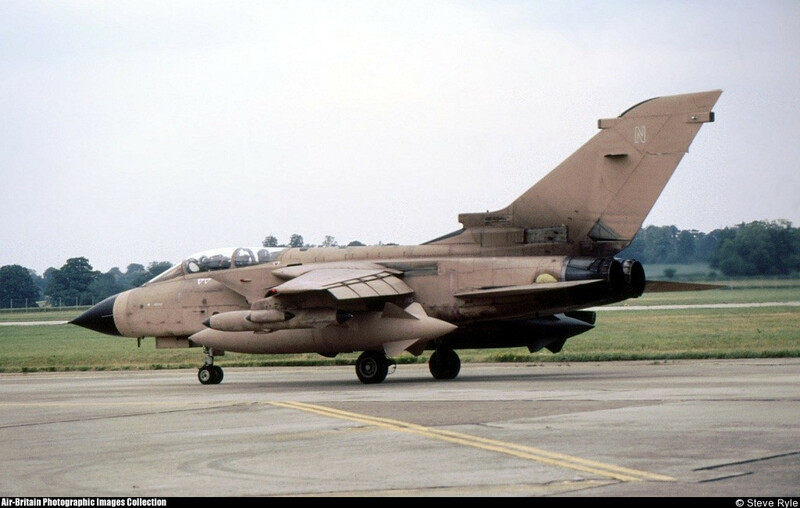 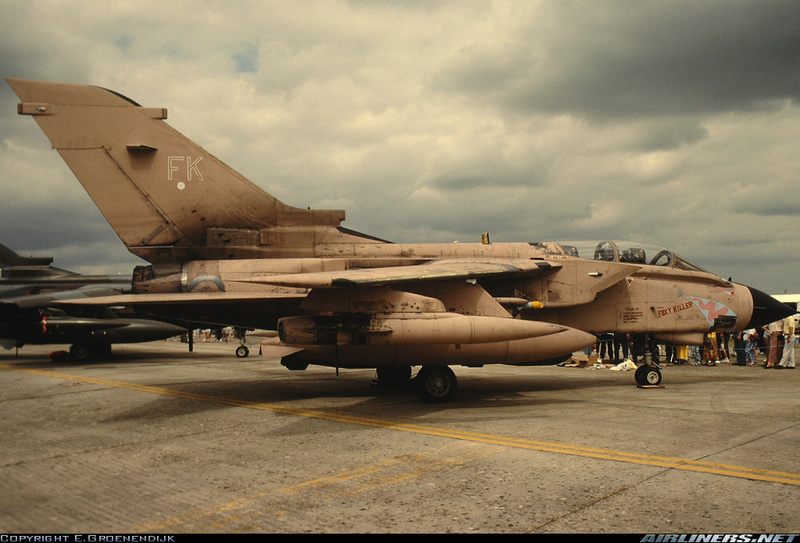 Due to the perceived lack of tanker support, fifteen Sergeant Fletcher 28-300 refuelling pods were acquired from Germany’s Marineflieger, and nine dual control Tornado GR.1s modified to use them in a ‘buddy-buddy’ tanker role (including ZD714/BE). 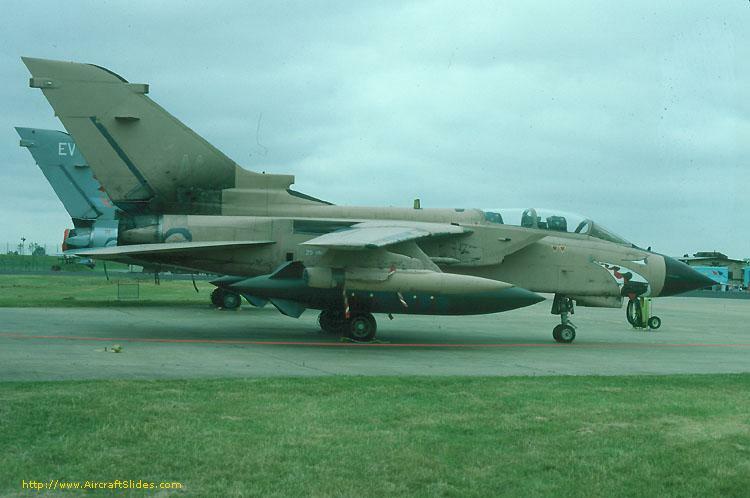 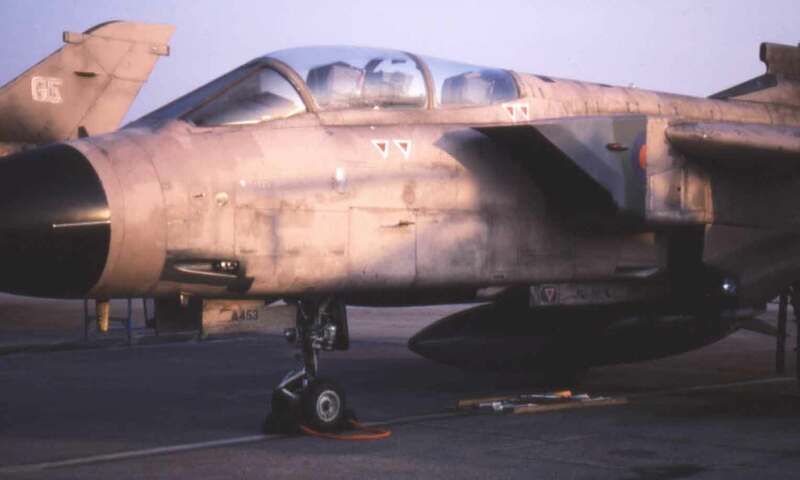 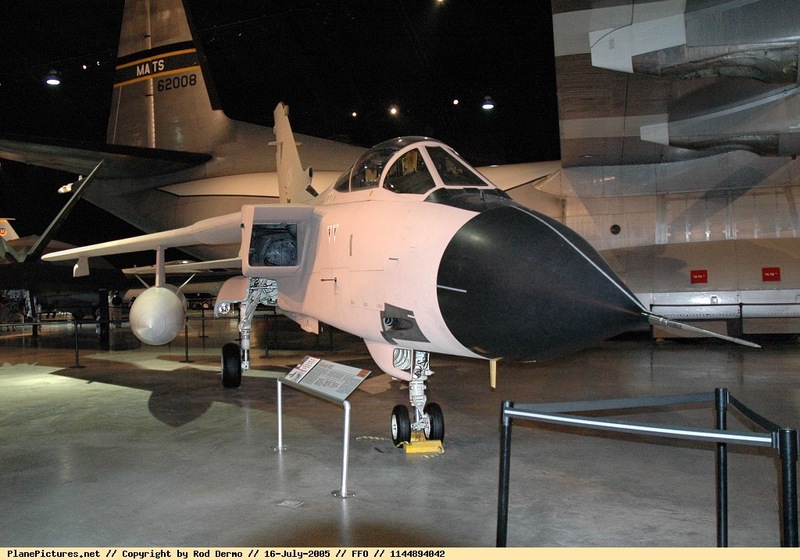 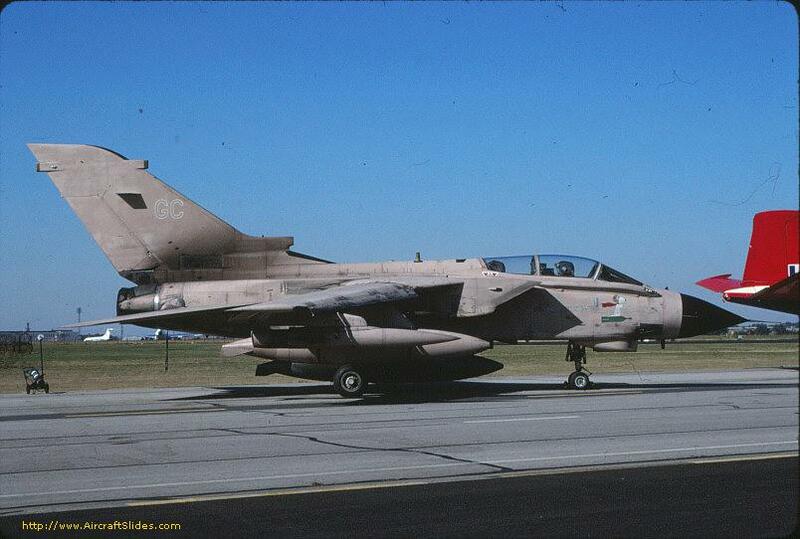 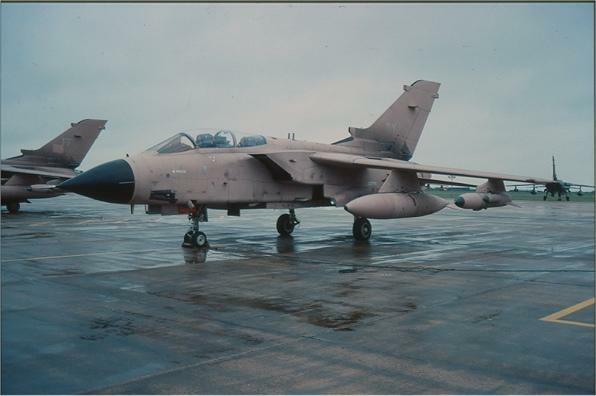 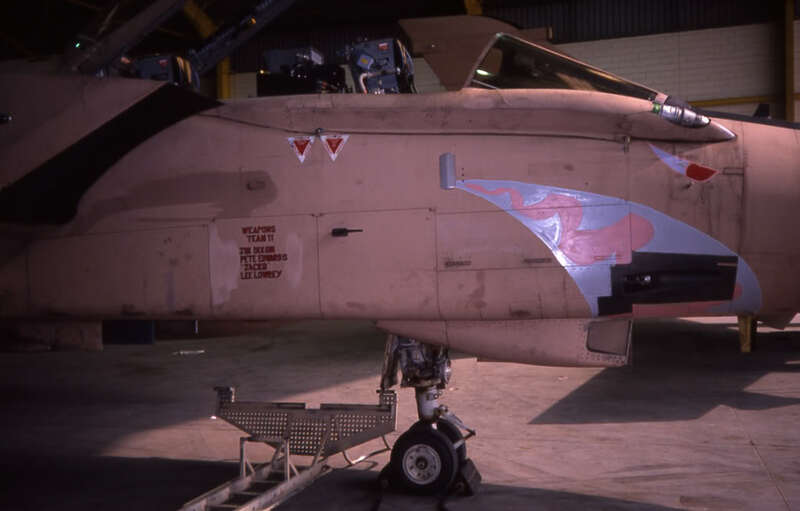 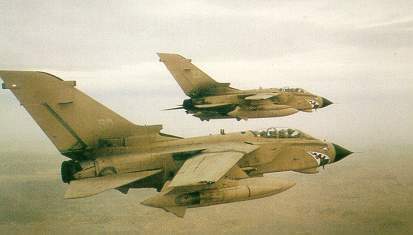 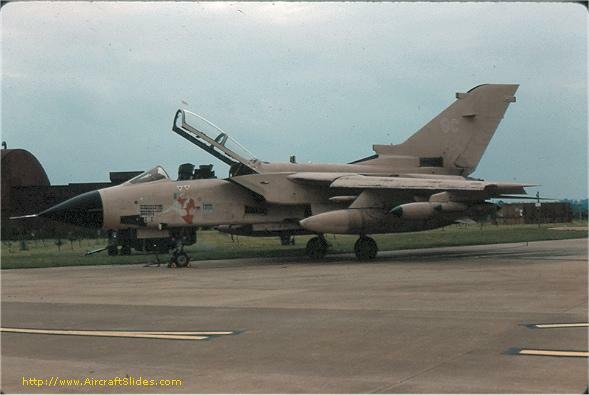 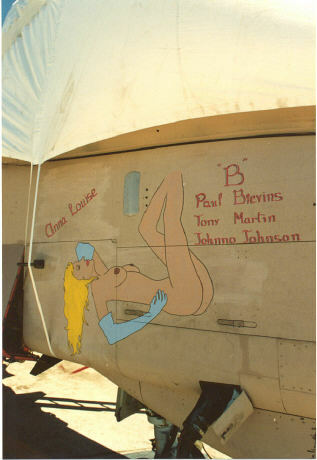 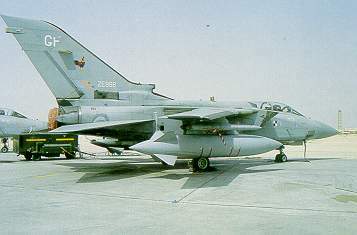 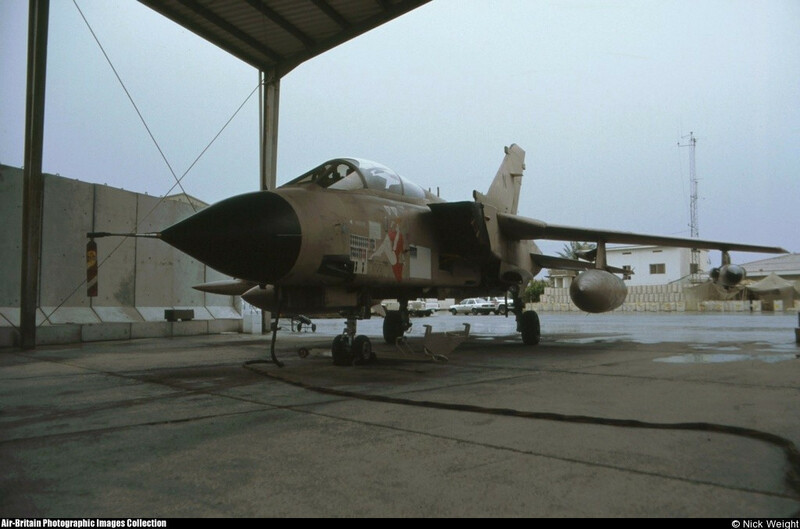 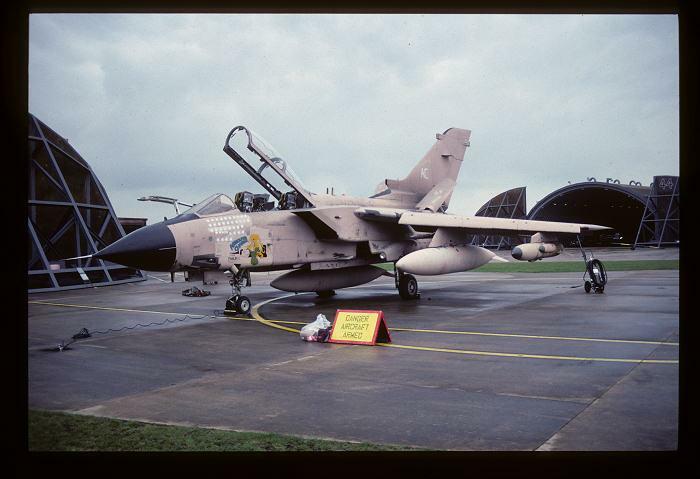 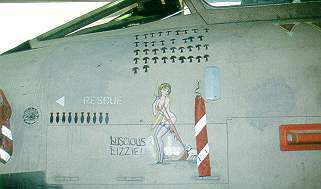 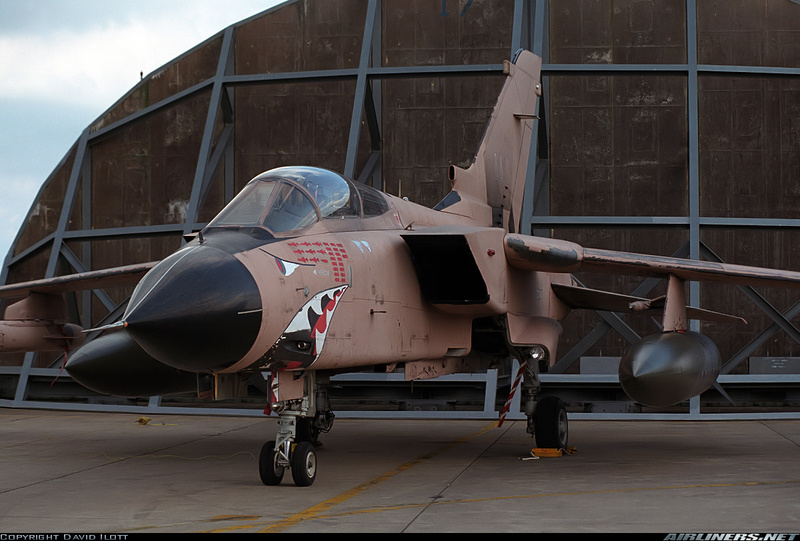 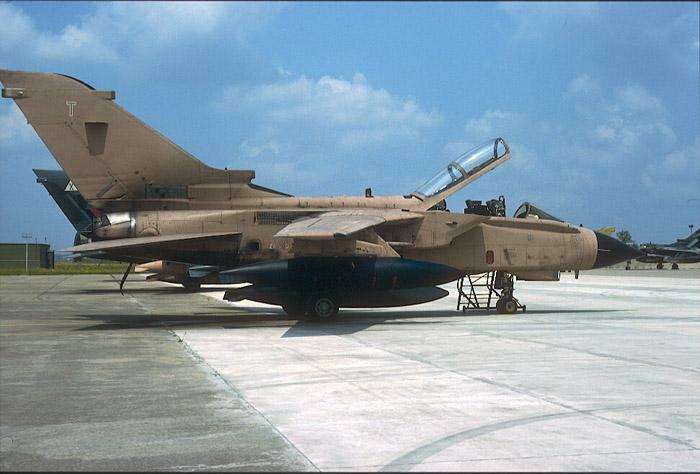 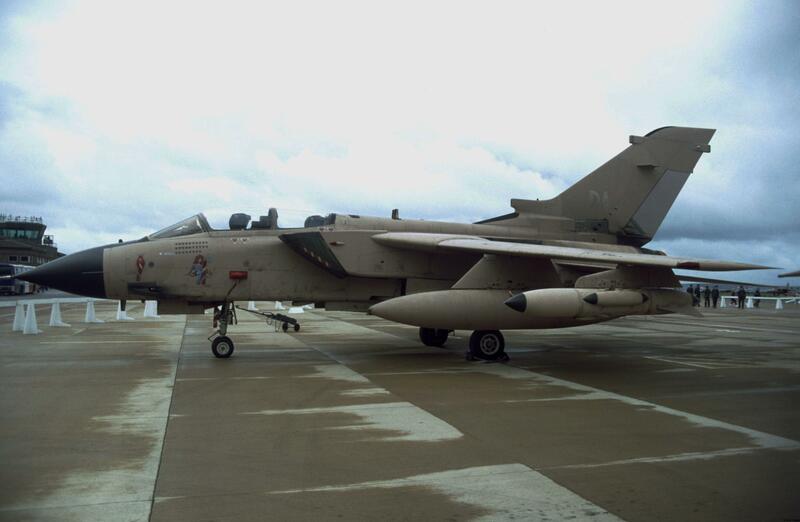 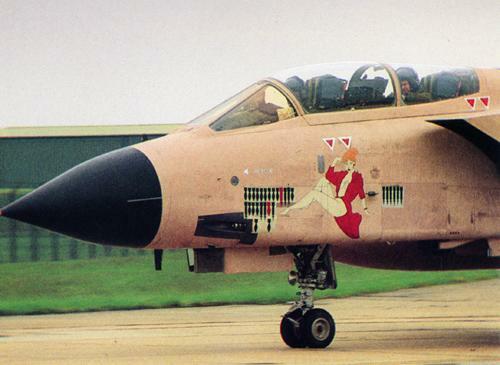 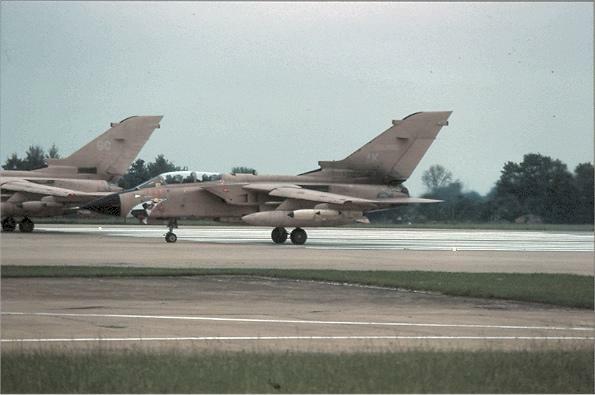 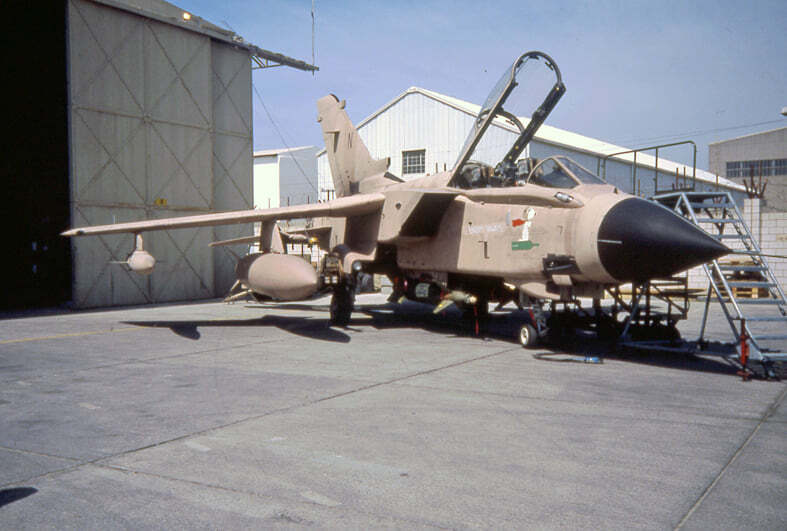 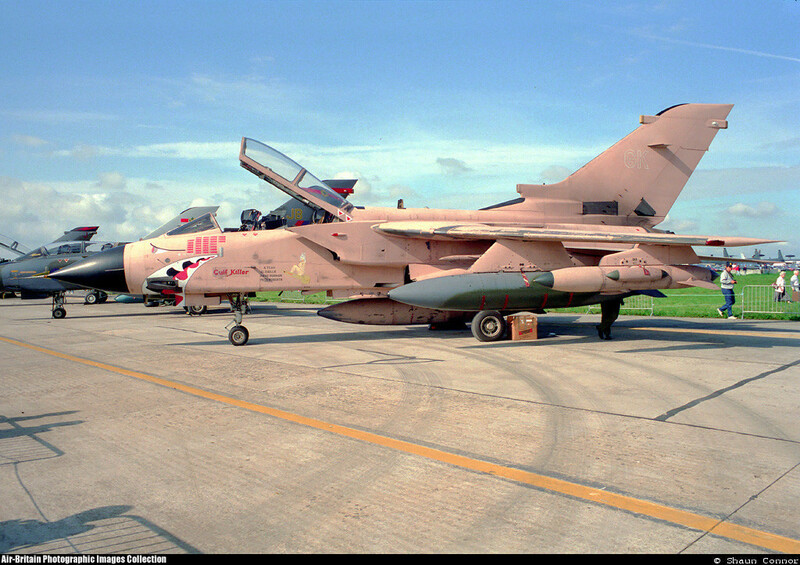 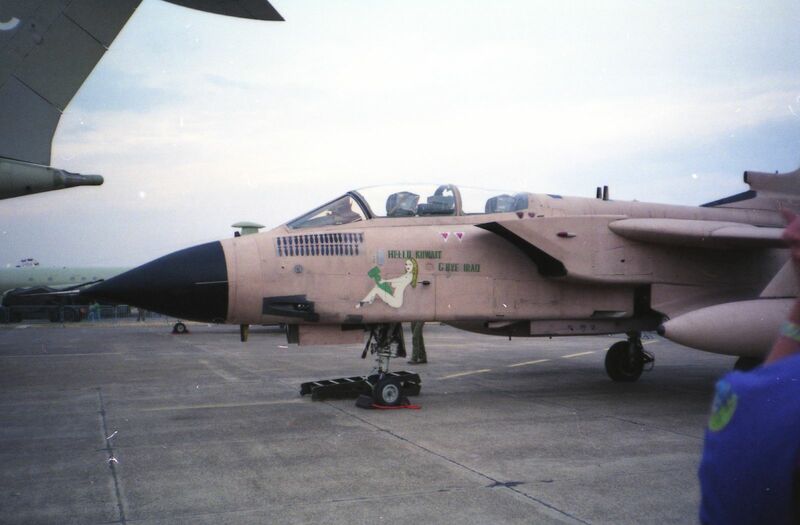 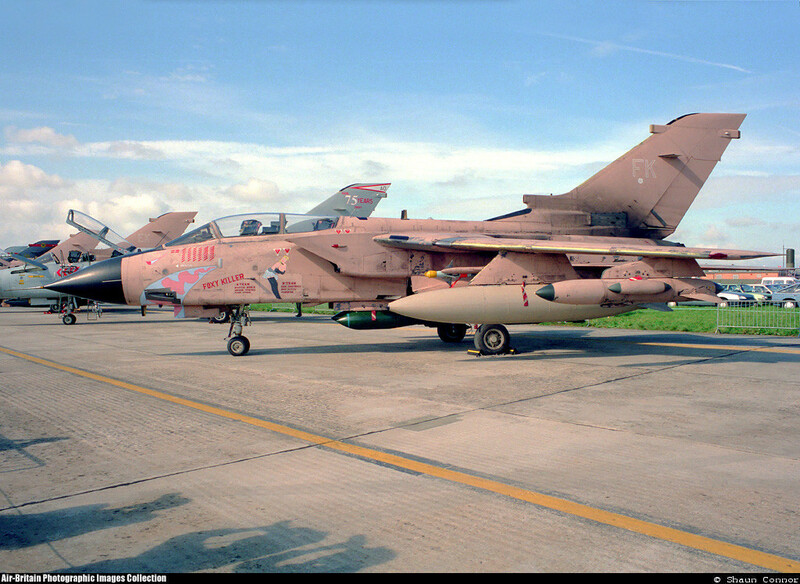 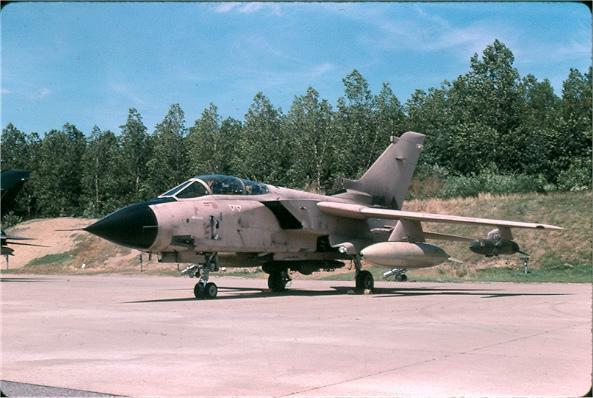 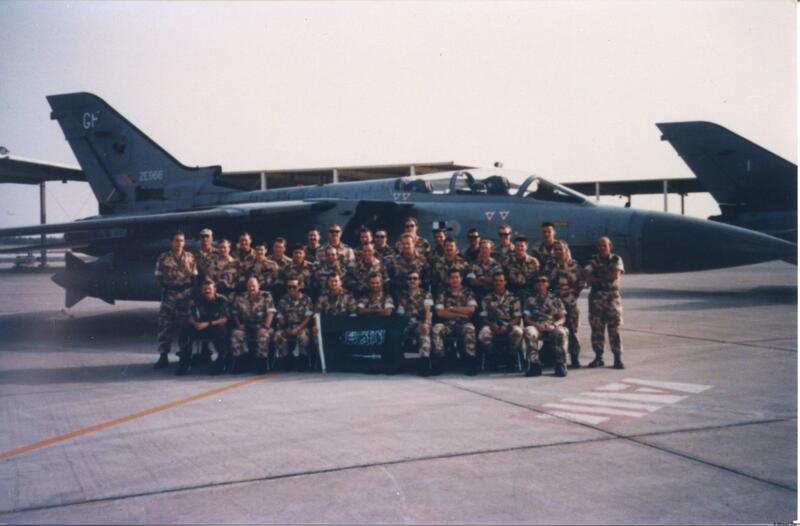 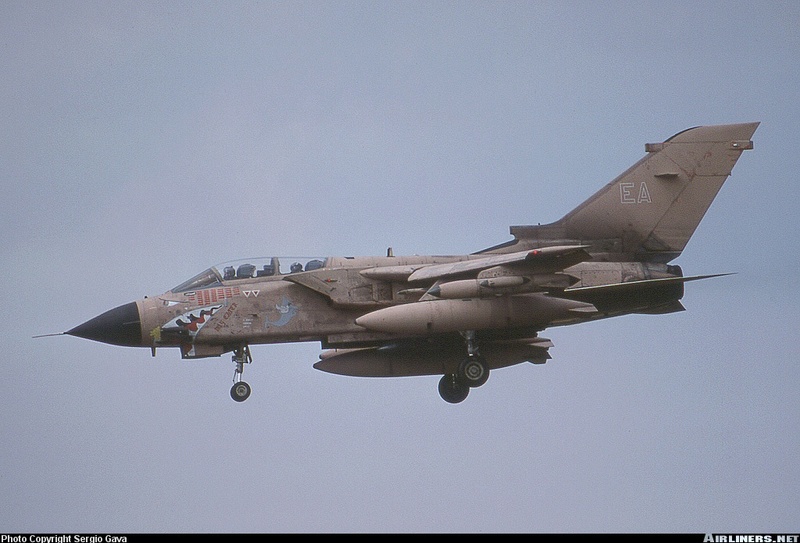 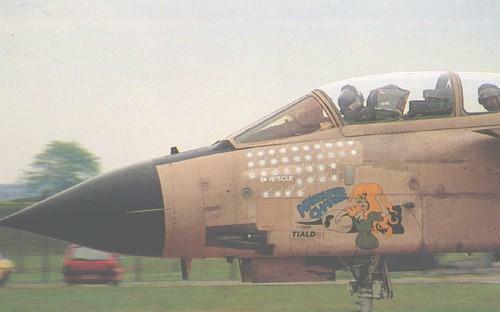 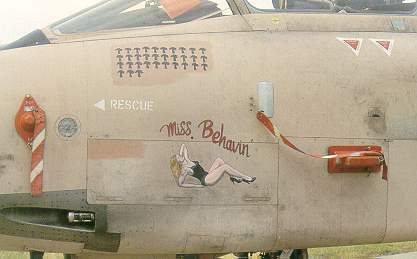 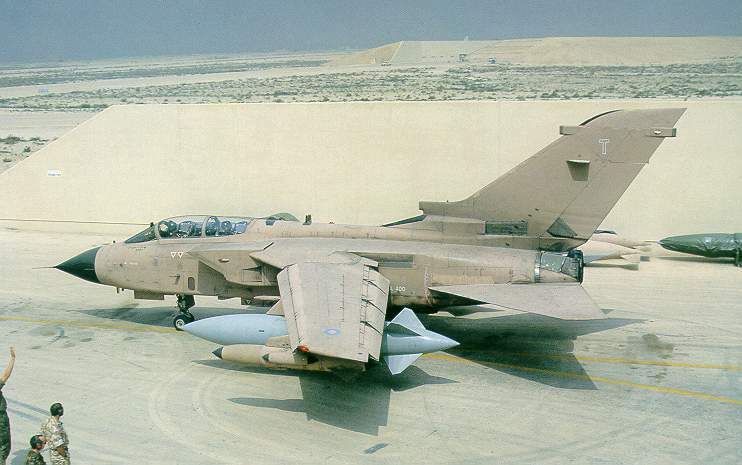 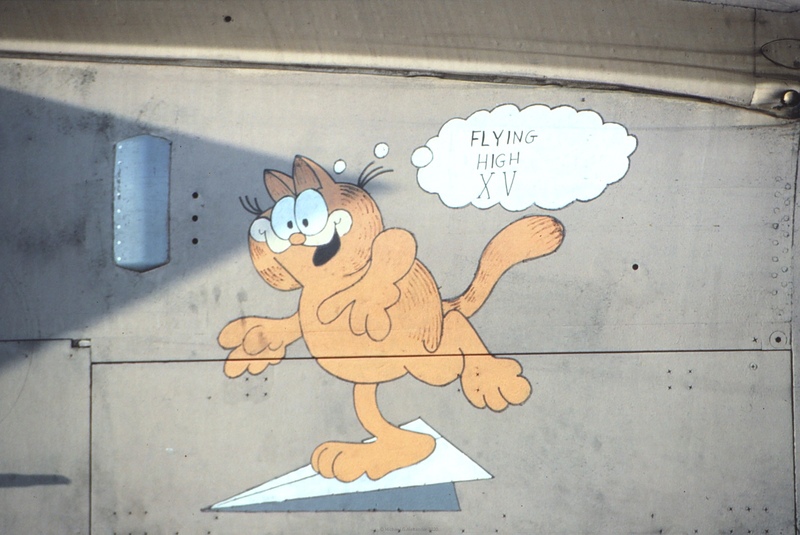 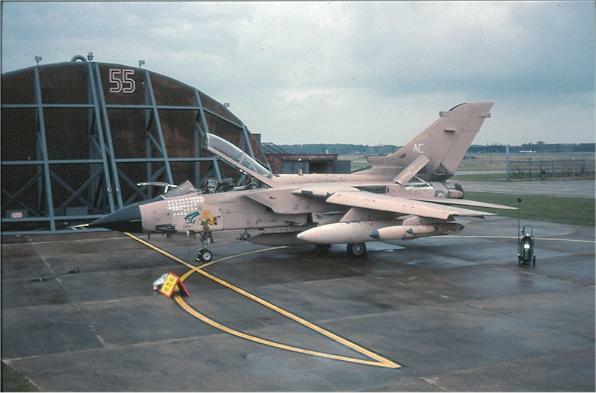 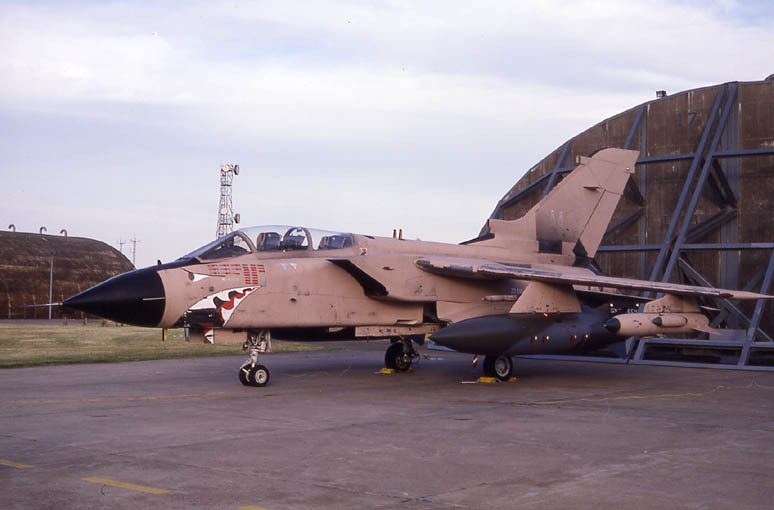 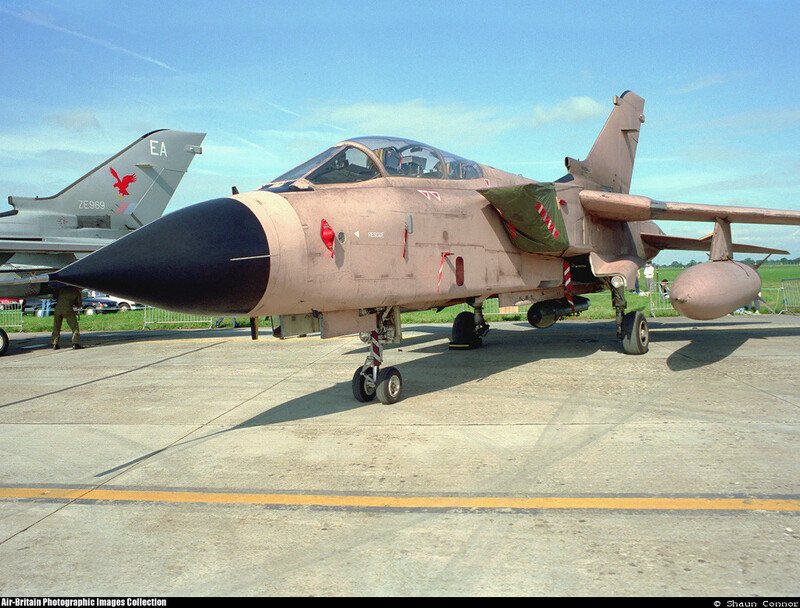 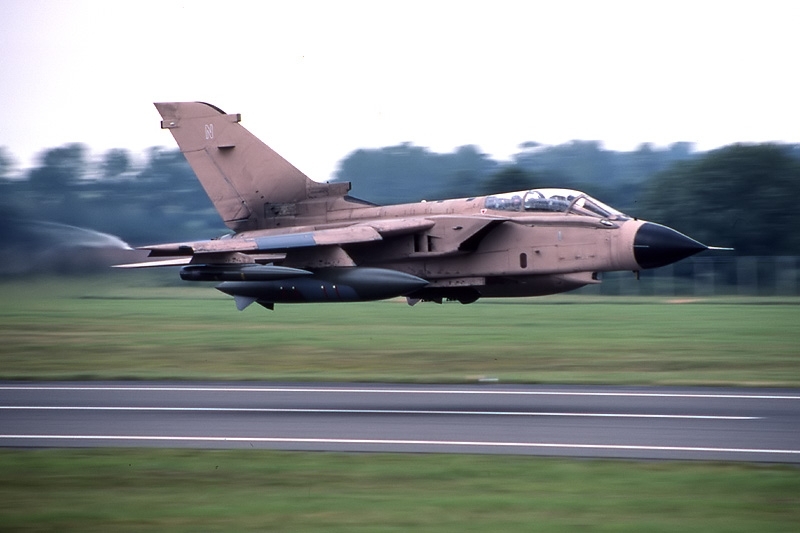 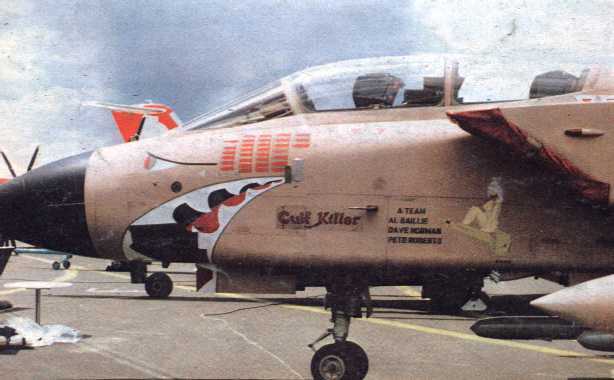 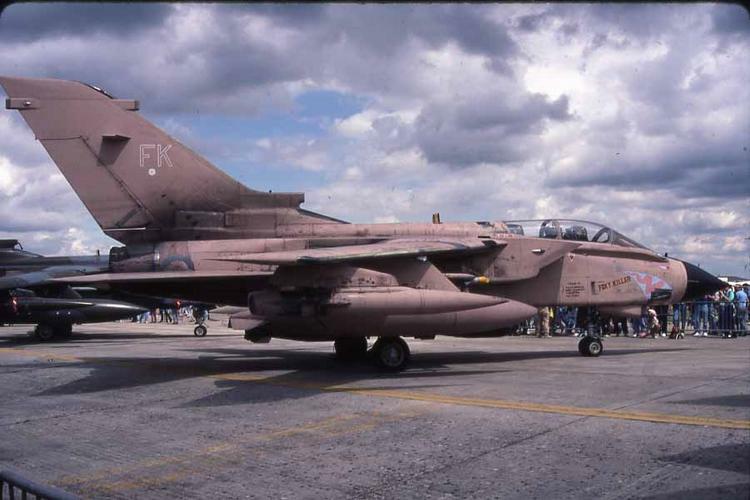 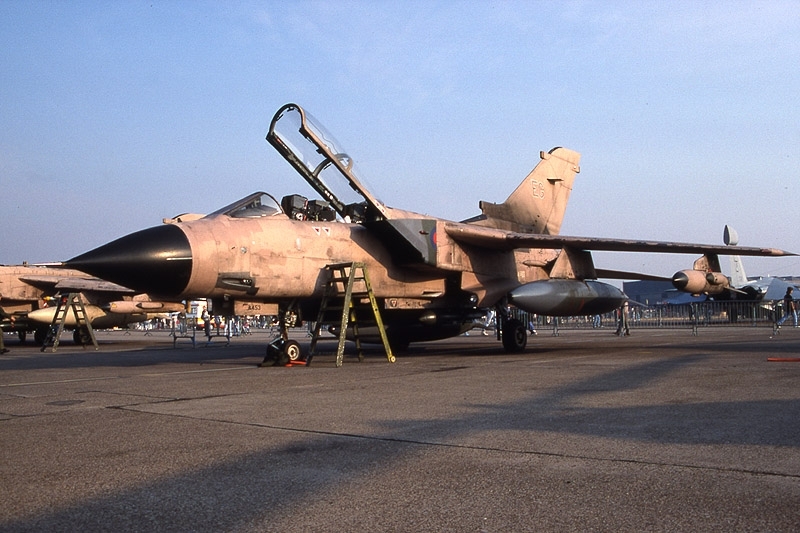 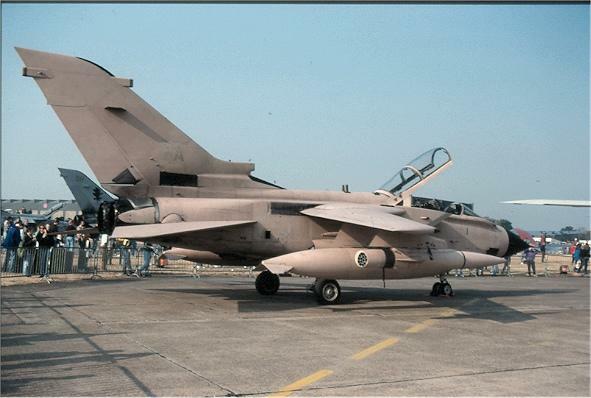 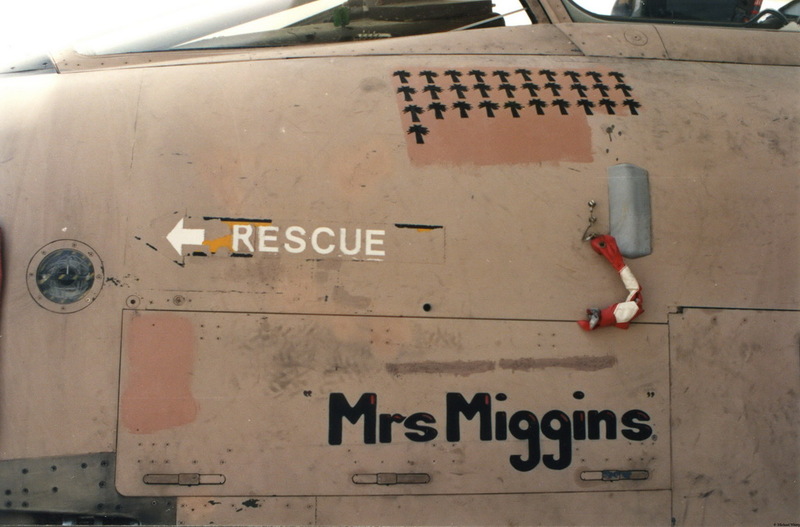 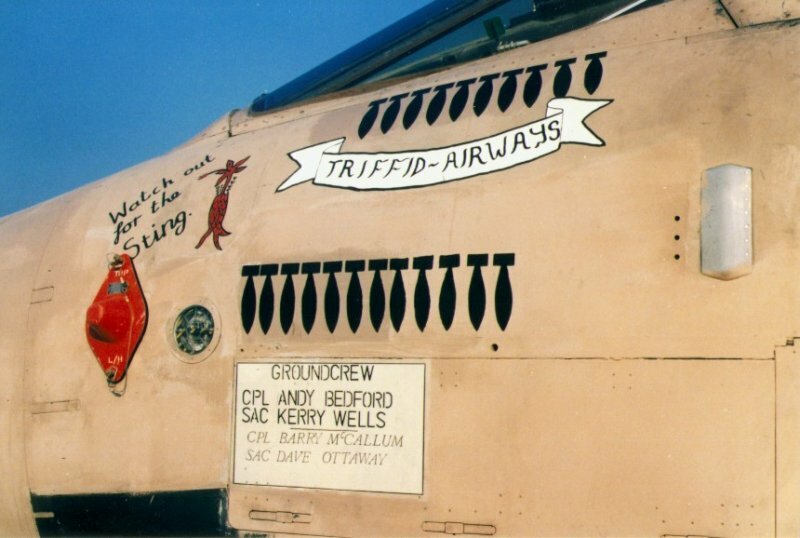 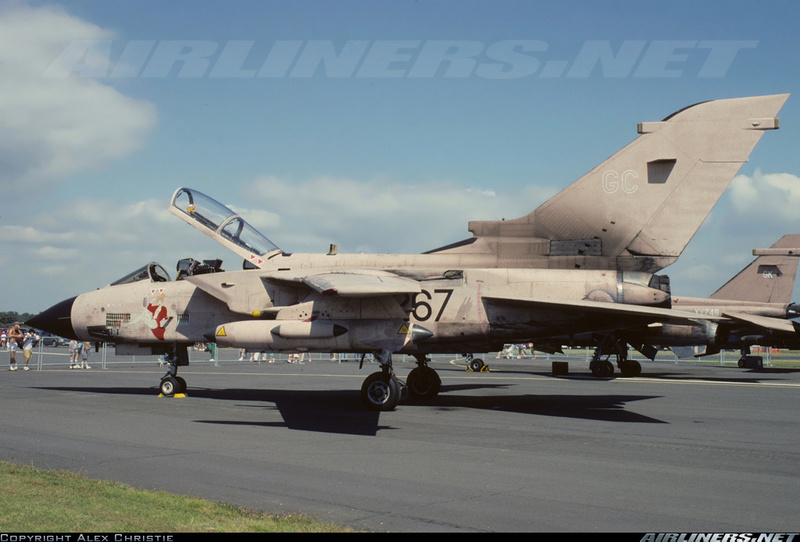 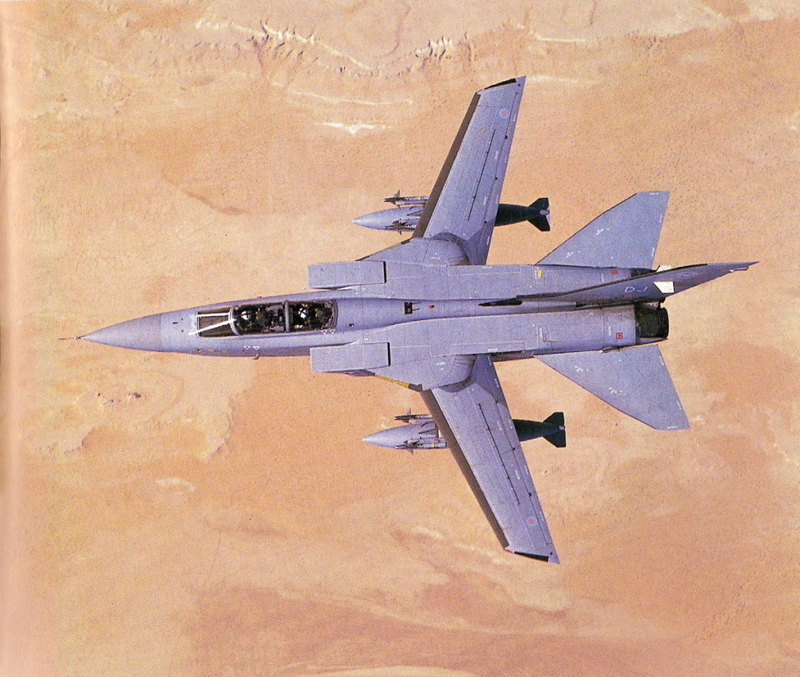 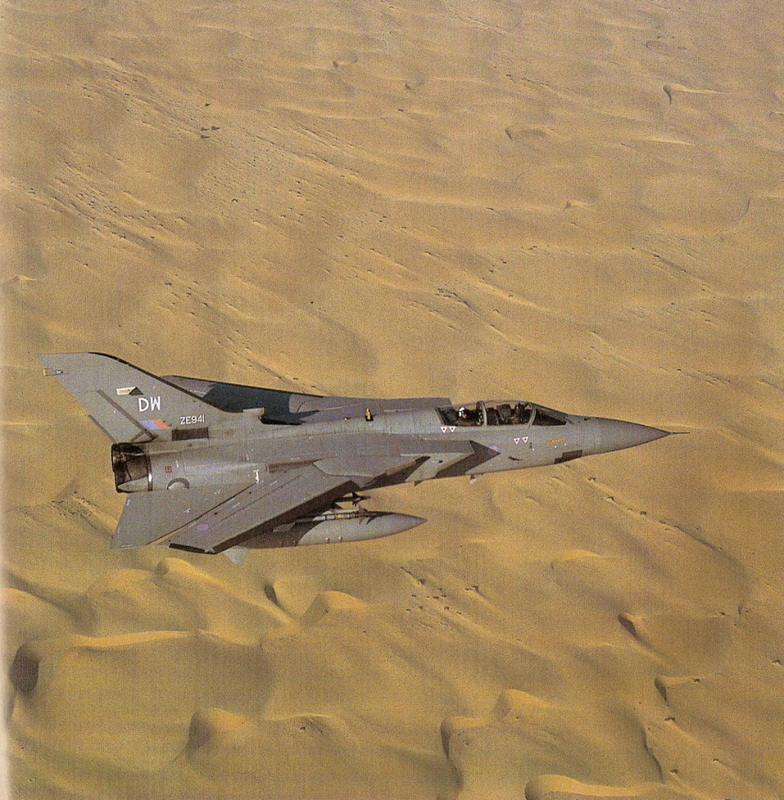 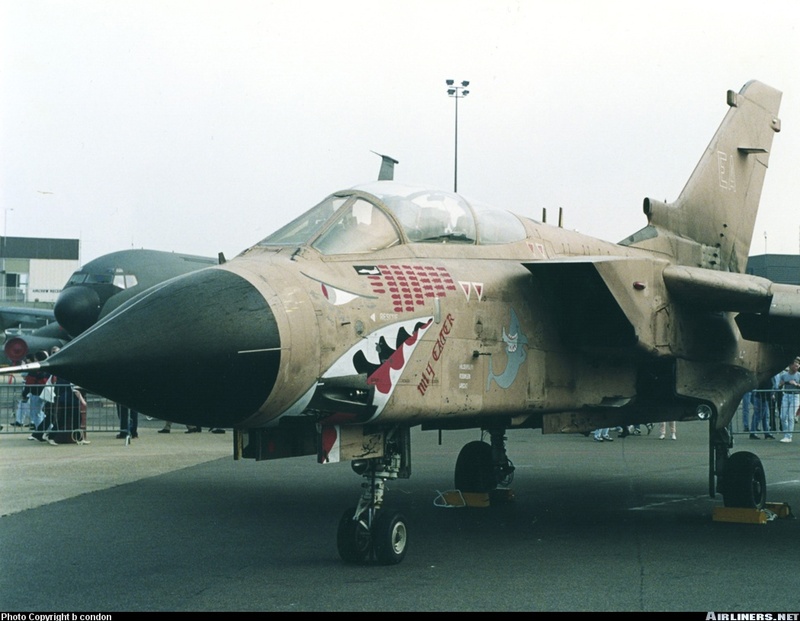 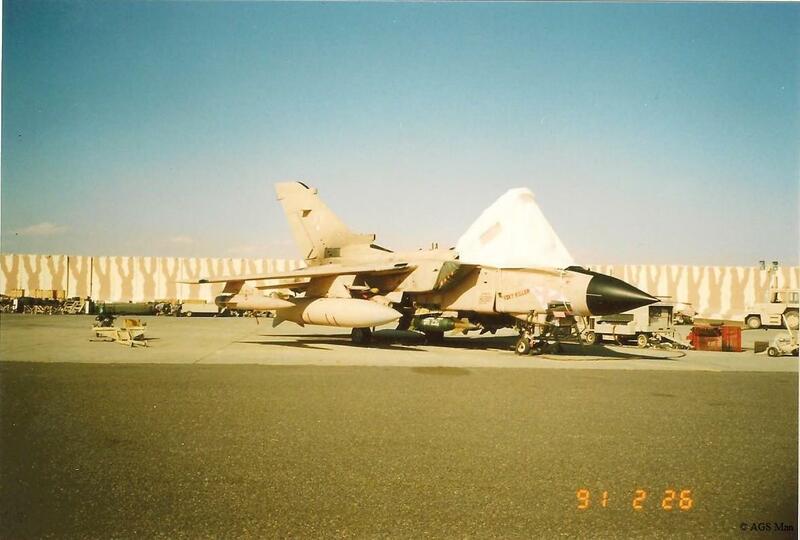 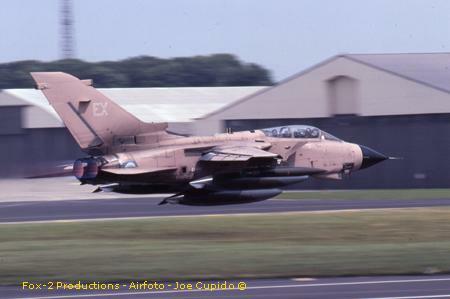 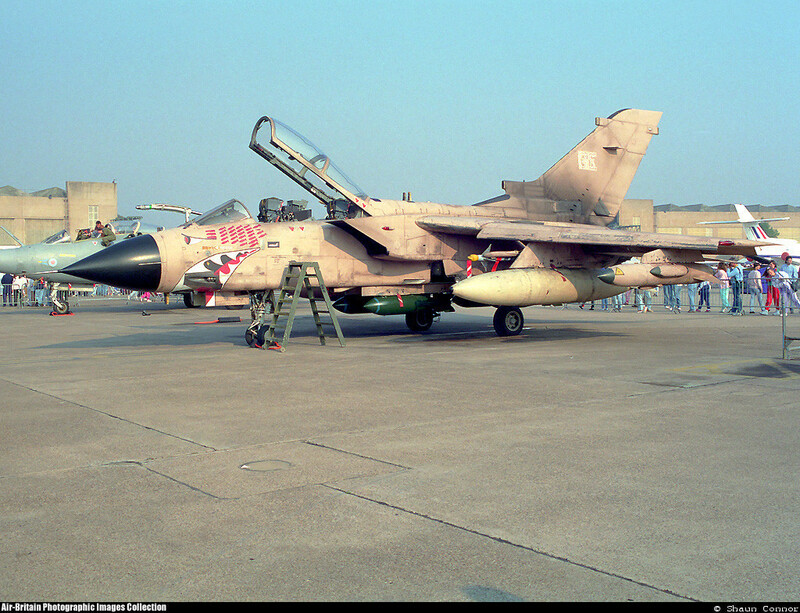 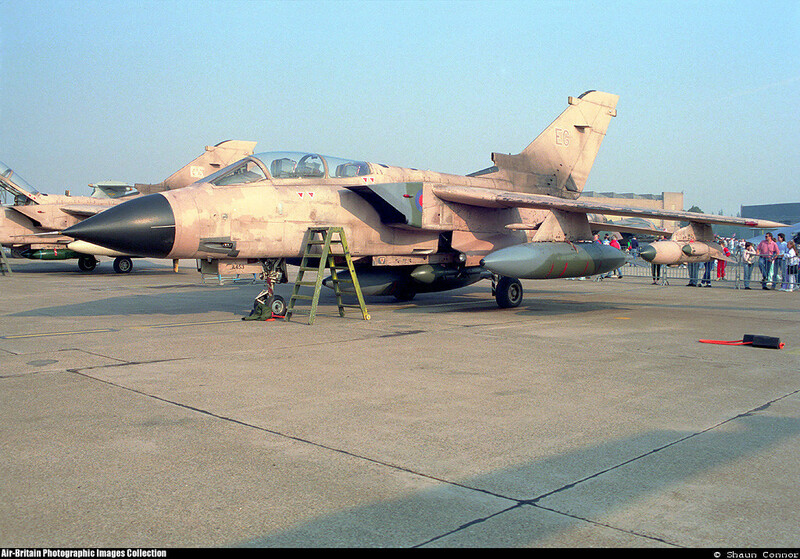 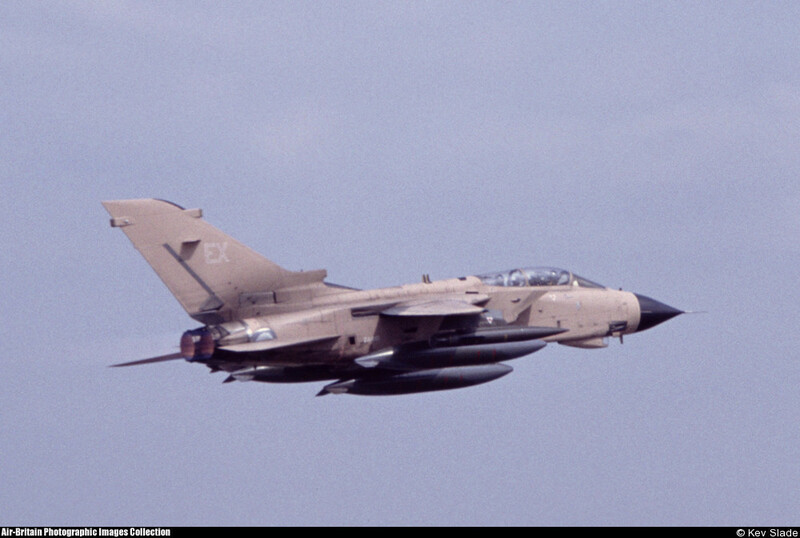 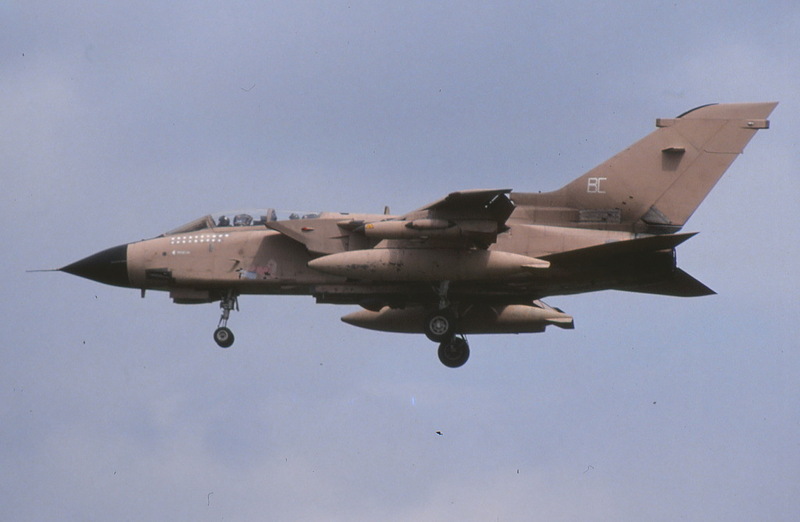 Modified under STF 238, the conversion was undertaken at St Athan and the first aircraft to be so modified, ZA410, rolled out on 13 January 1991. 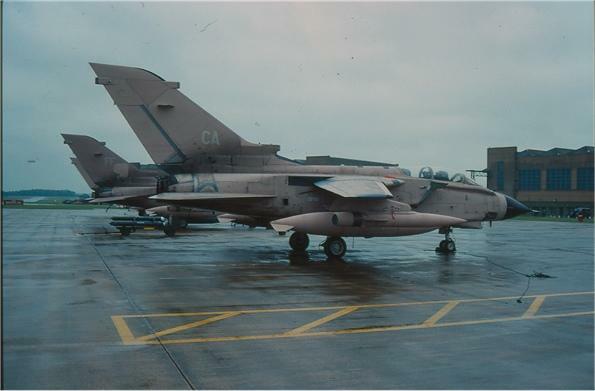 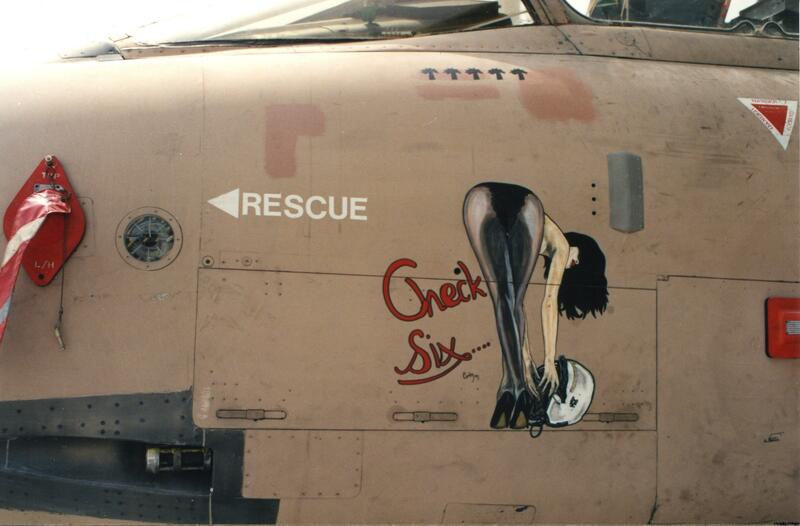 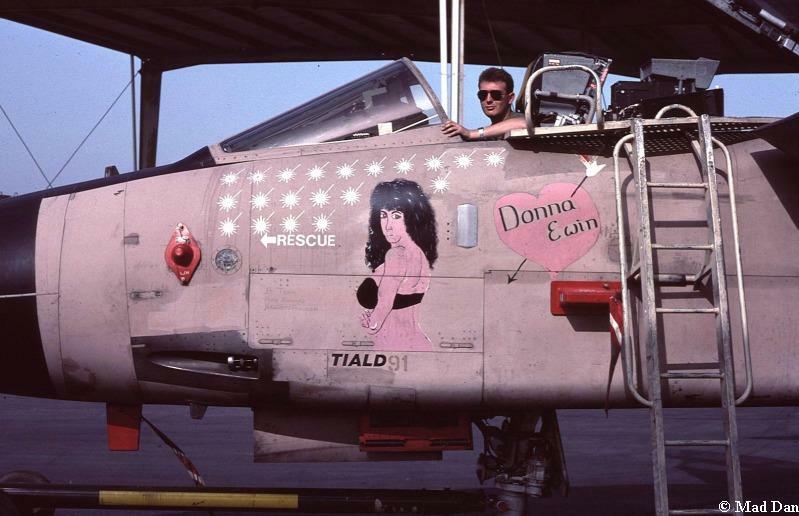 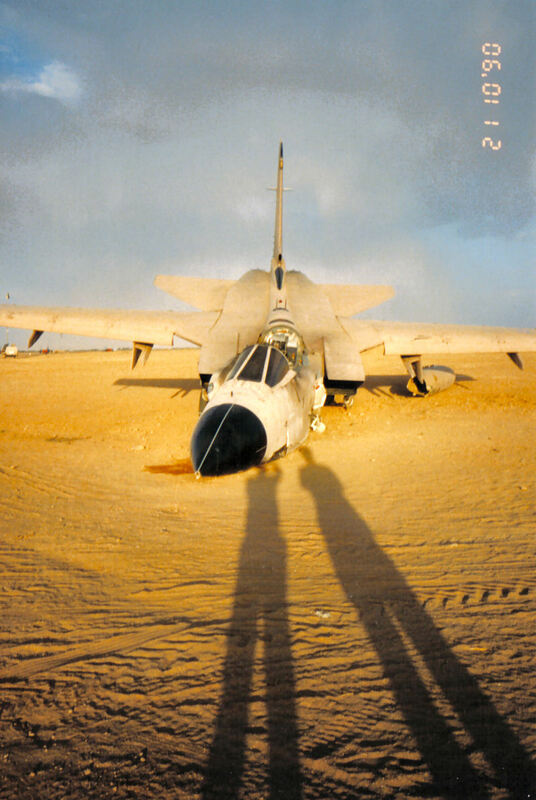 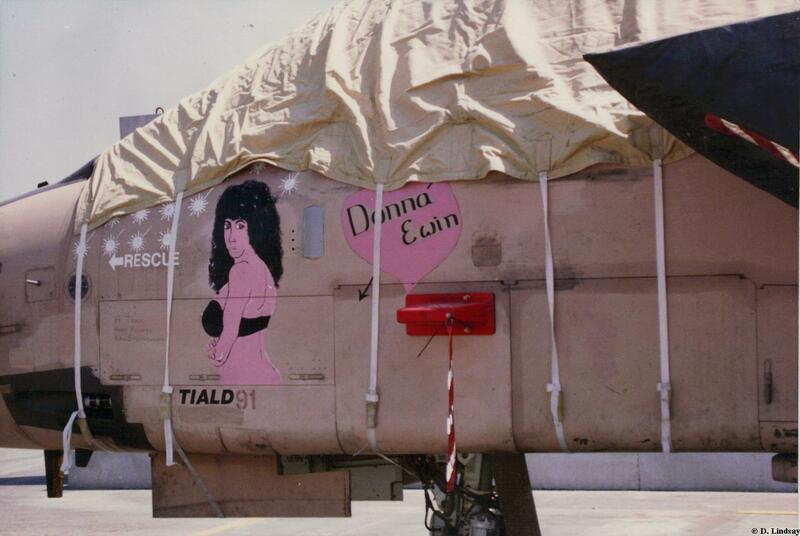 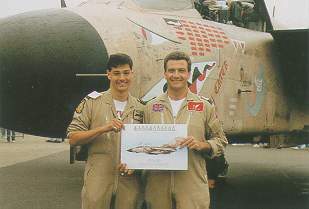 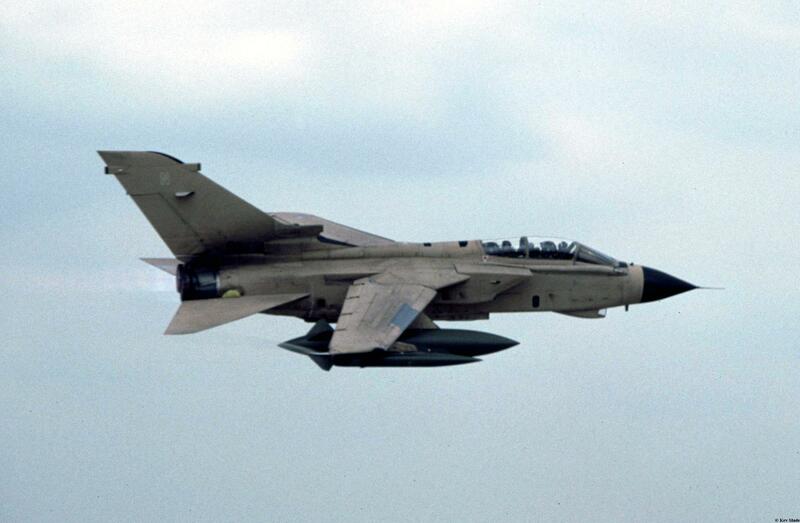 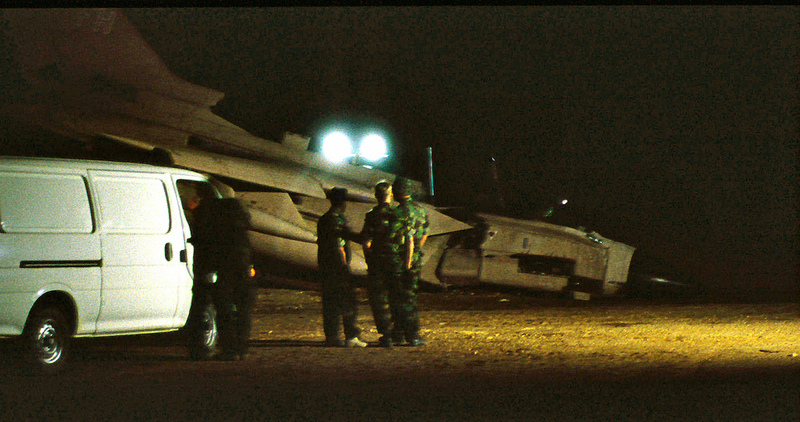 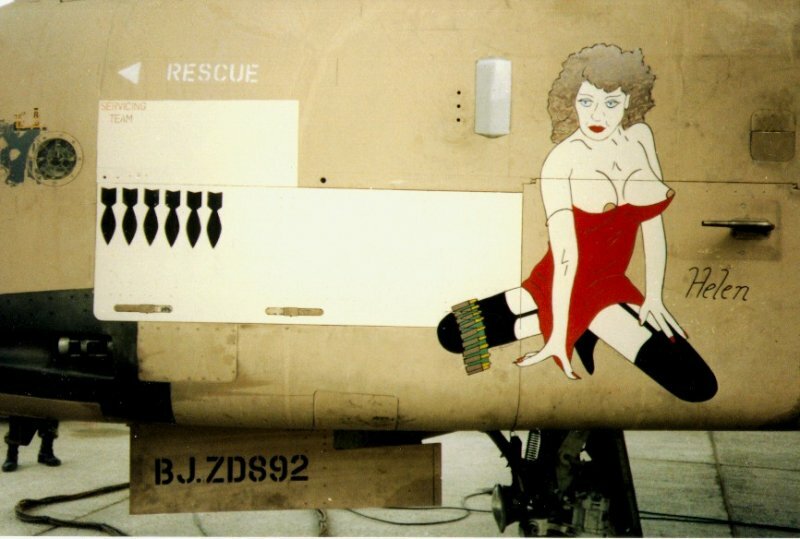 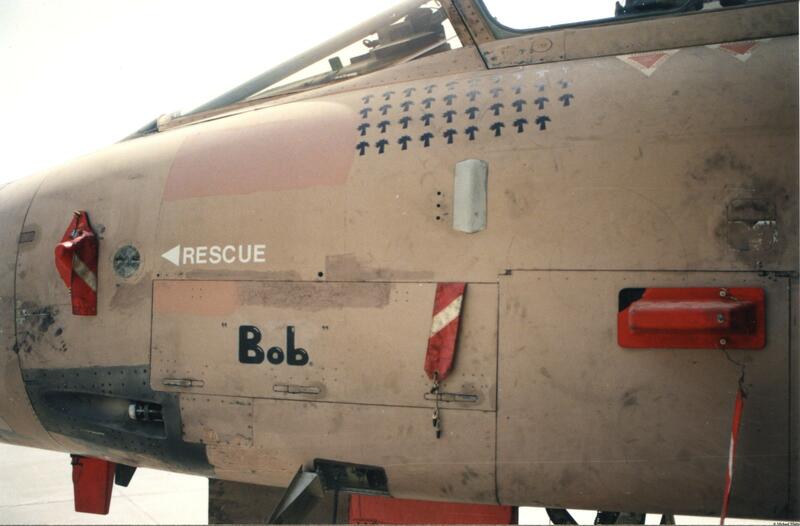 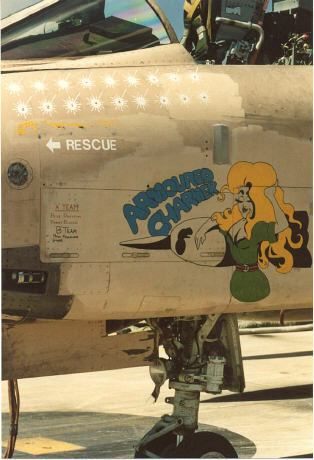 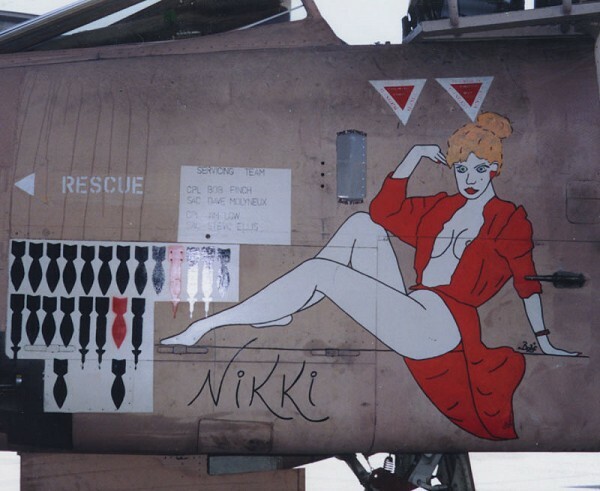 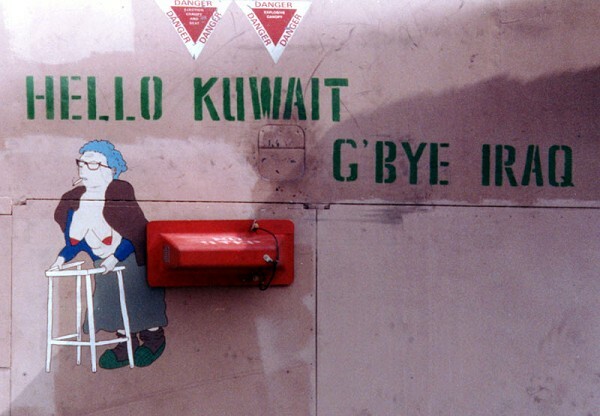 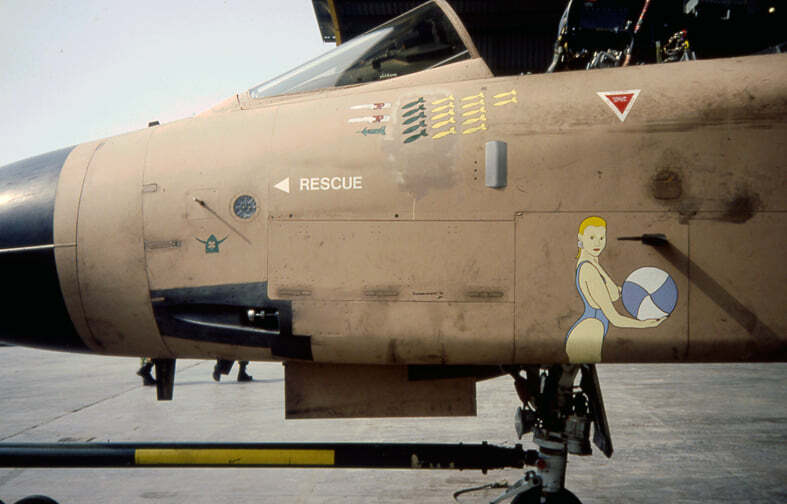 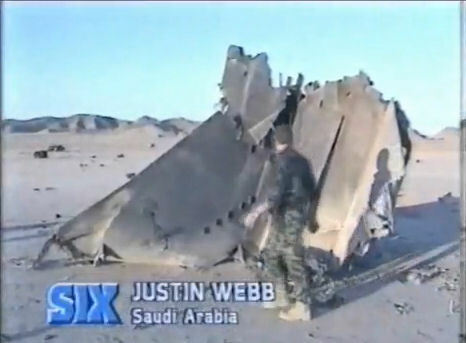 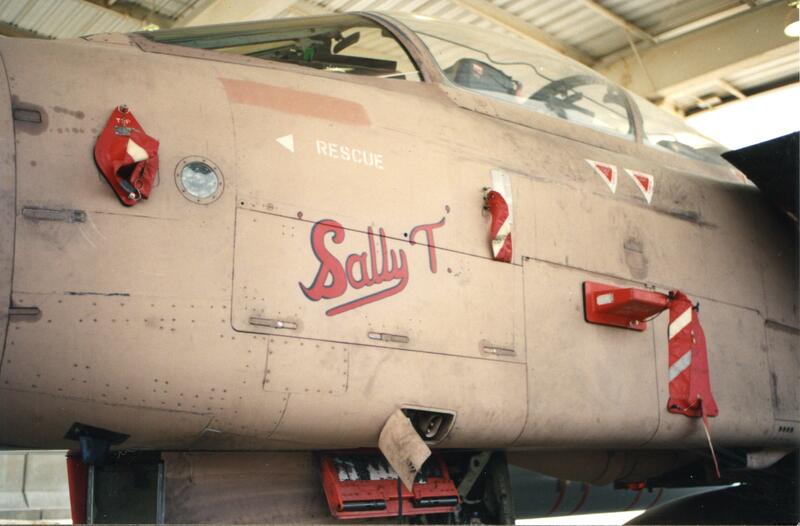 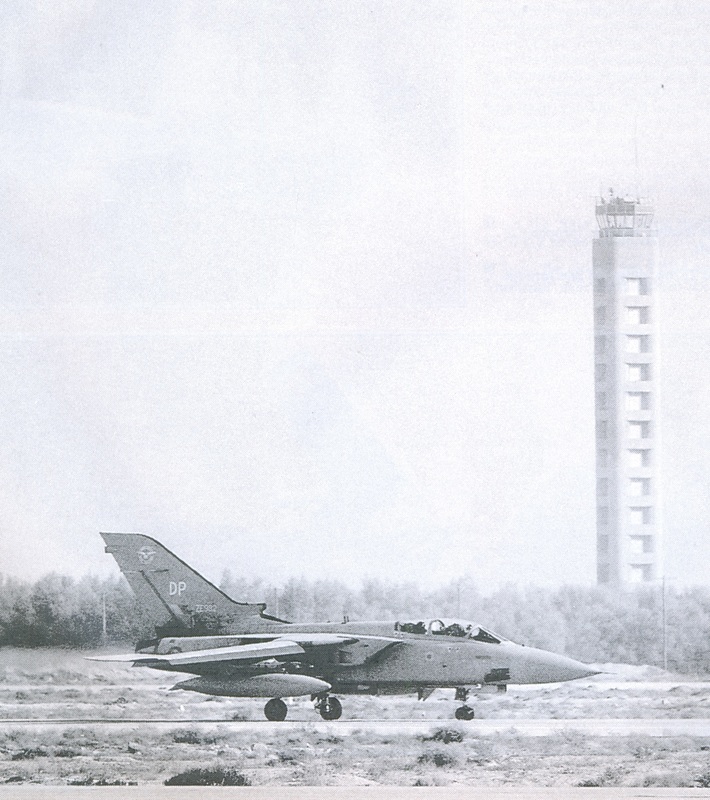 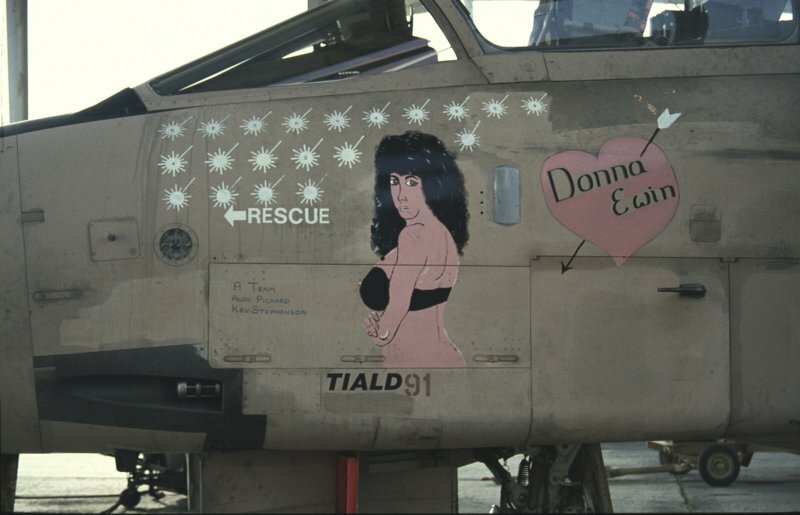 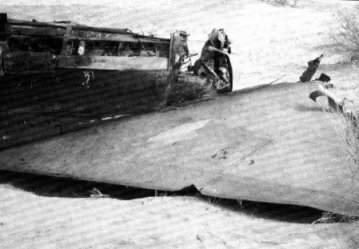 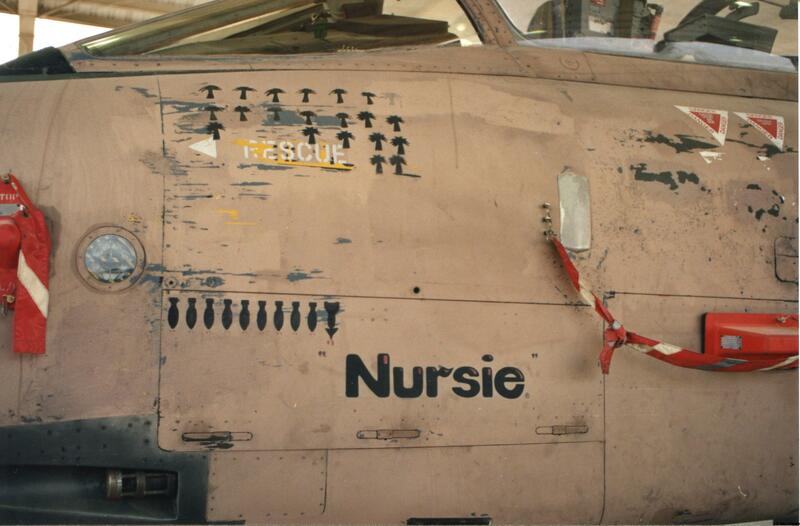 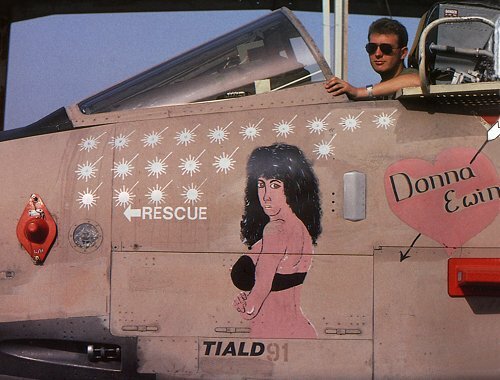 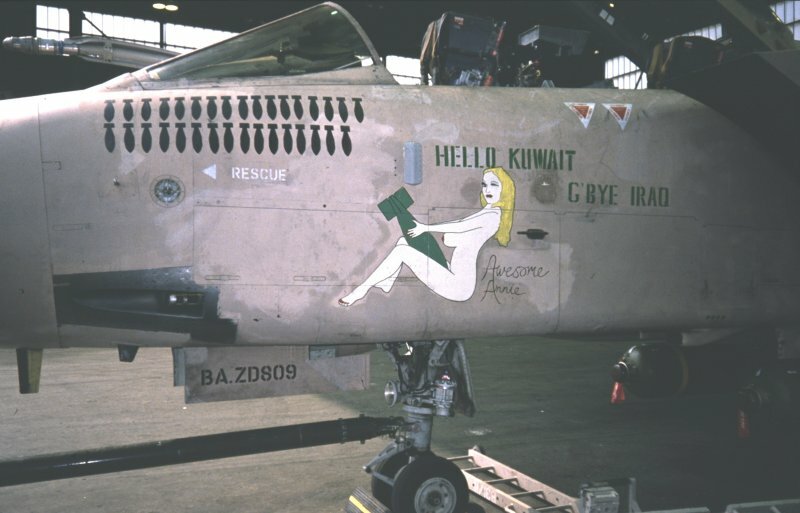 As it turned out the aircraft were not required, and they remained in reserve. 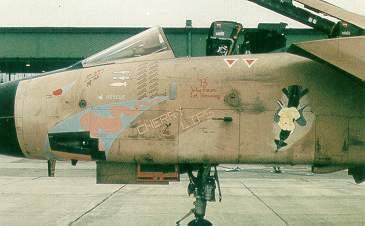 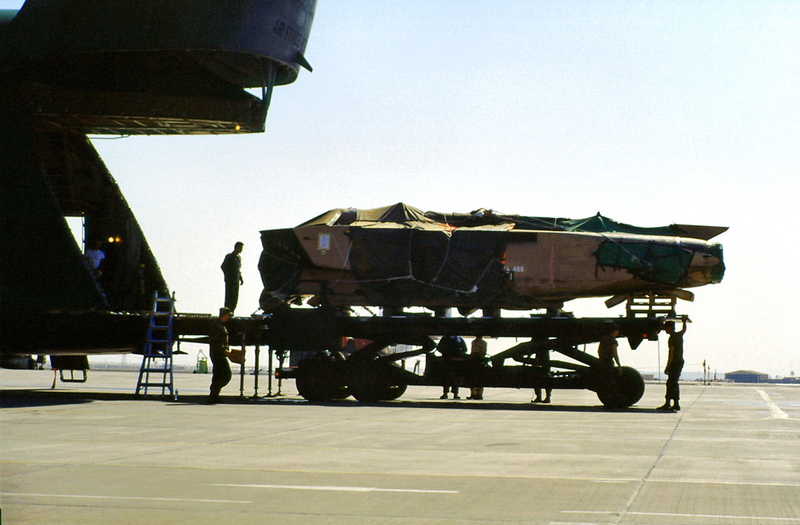 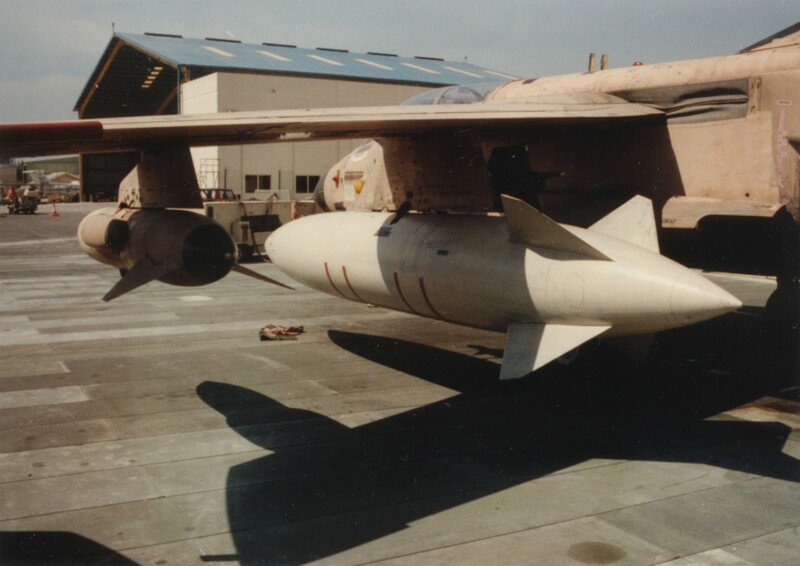 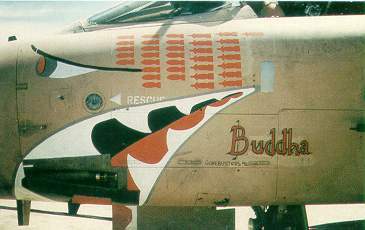 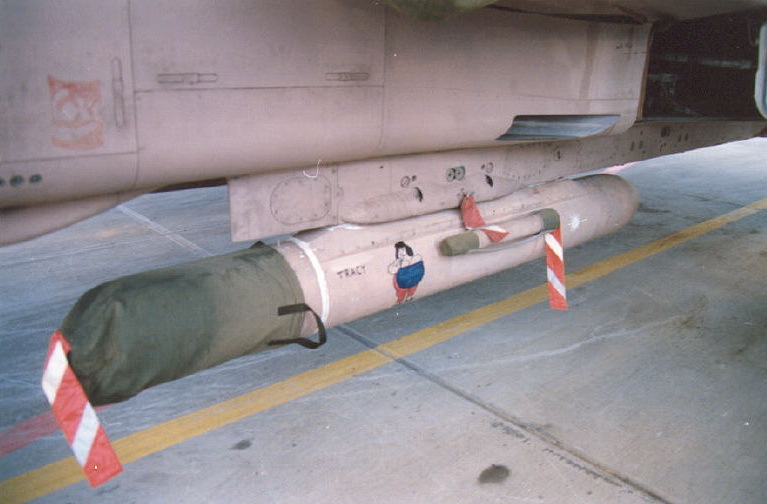 The F3s were modified to "Stage 1+" upgrade. 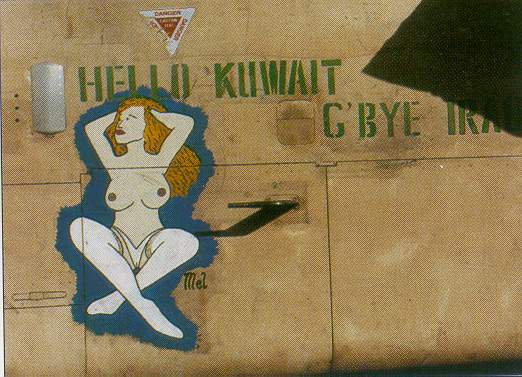 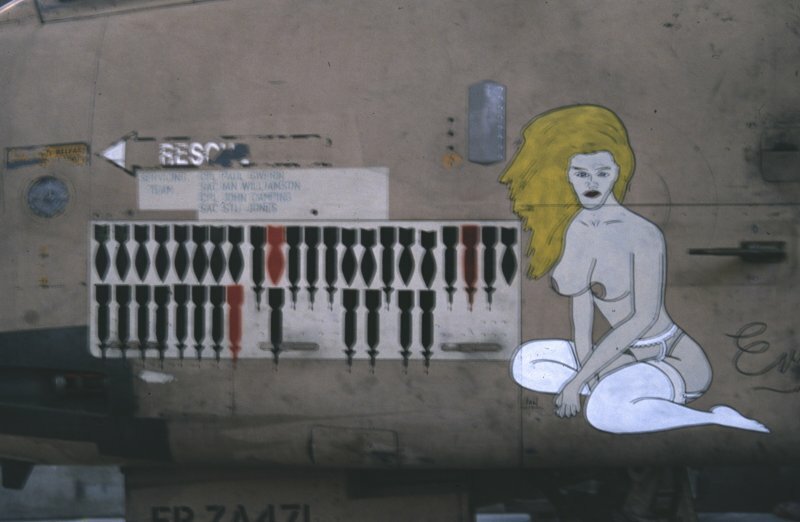 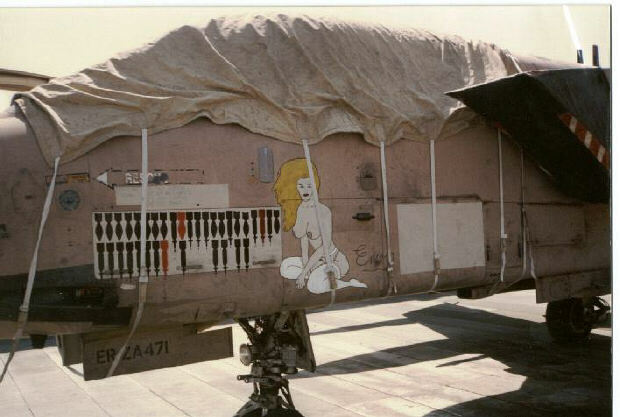 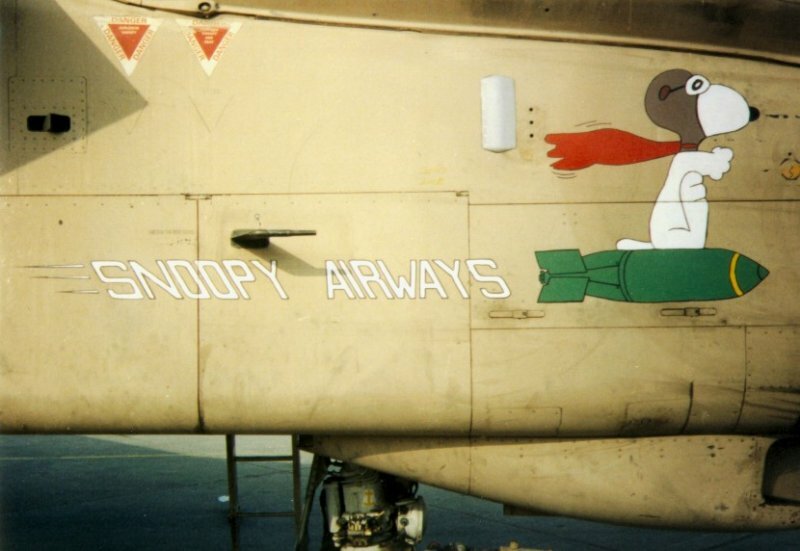 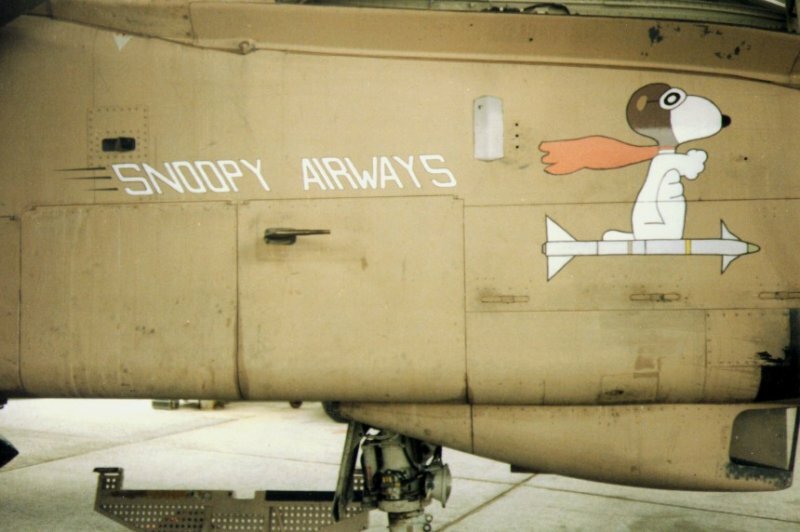 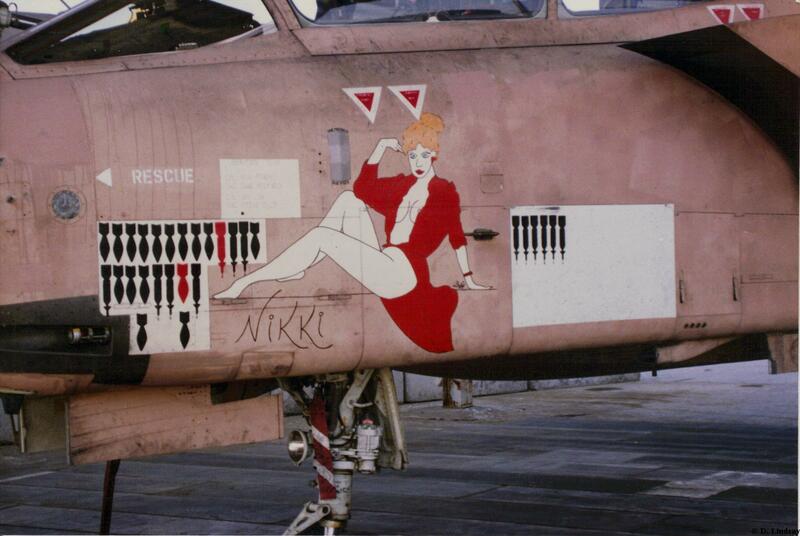 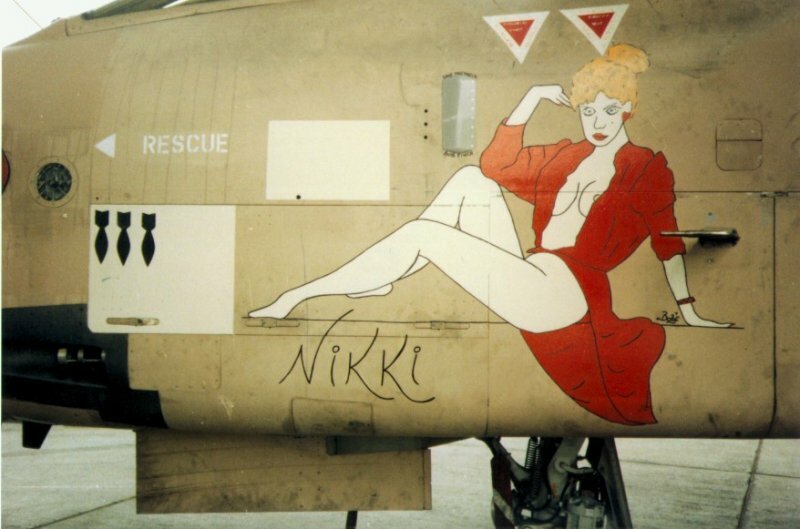 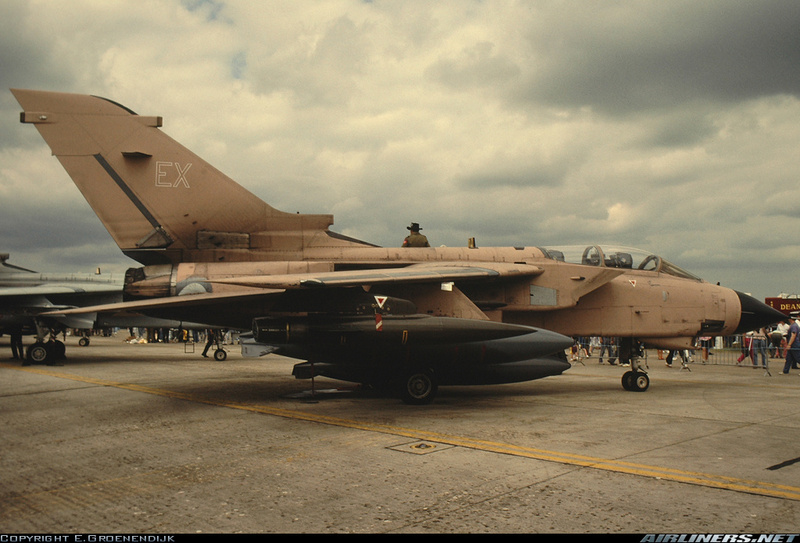 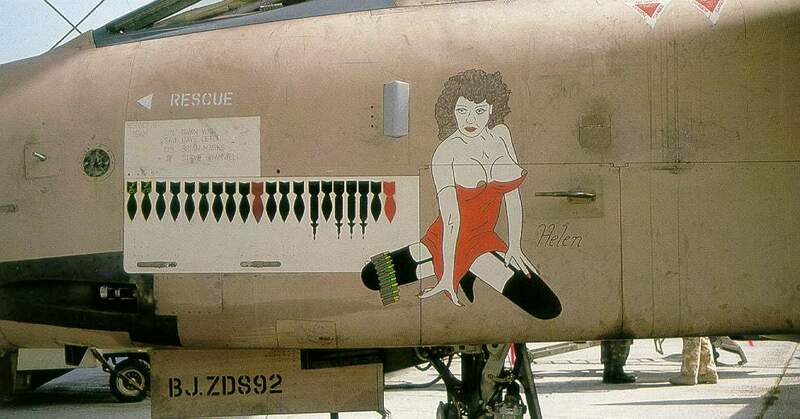 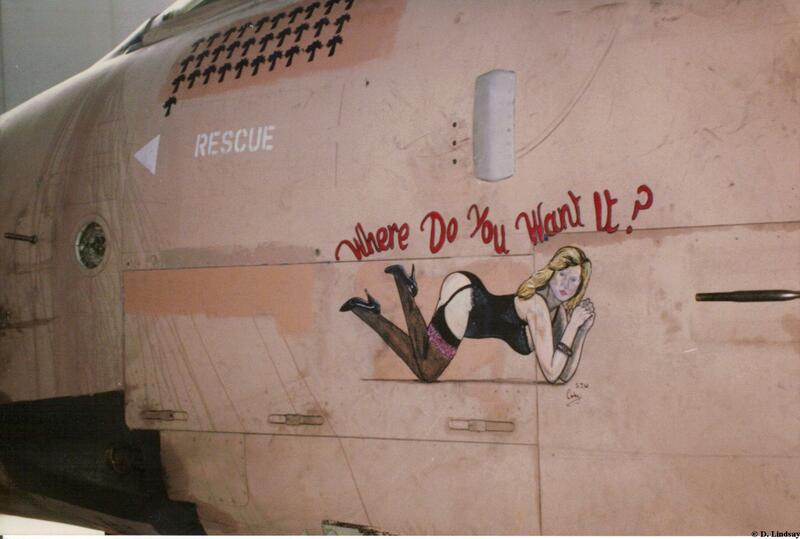 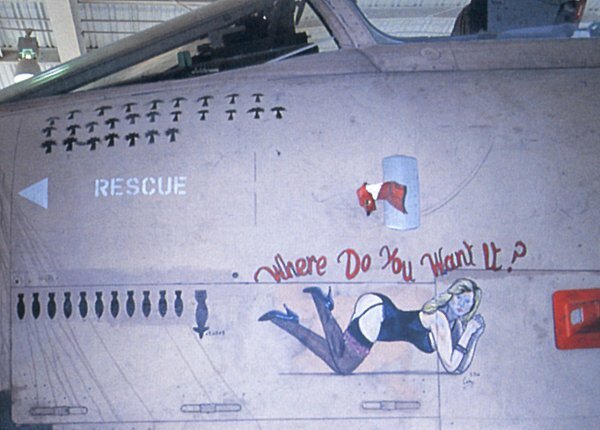 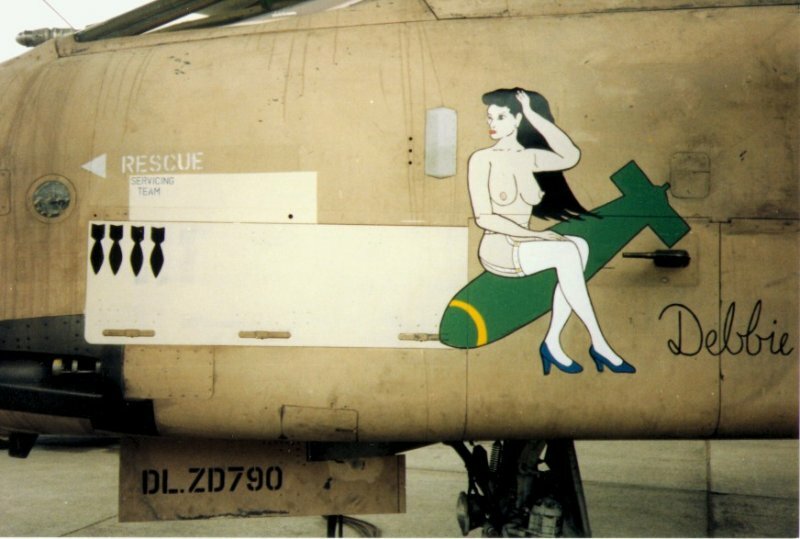 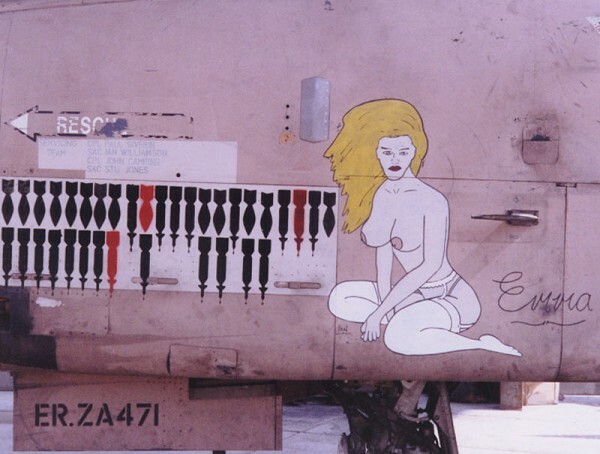 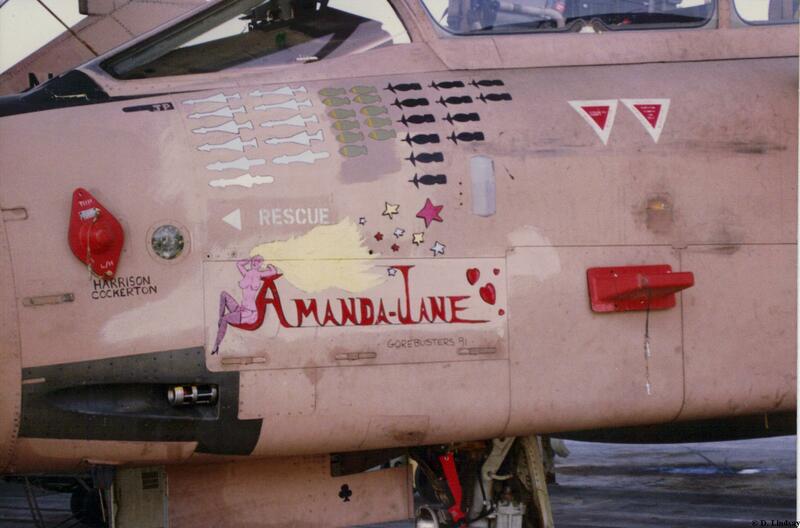 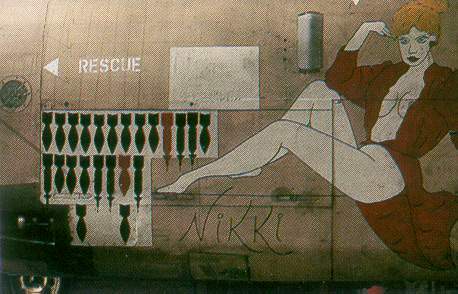 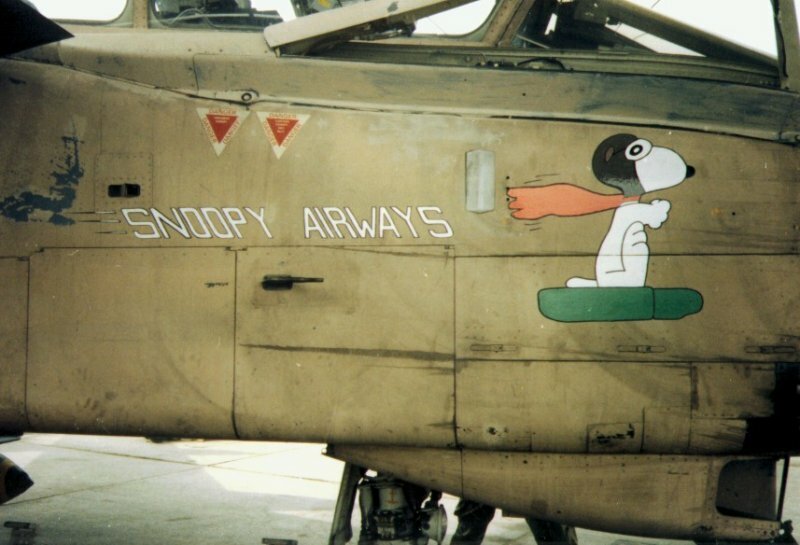 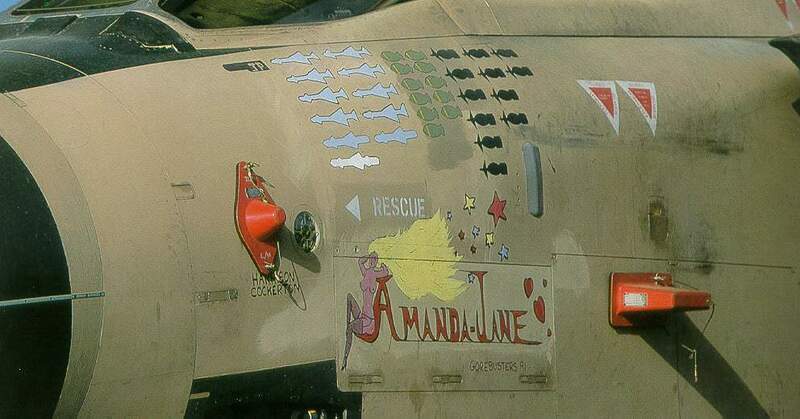 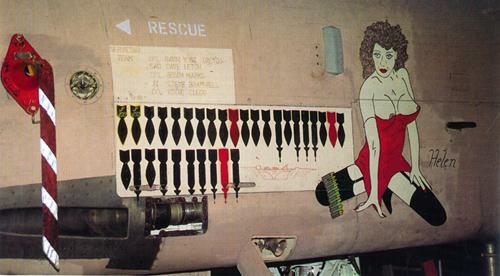 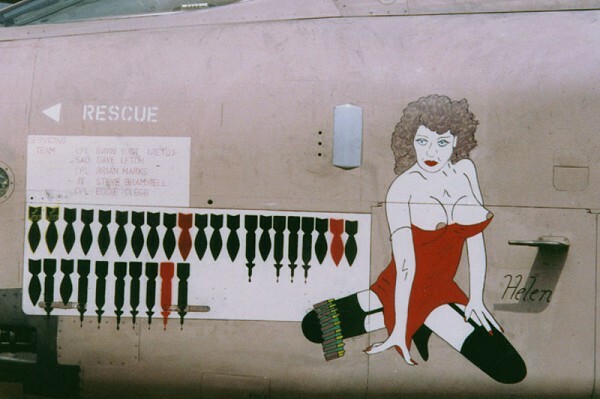 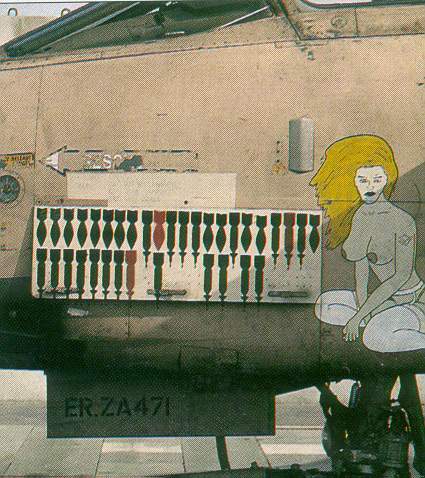 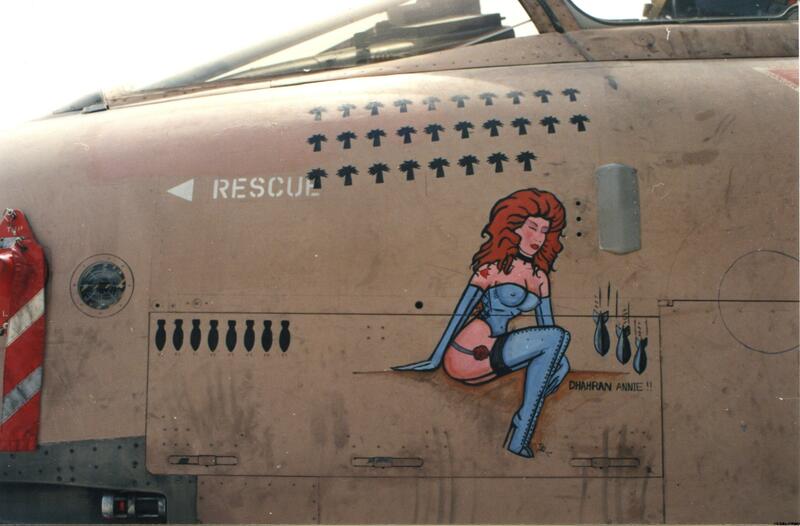 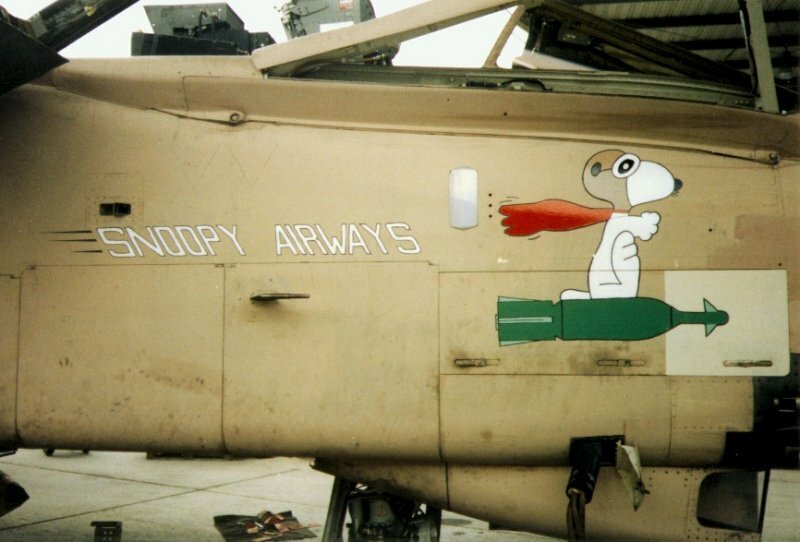 The plan was to modify 40 airframes. 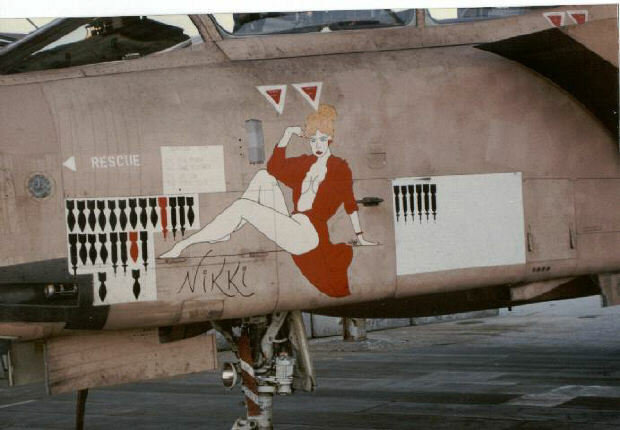 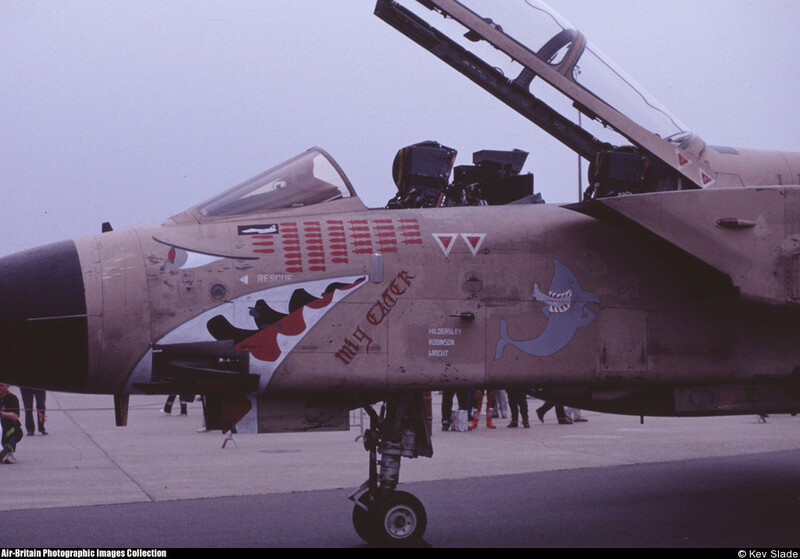 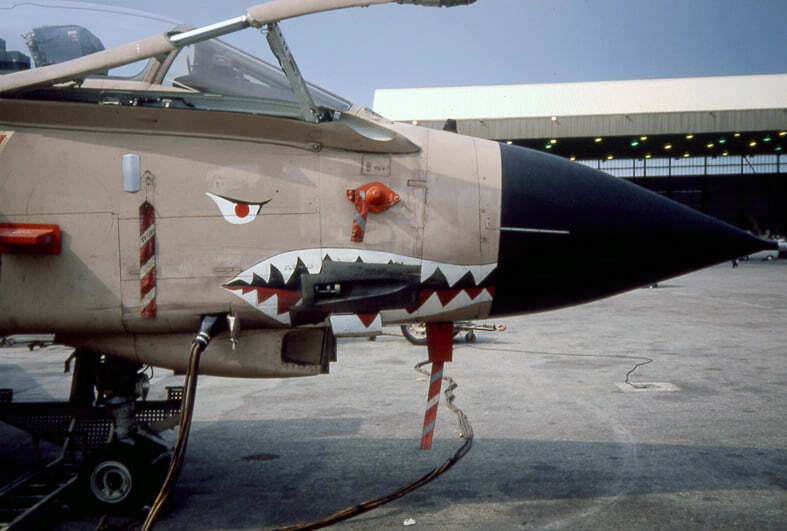 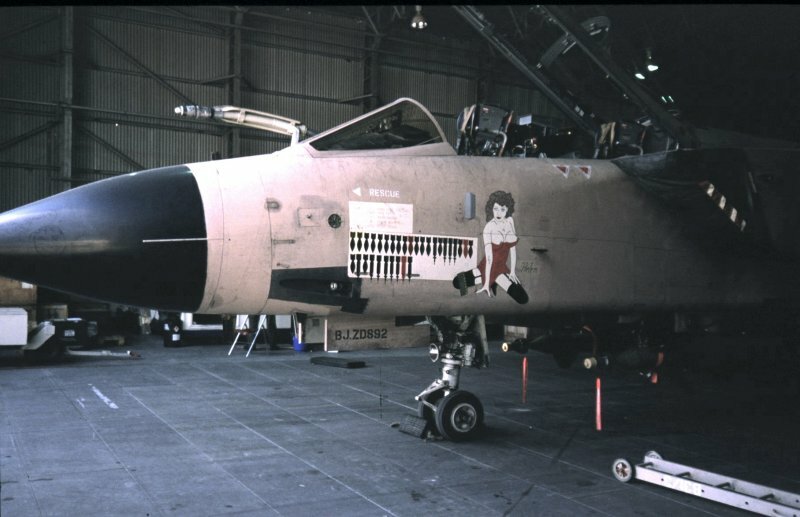 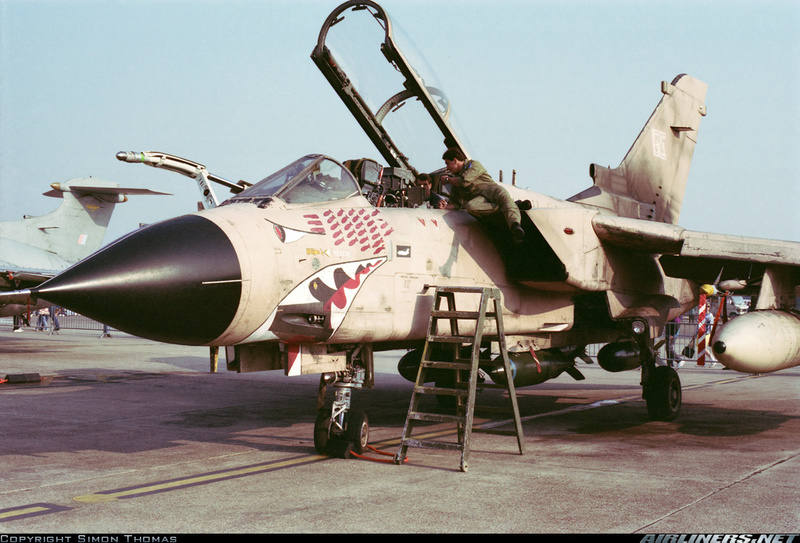 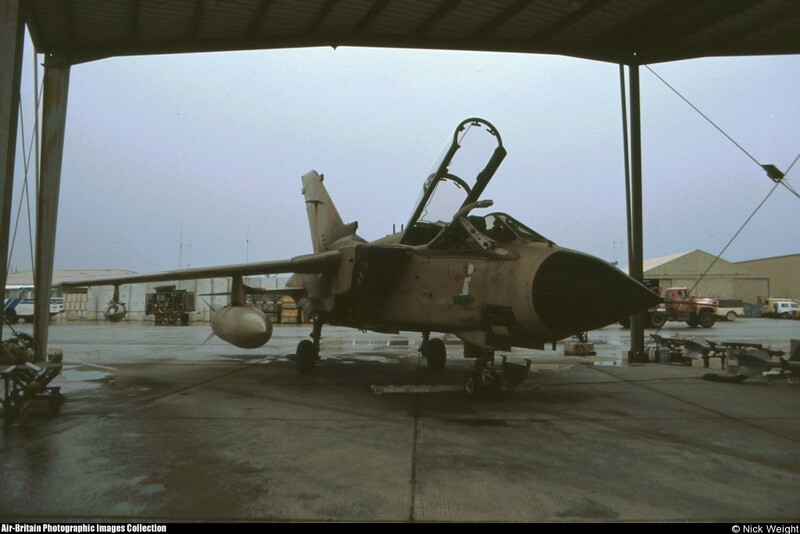 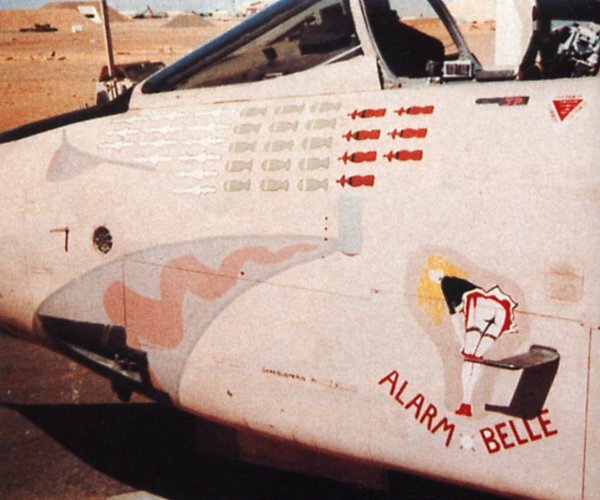 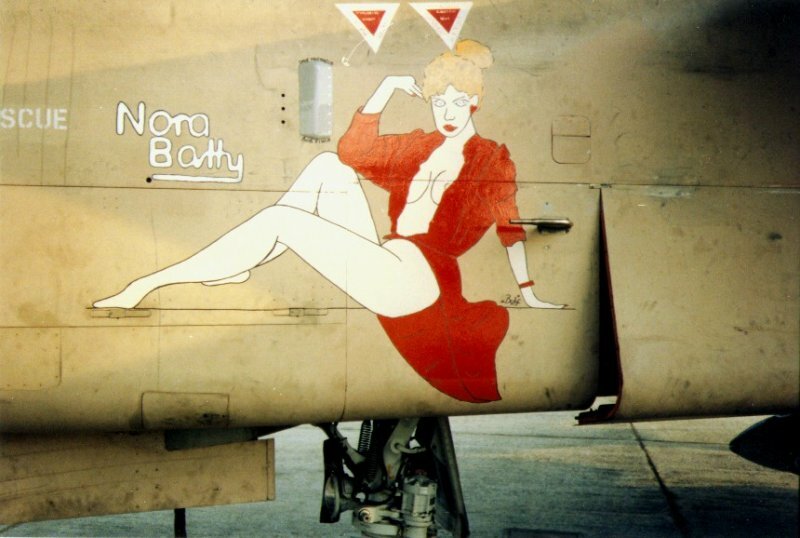 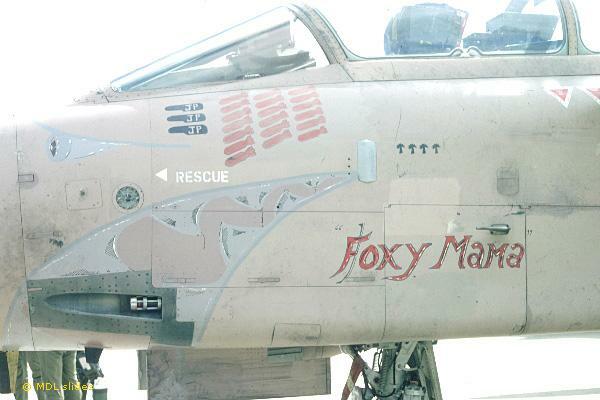 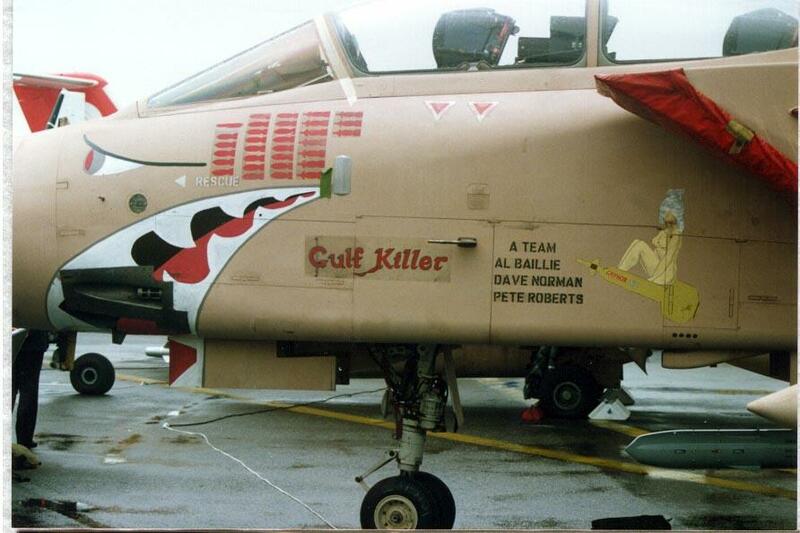 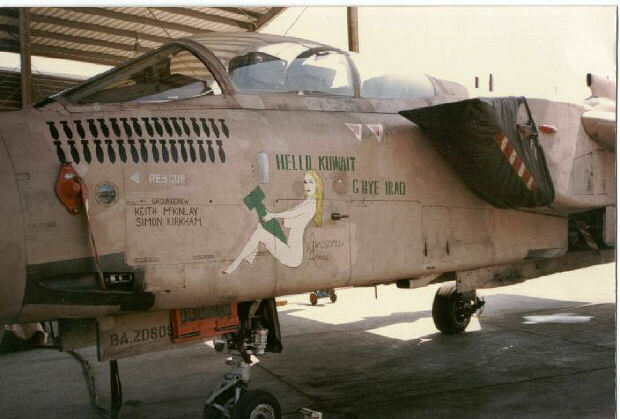 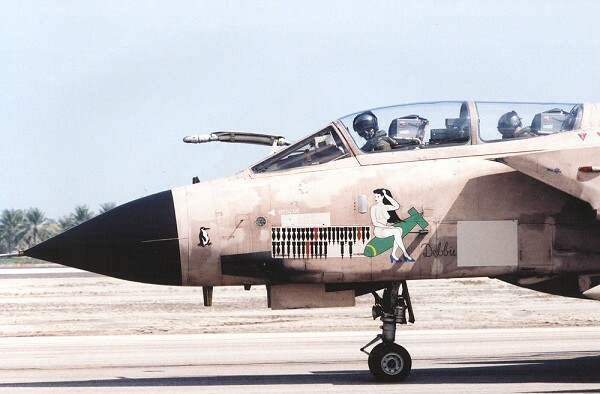 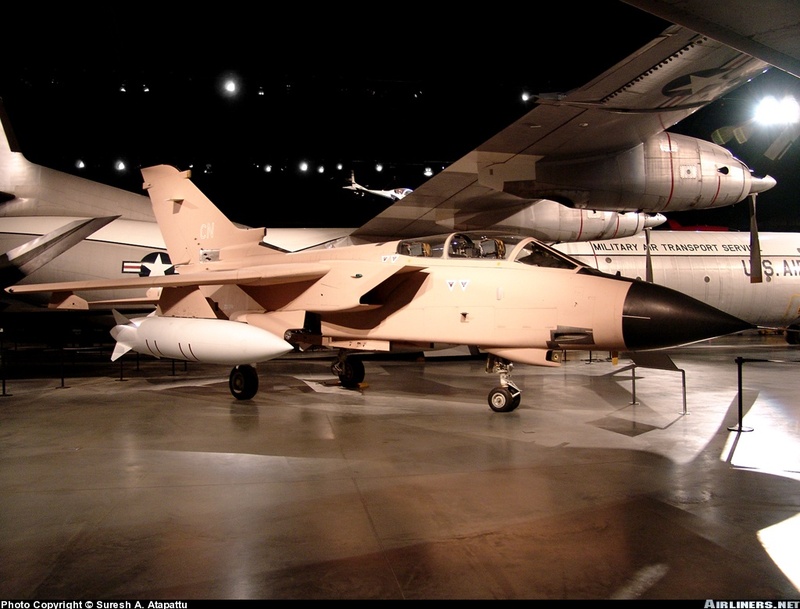 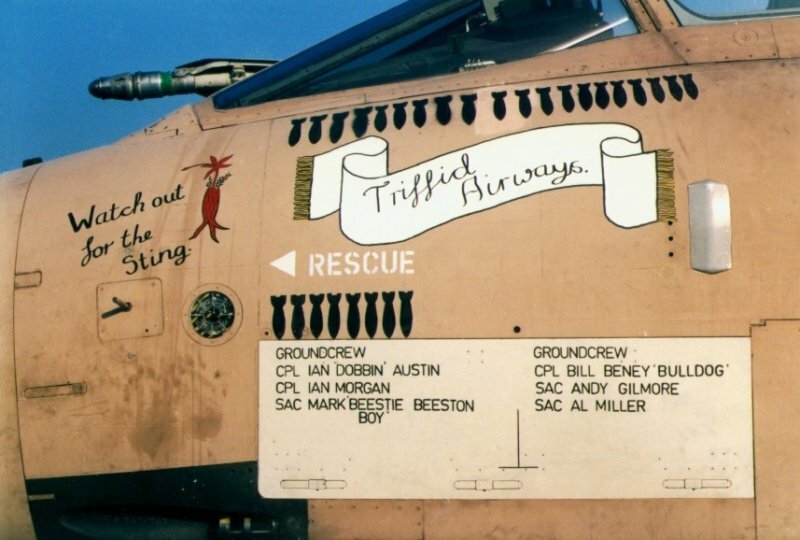 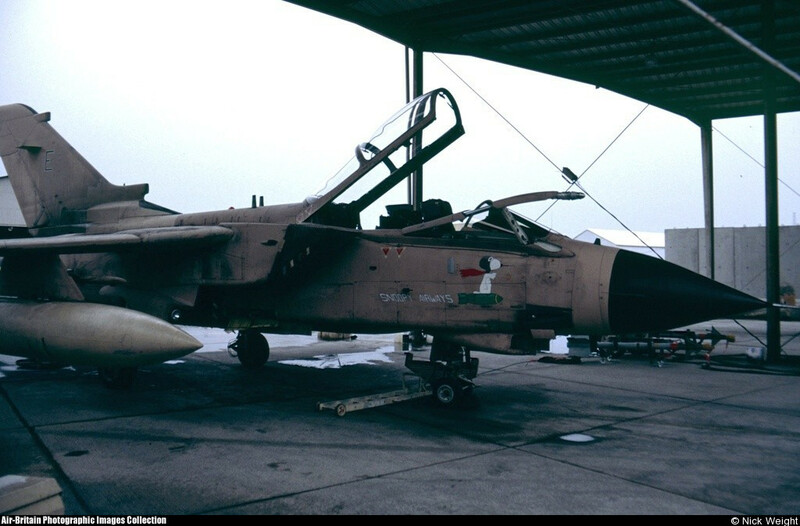 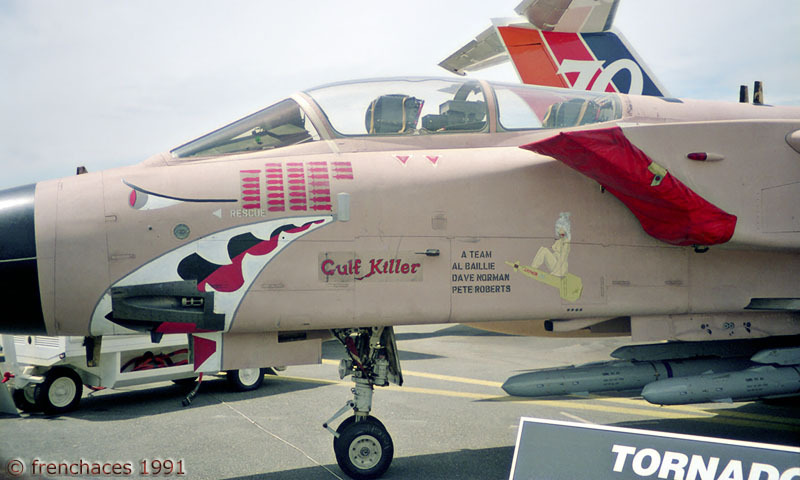 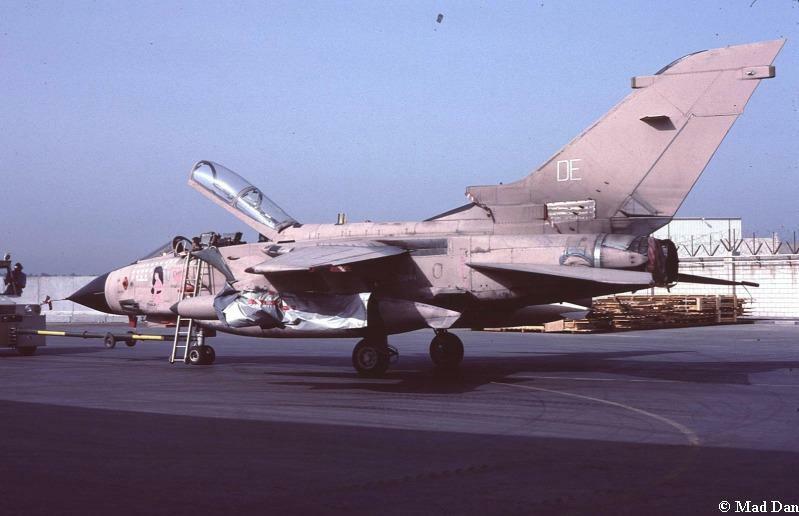 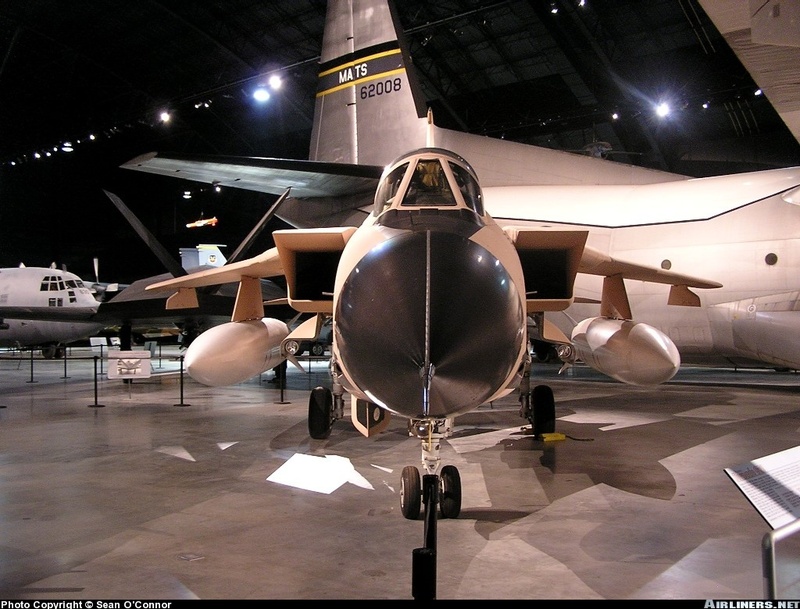 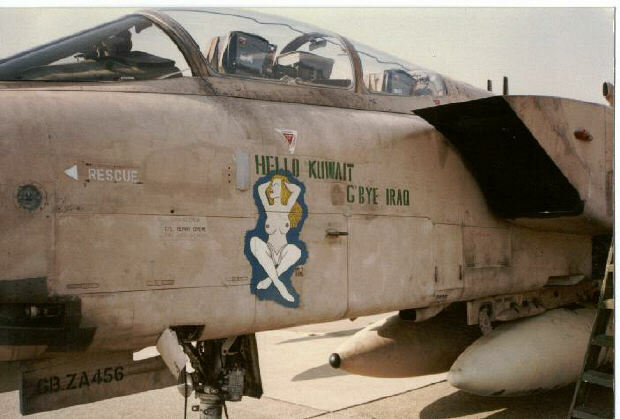 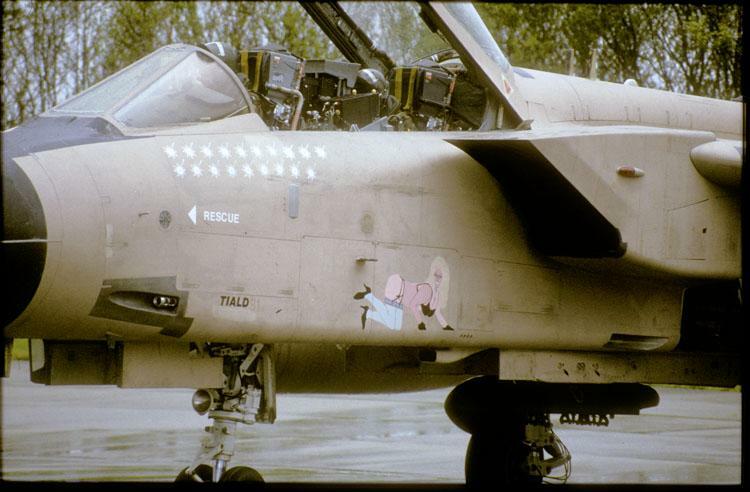 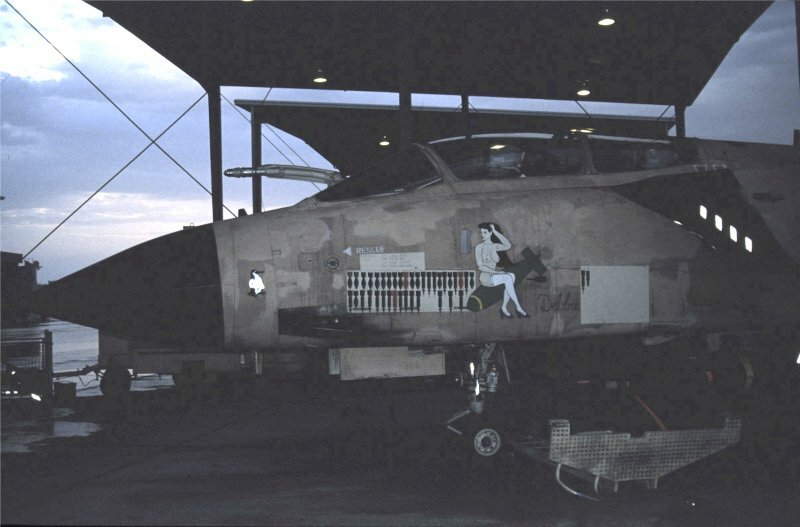 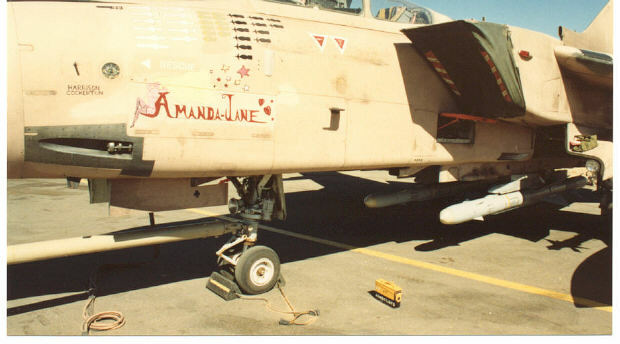 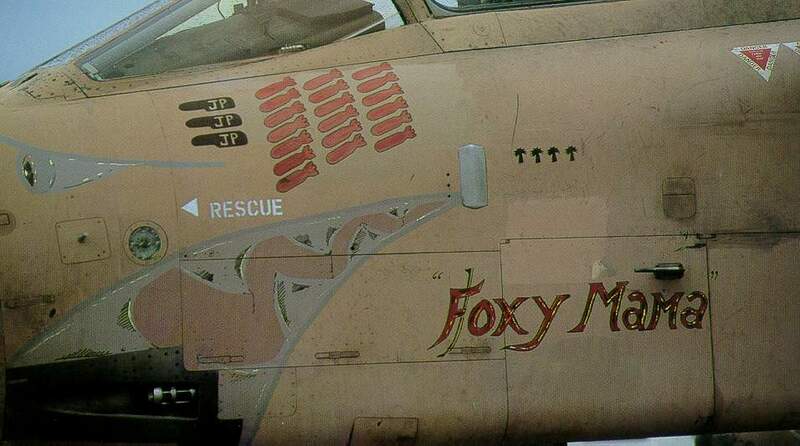 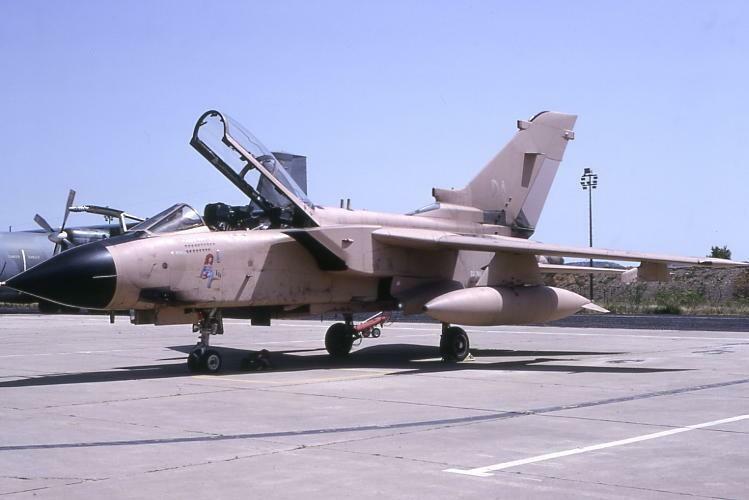 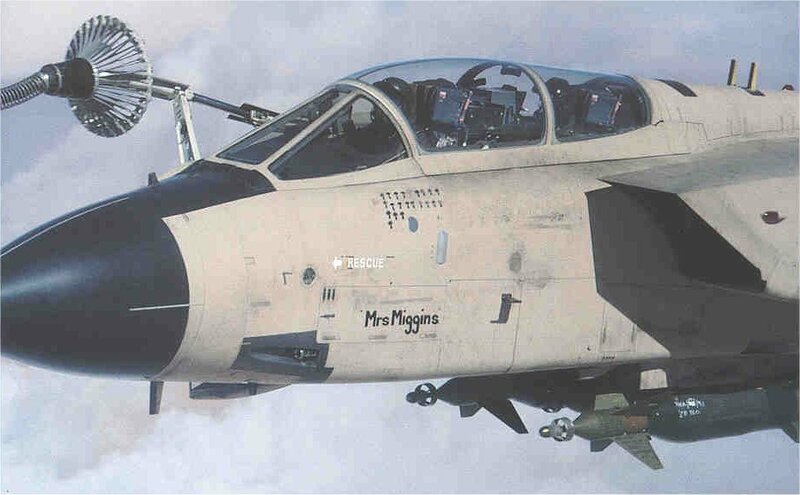 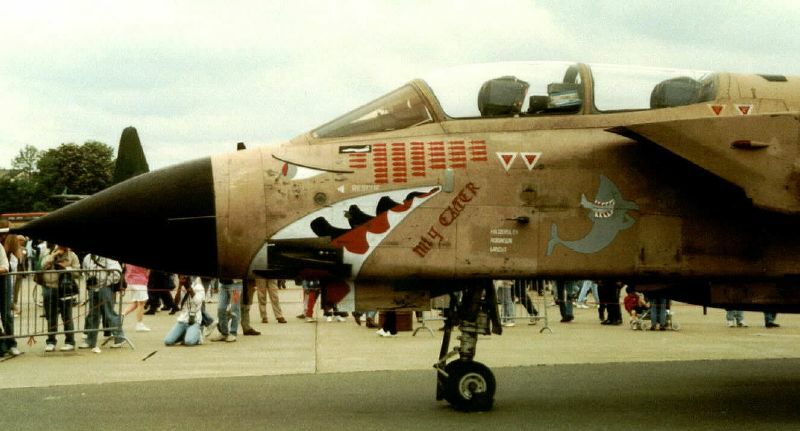 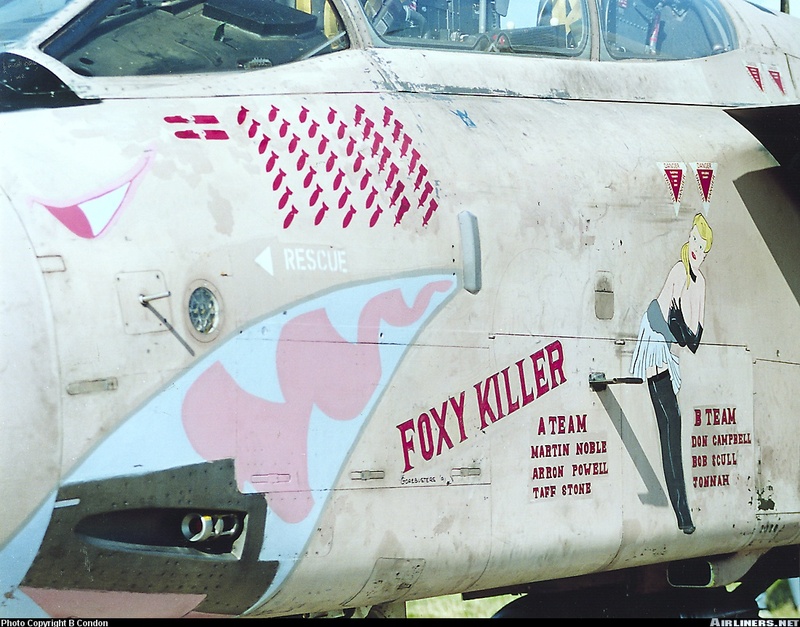 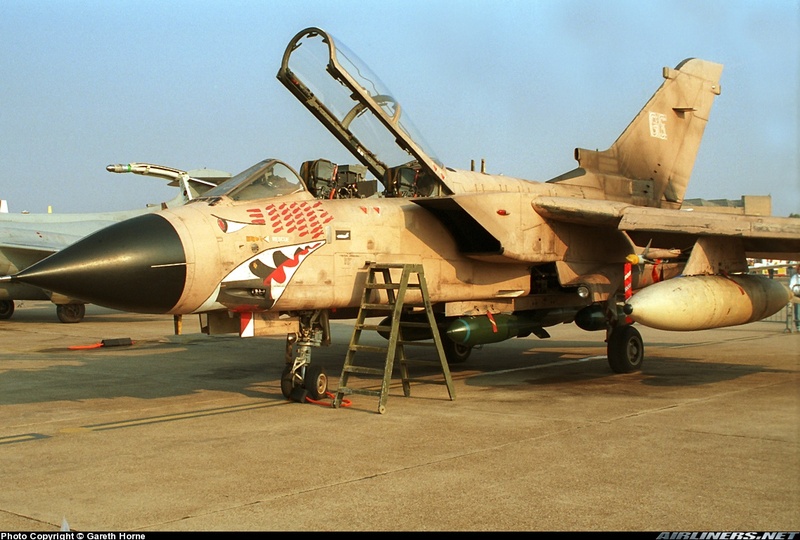 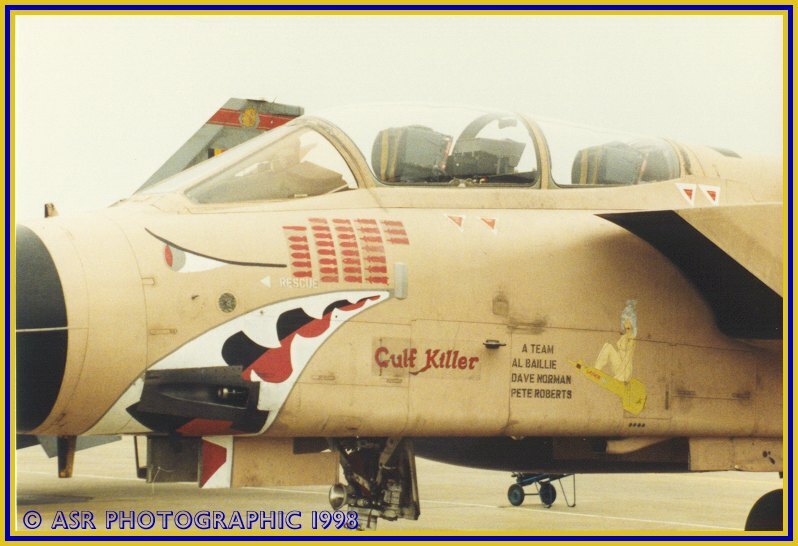 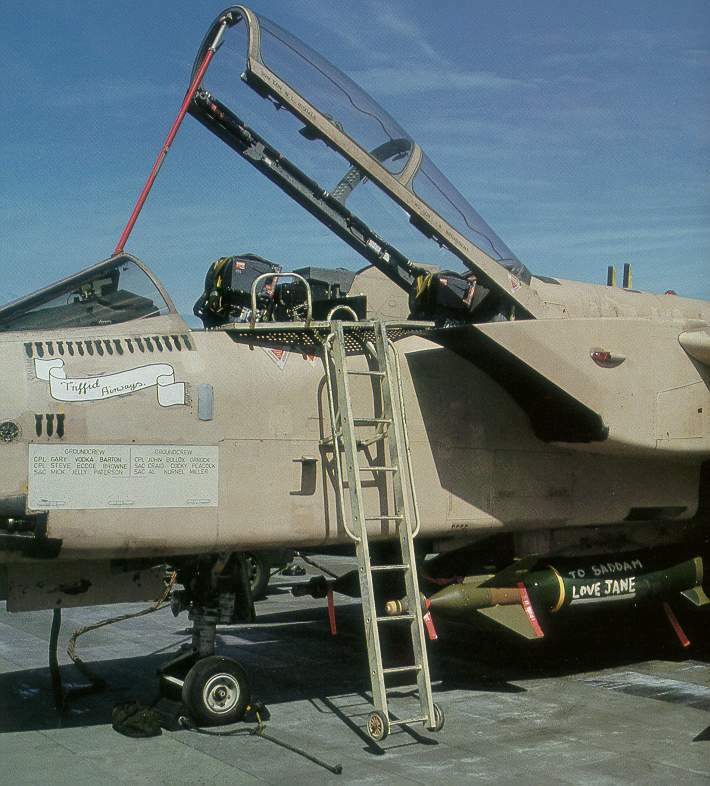 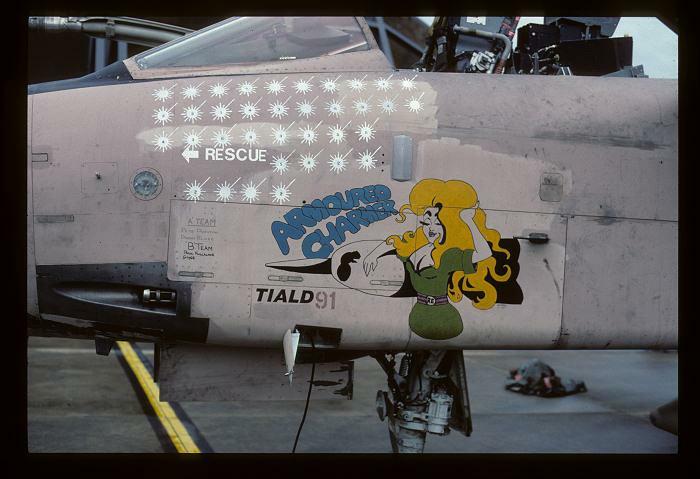 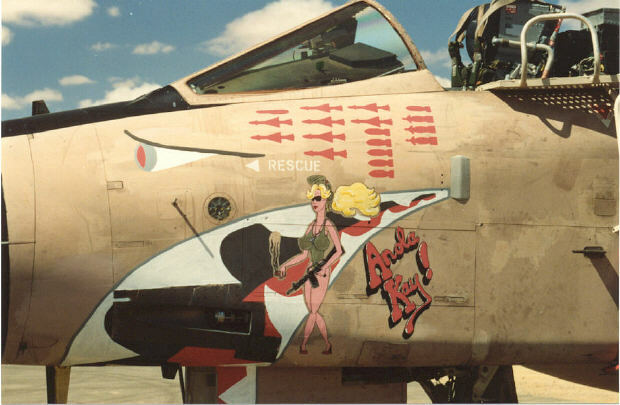 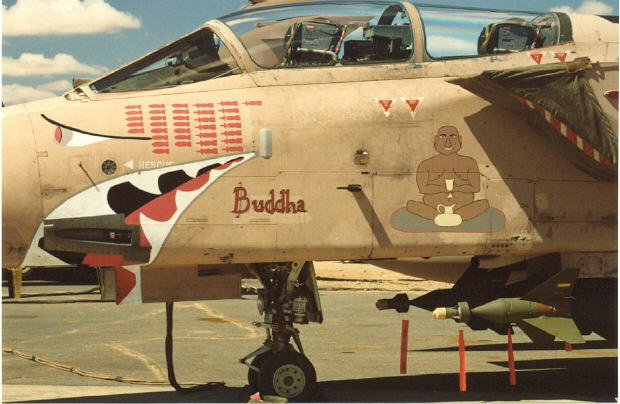 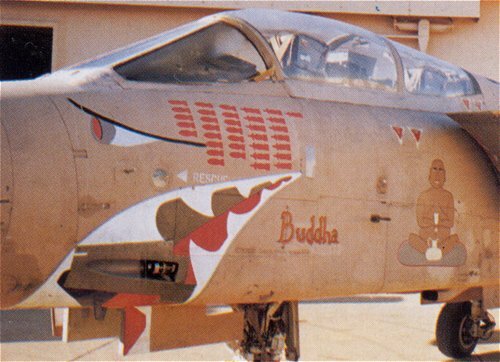 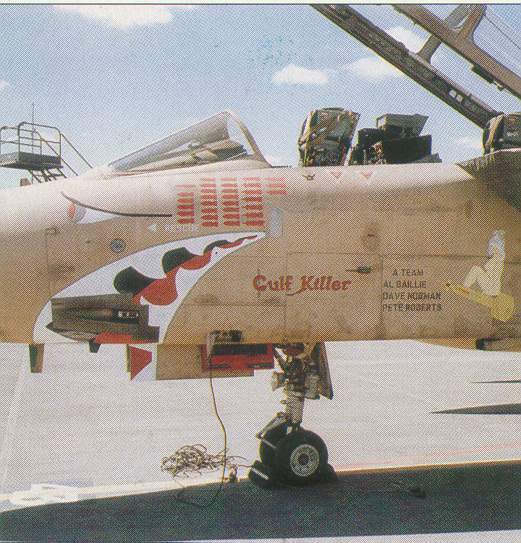 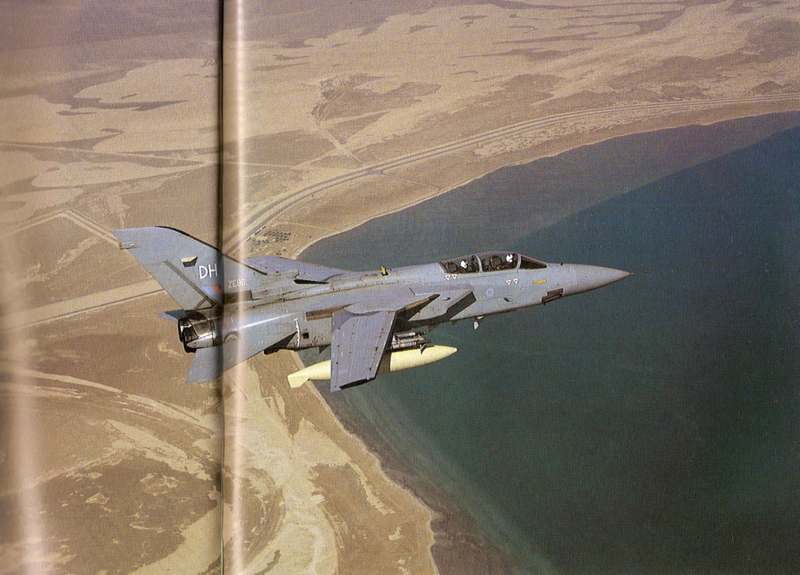 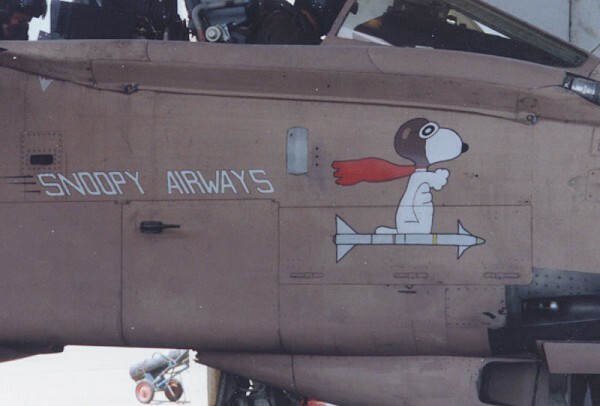 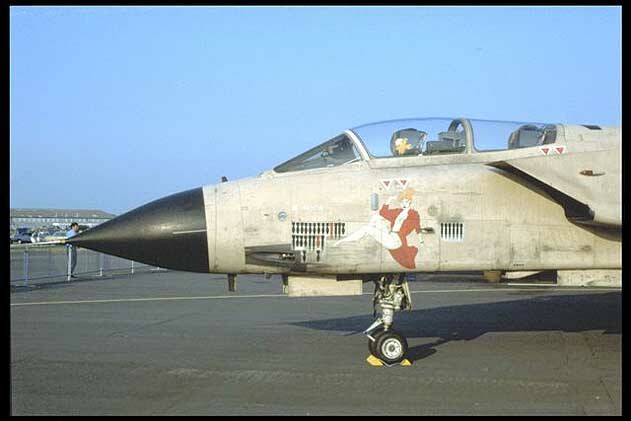 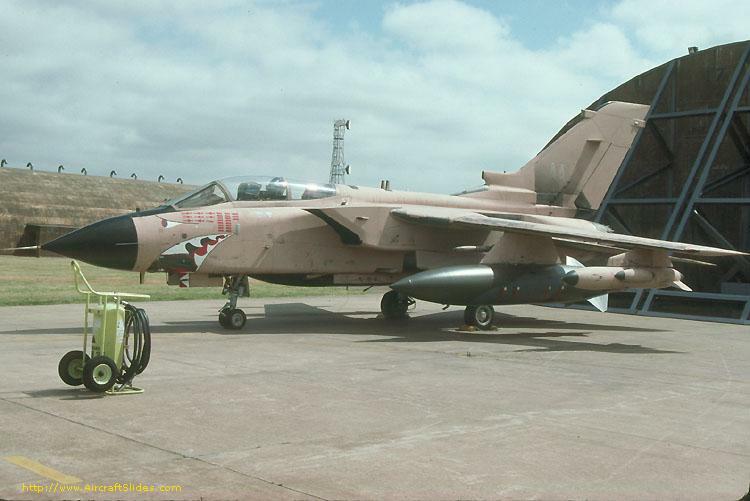 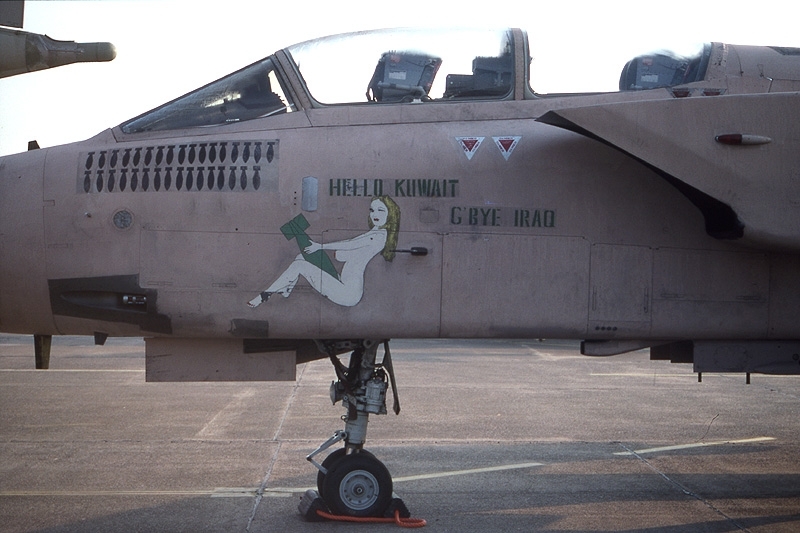 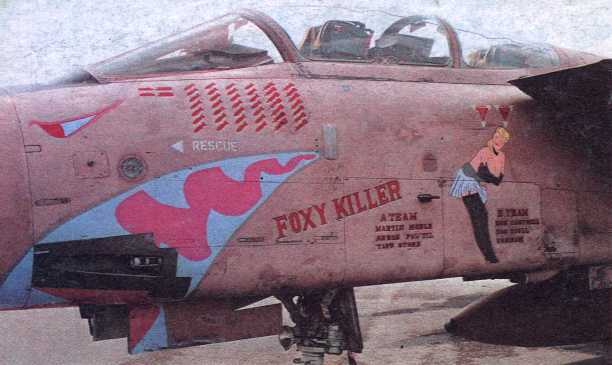 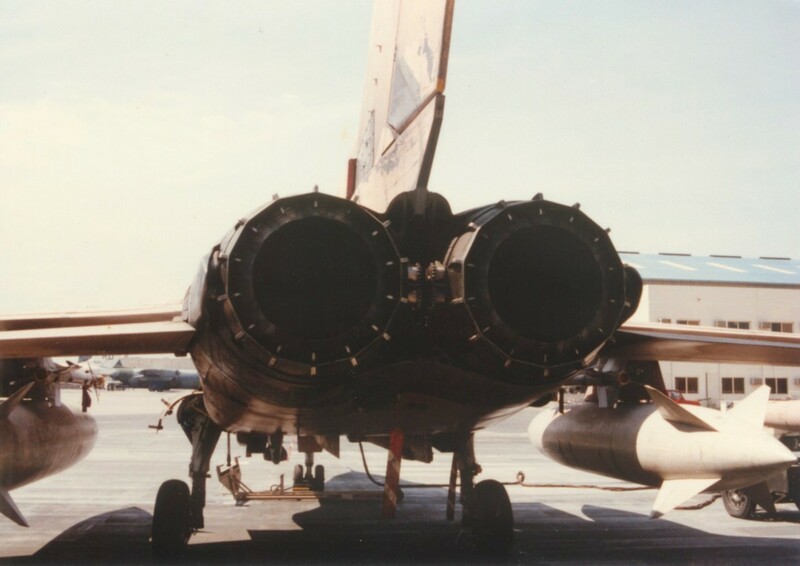 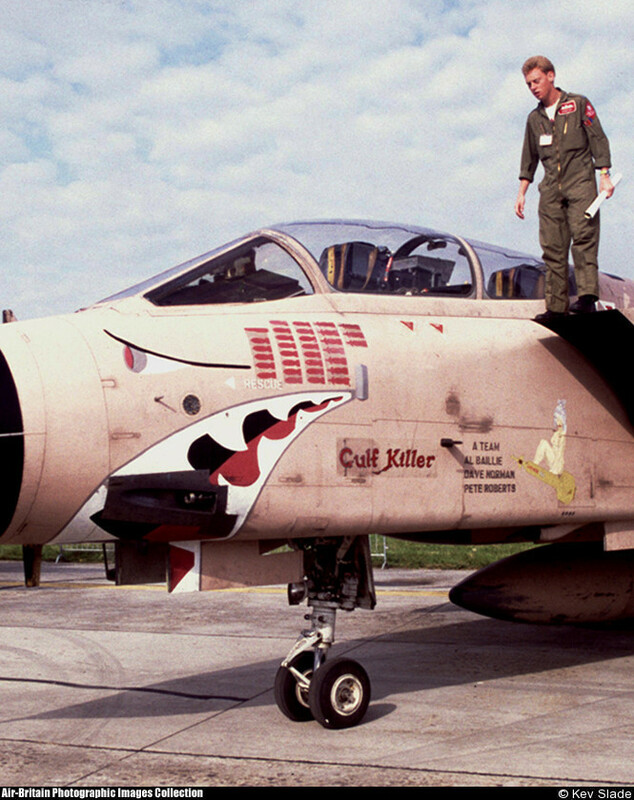 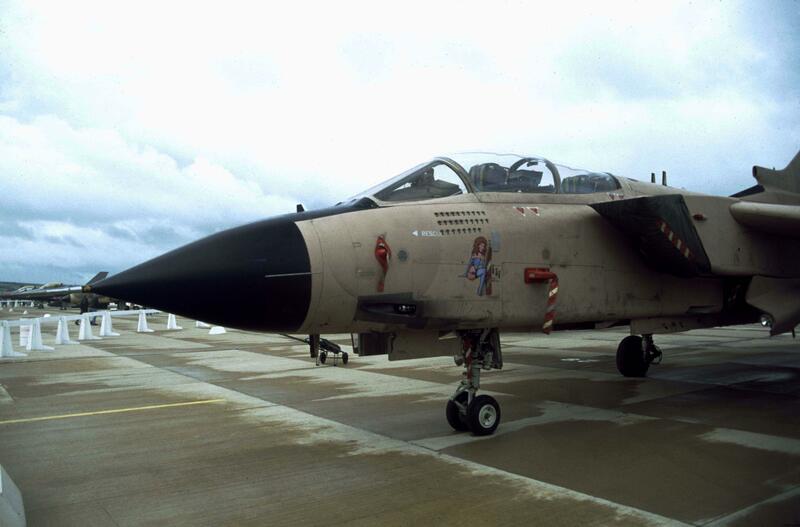 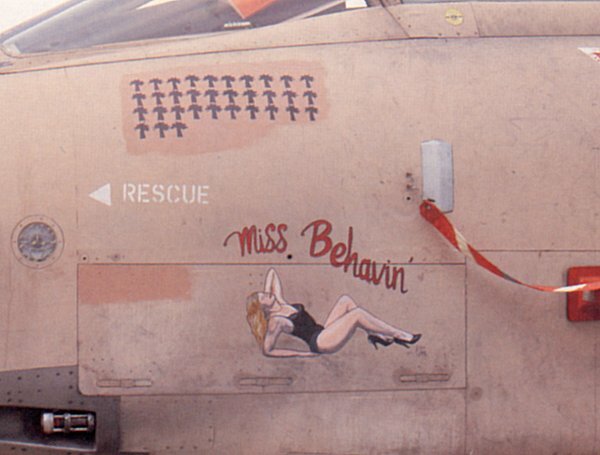 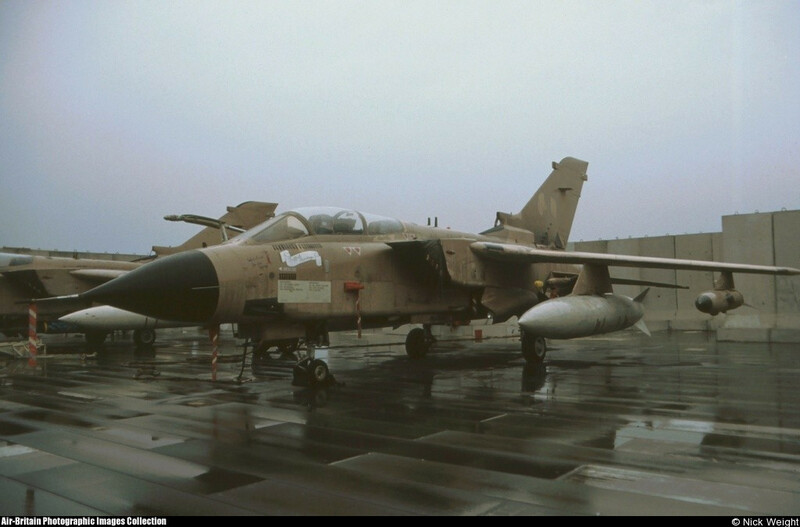 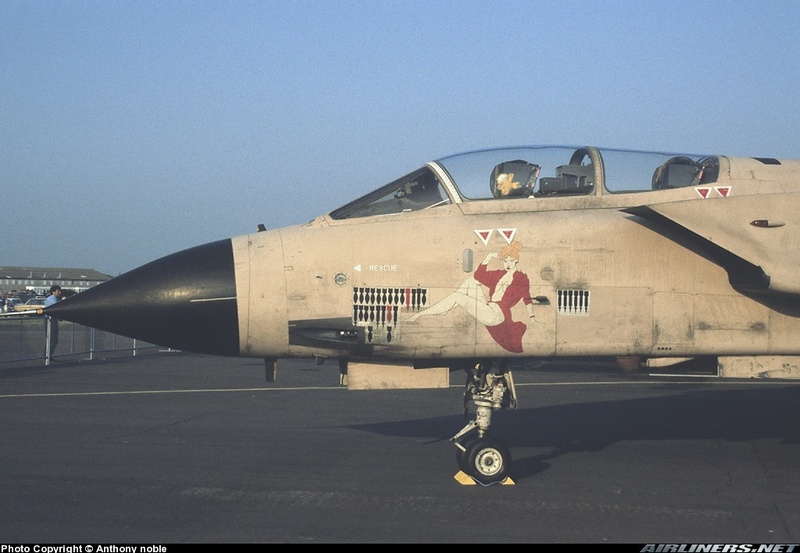 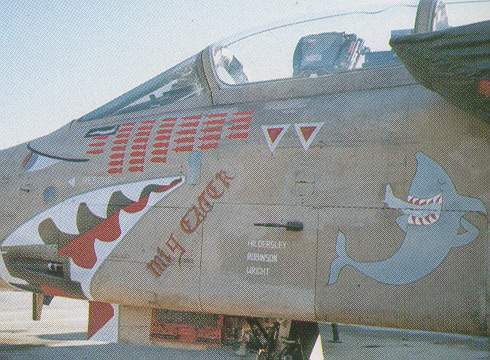 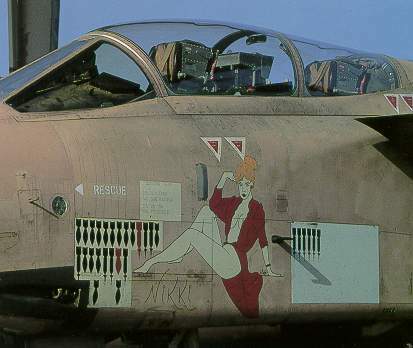 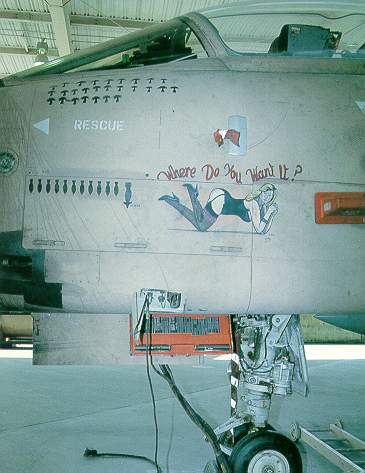 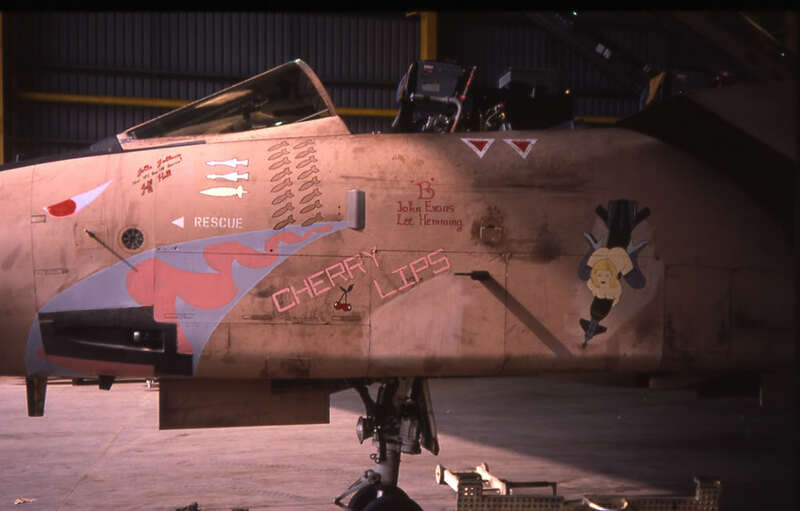 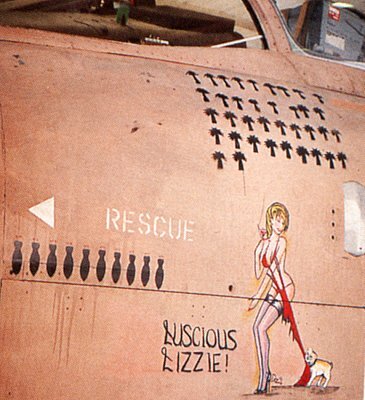 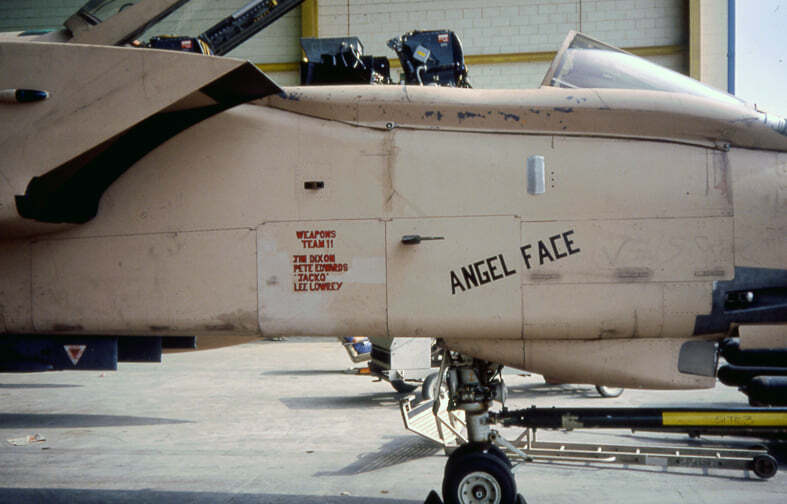 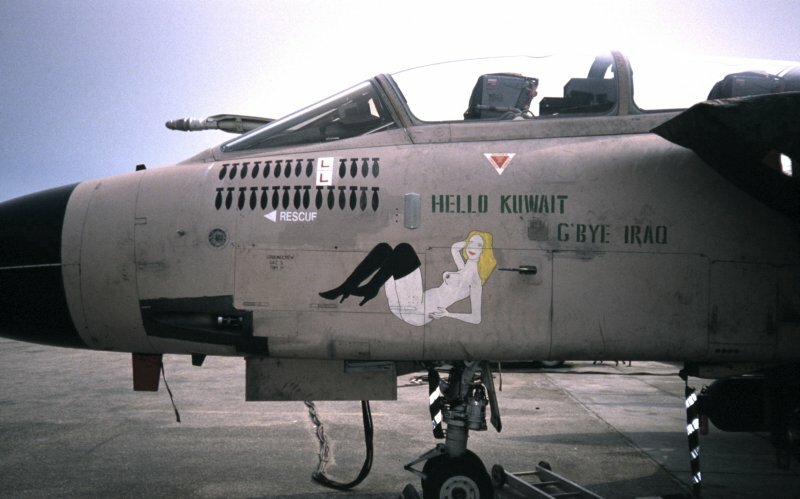 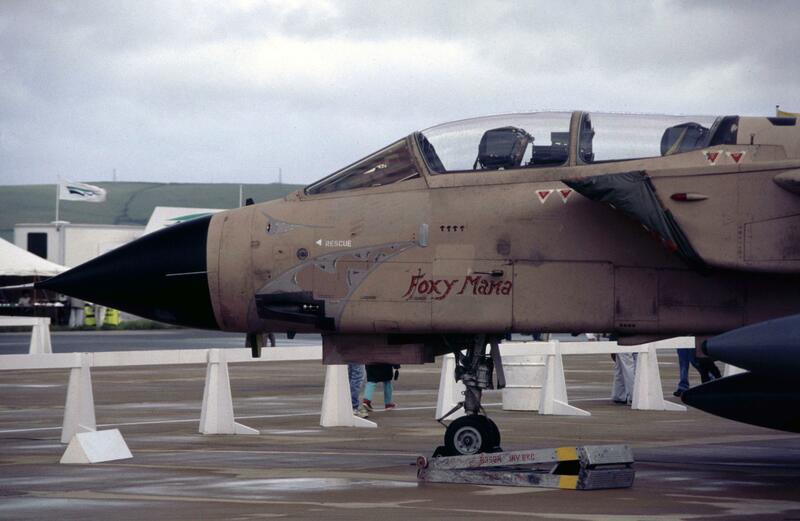 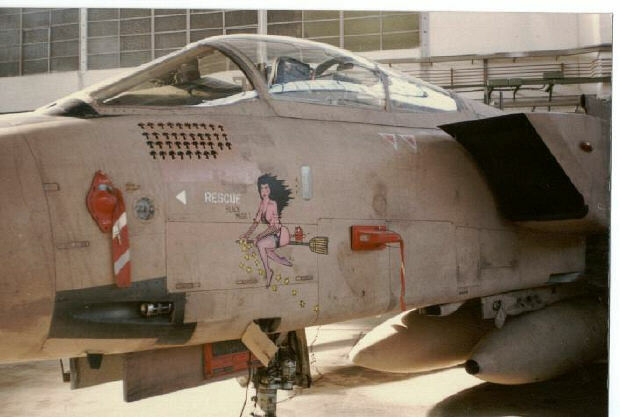 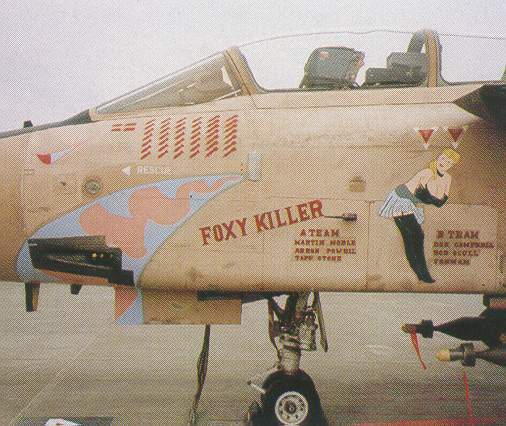 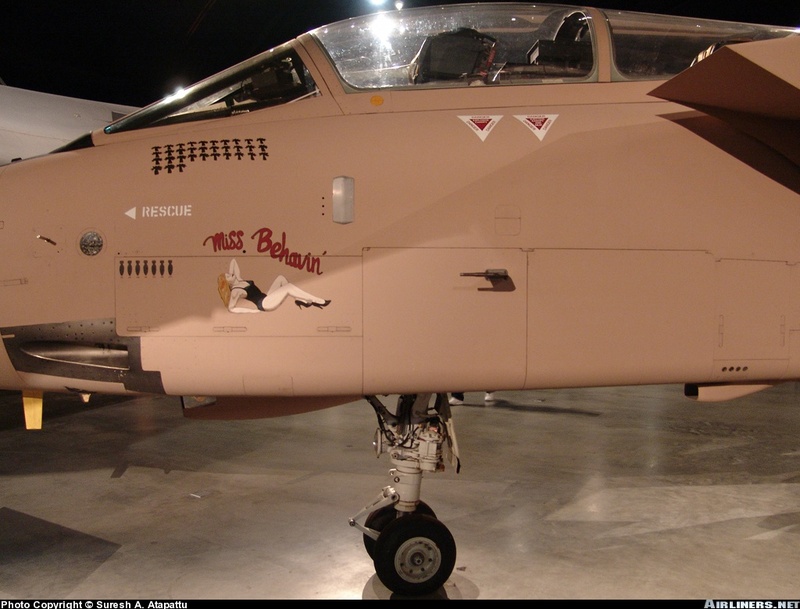 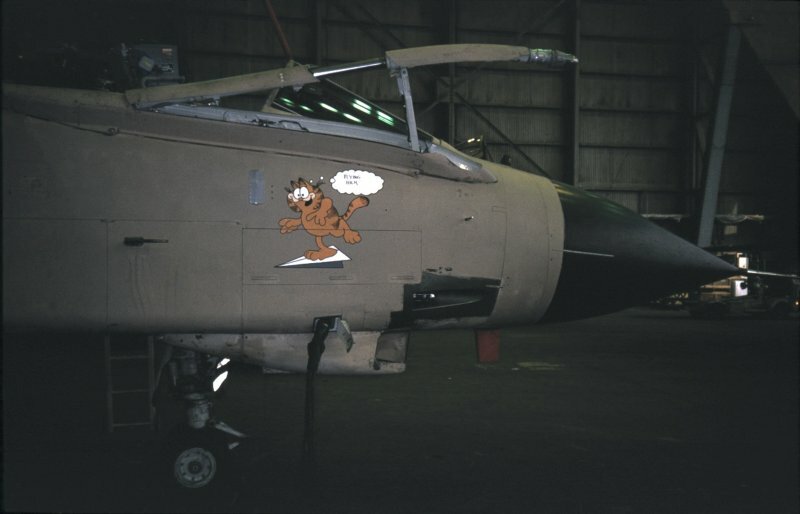 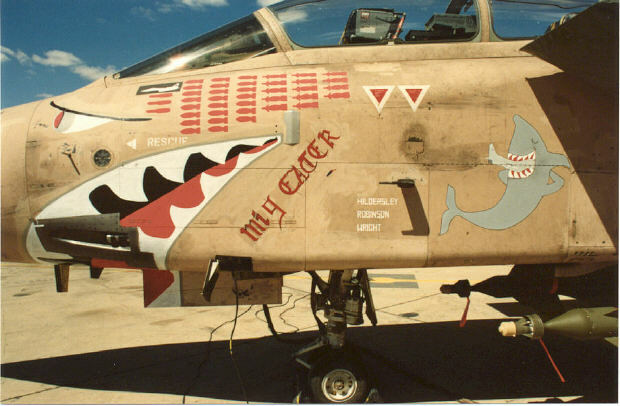 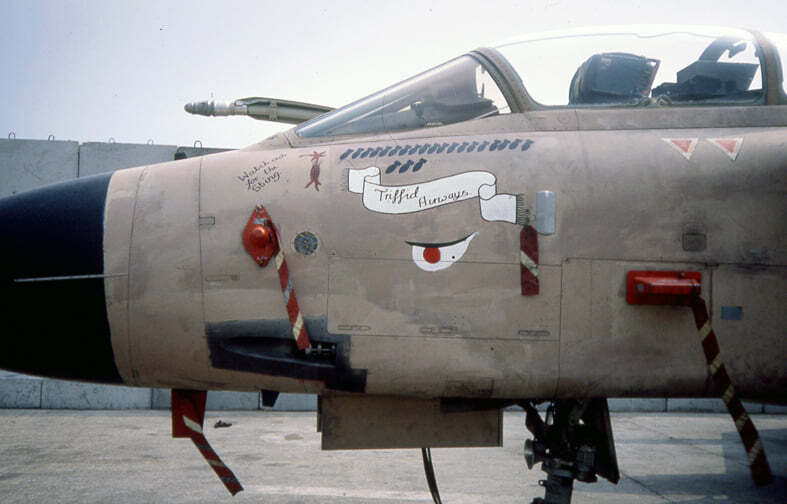 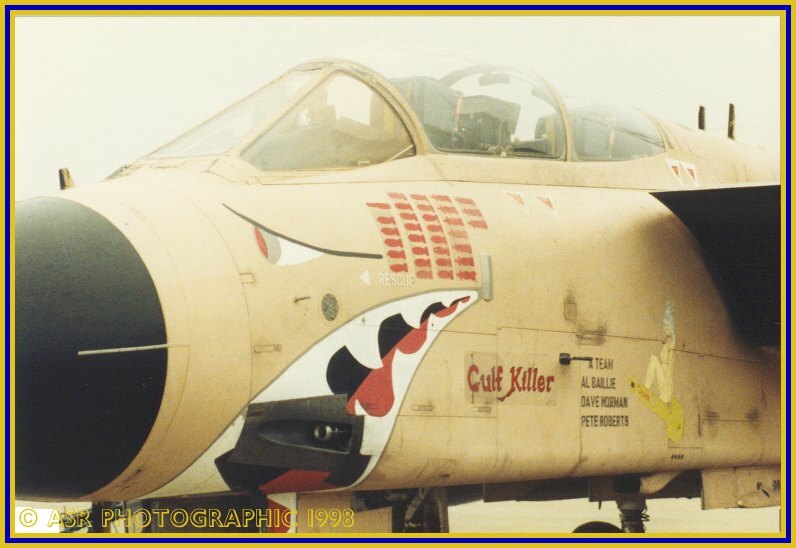 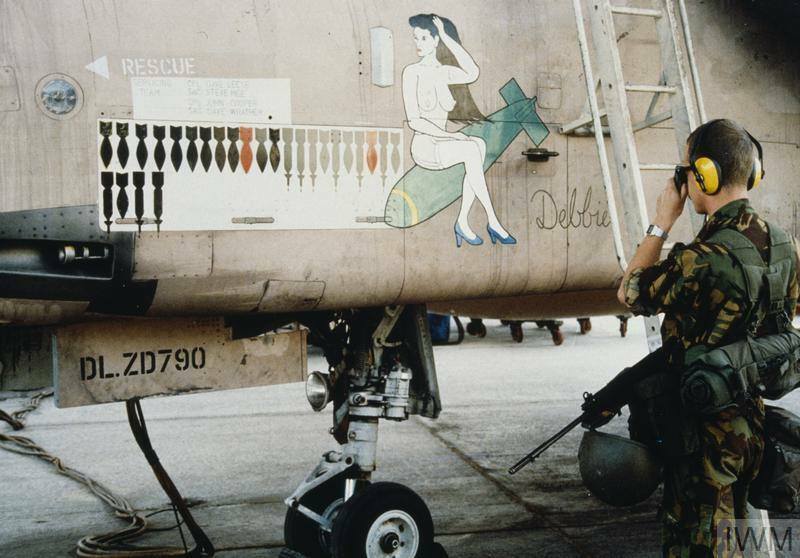 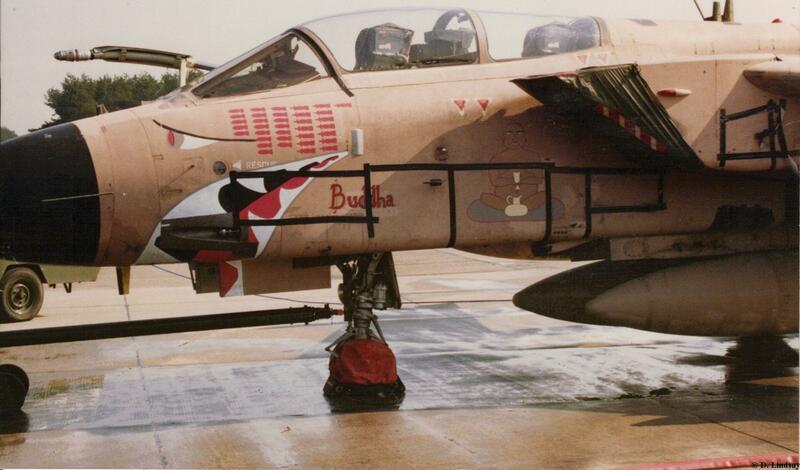 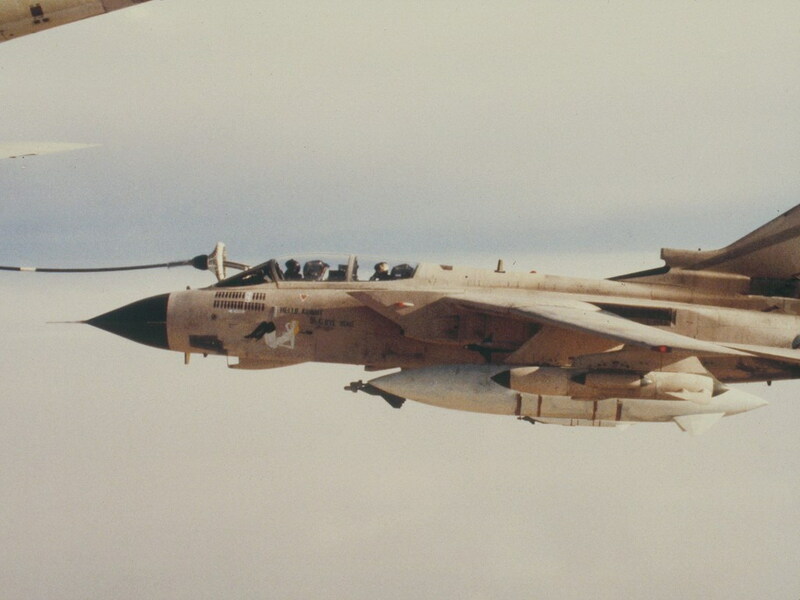 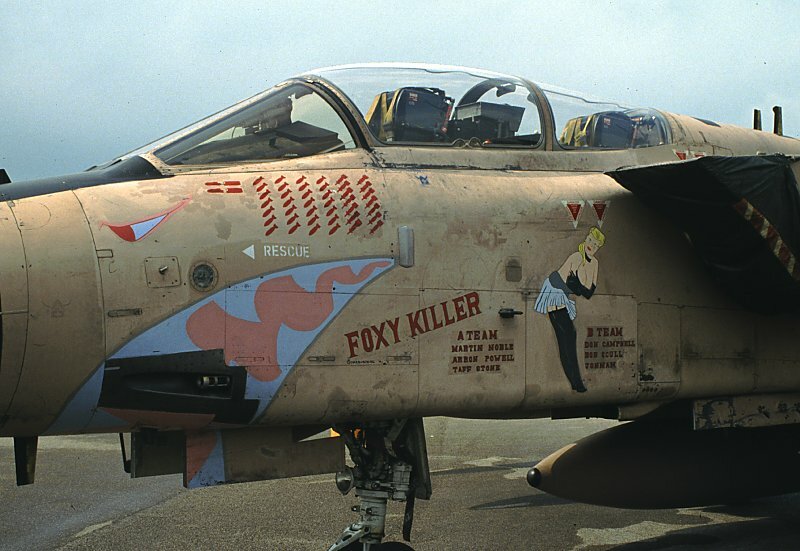 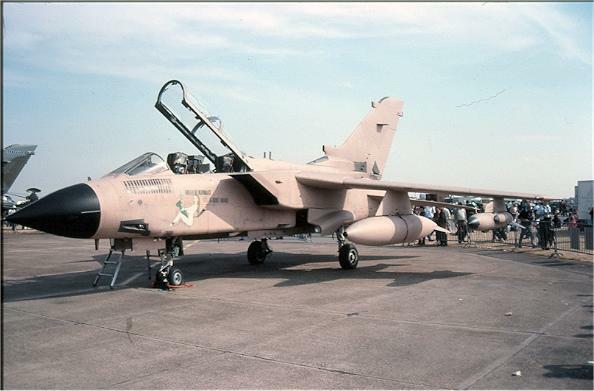 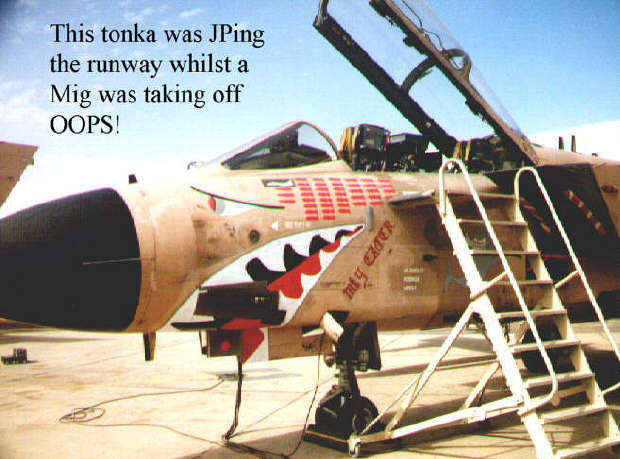 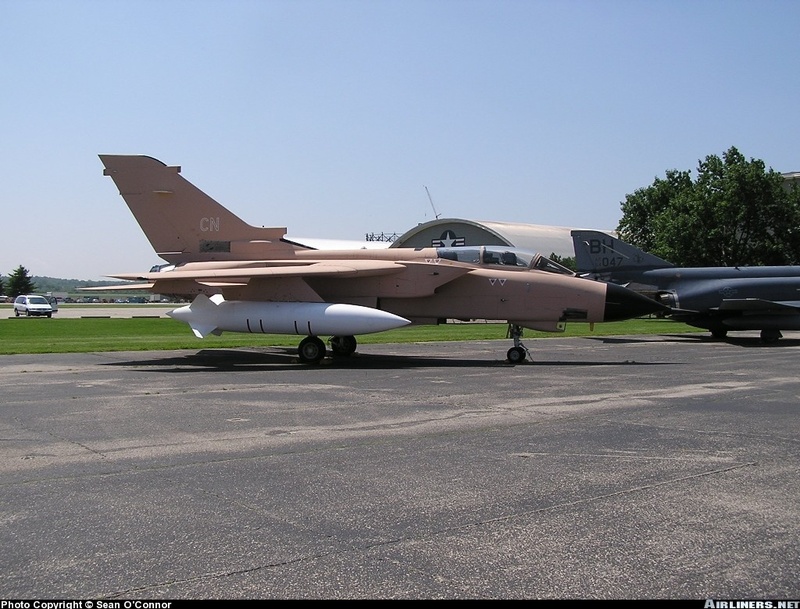 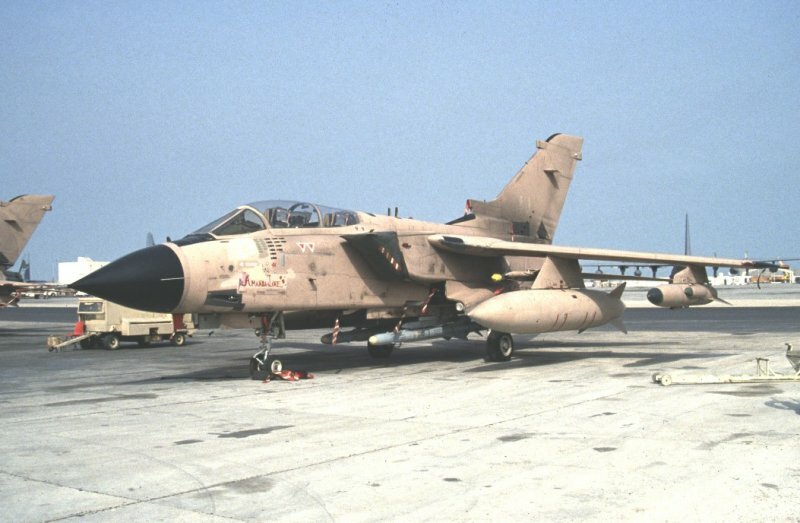 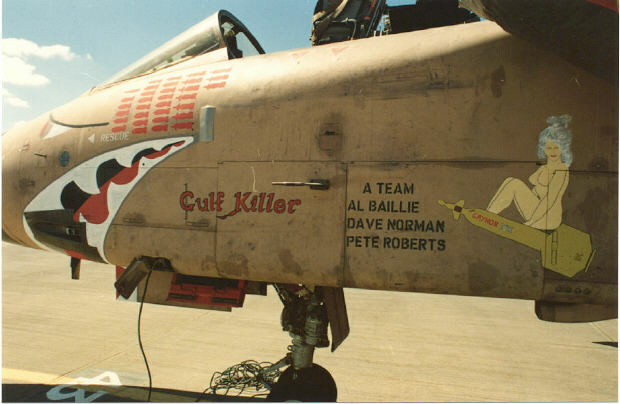 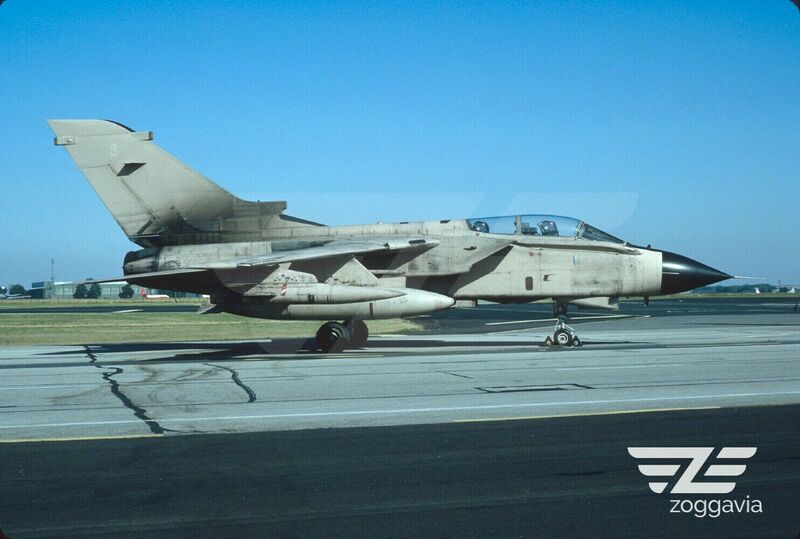 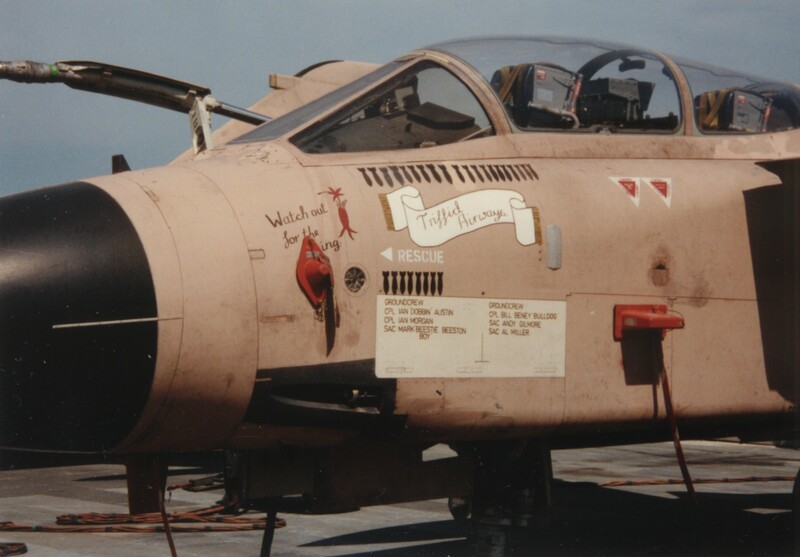 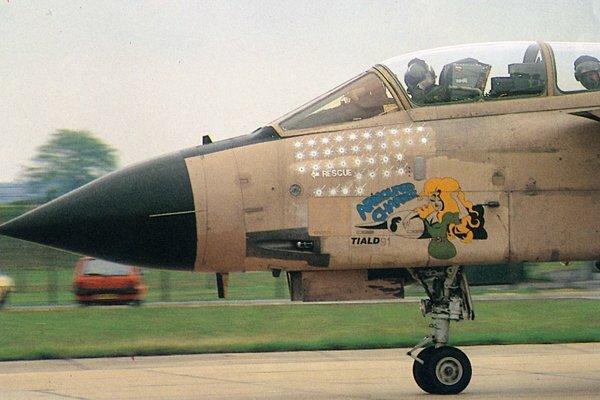 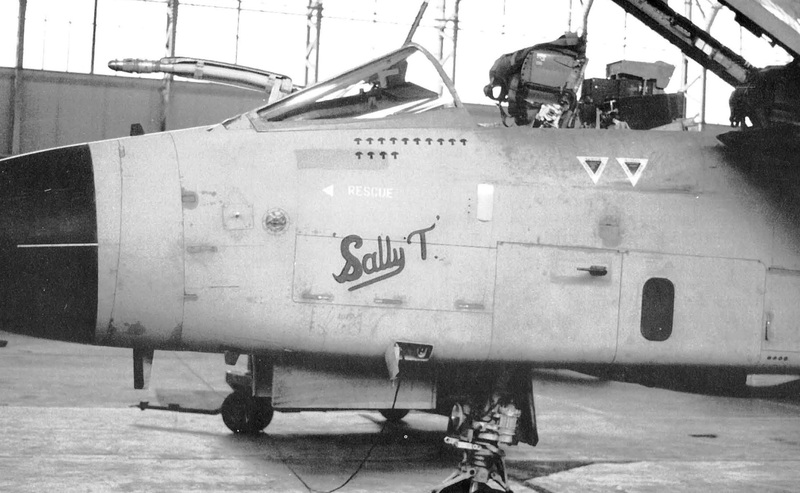 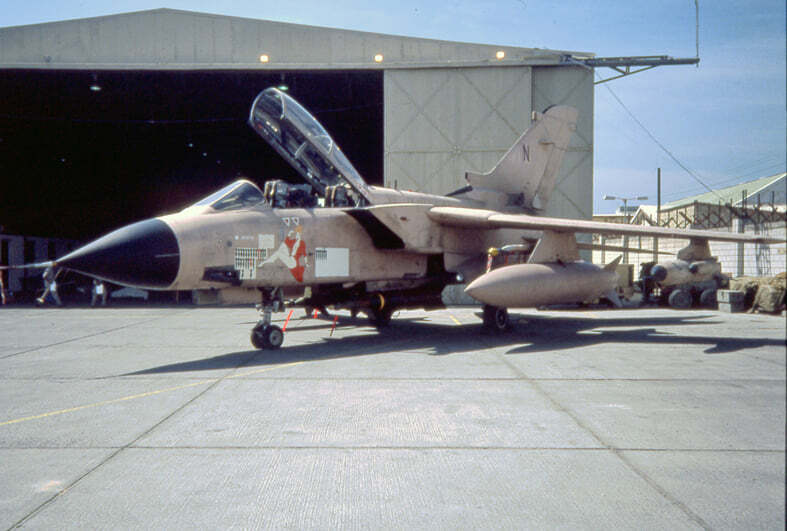 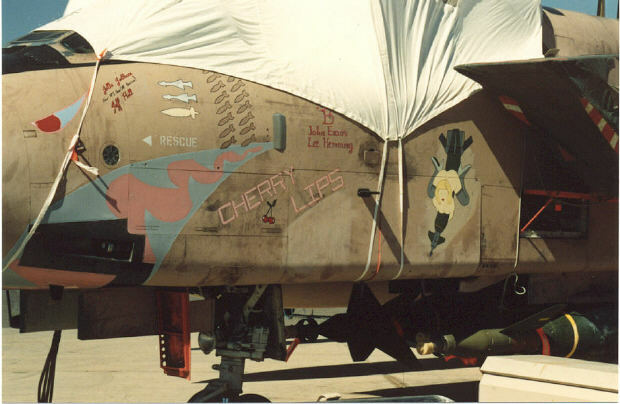 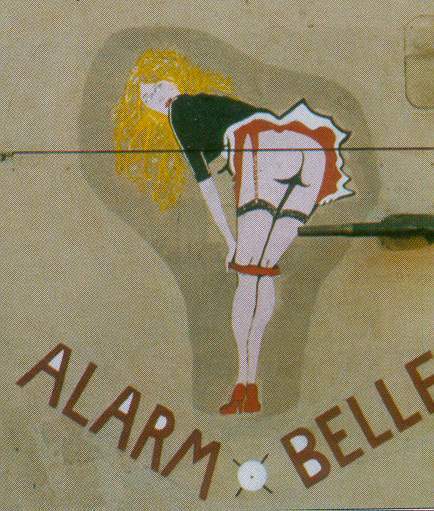 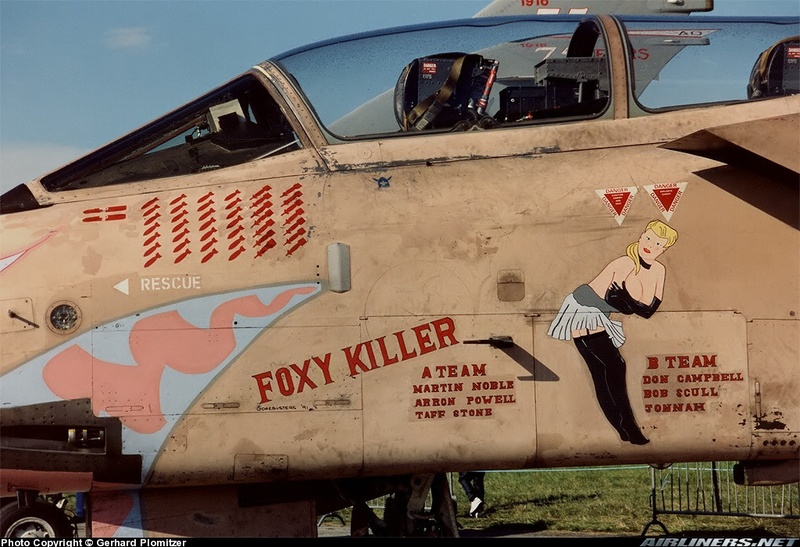 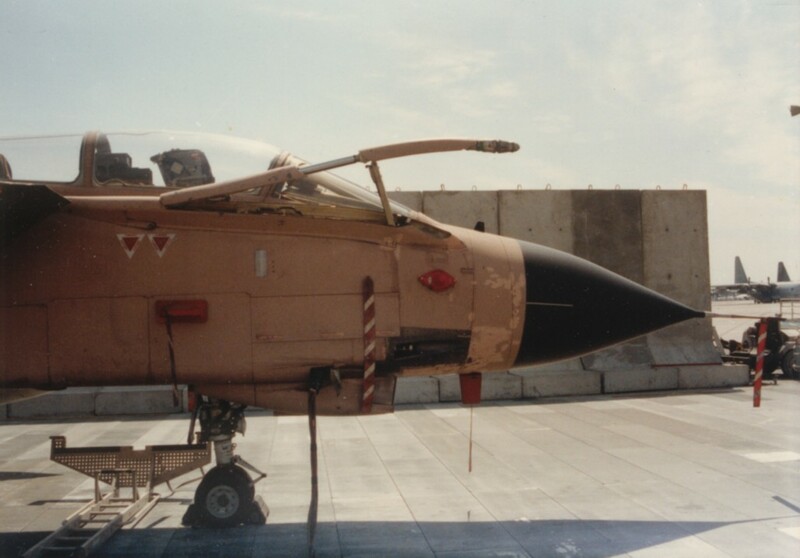 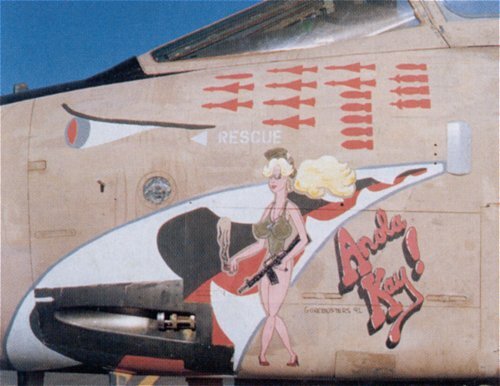 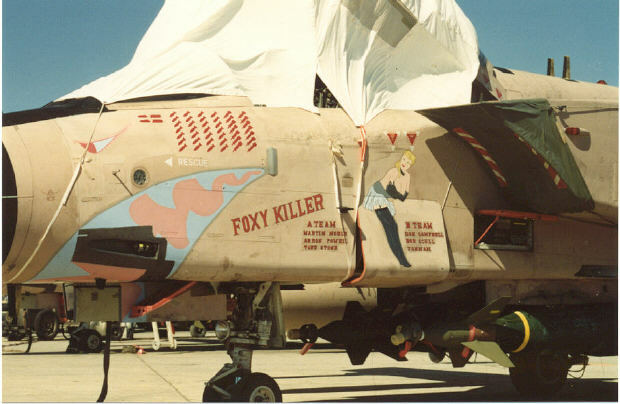 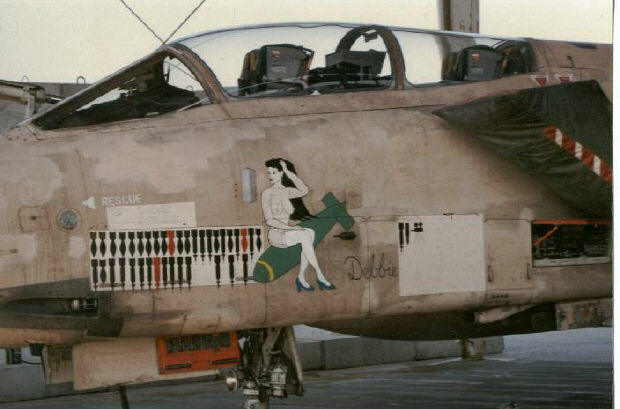 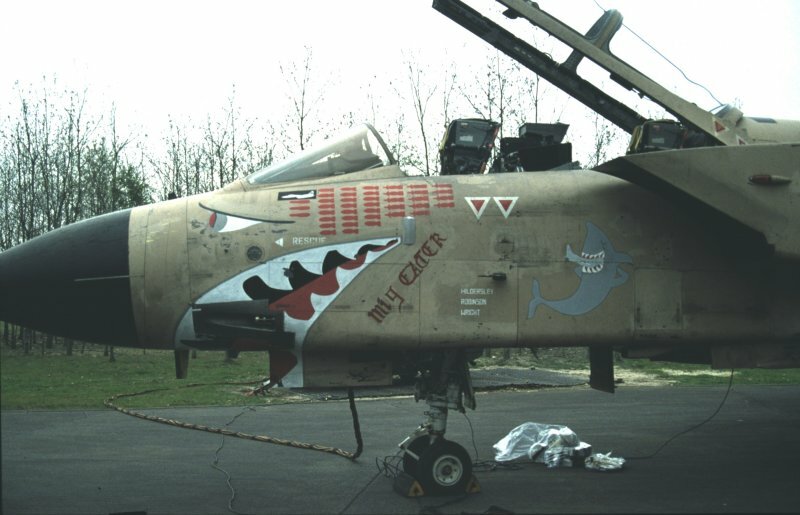 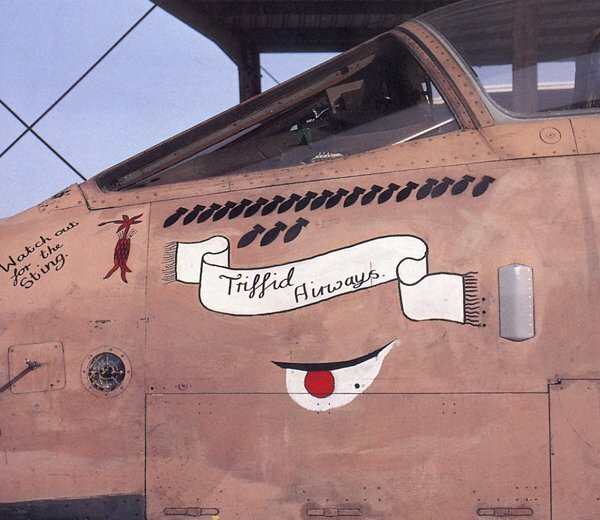 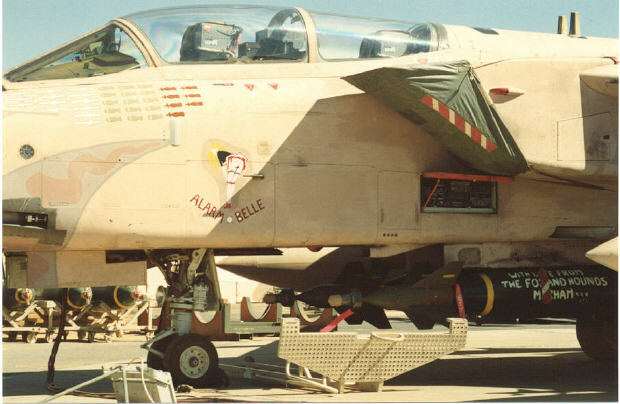 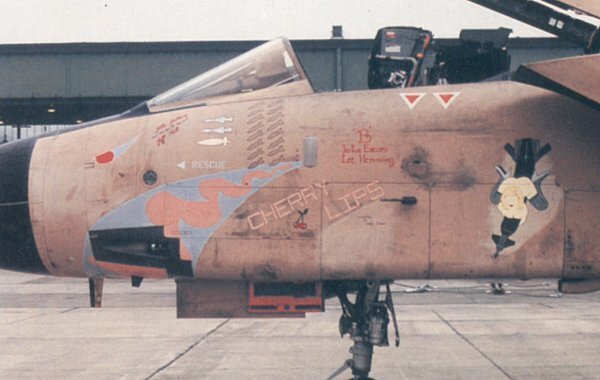 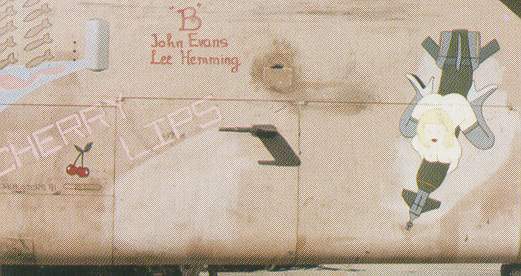 The upgrade consisted of AN/ALE-40(V) flare launchers attached to engine bay doors, AN/ARC-164 secure radio, Marconi AI.24 Type AA Foxhunter radar, Phimat chaff dispenser, "F-18" type top of pilot´s control stick, added switches to control the ALE and Phimat.